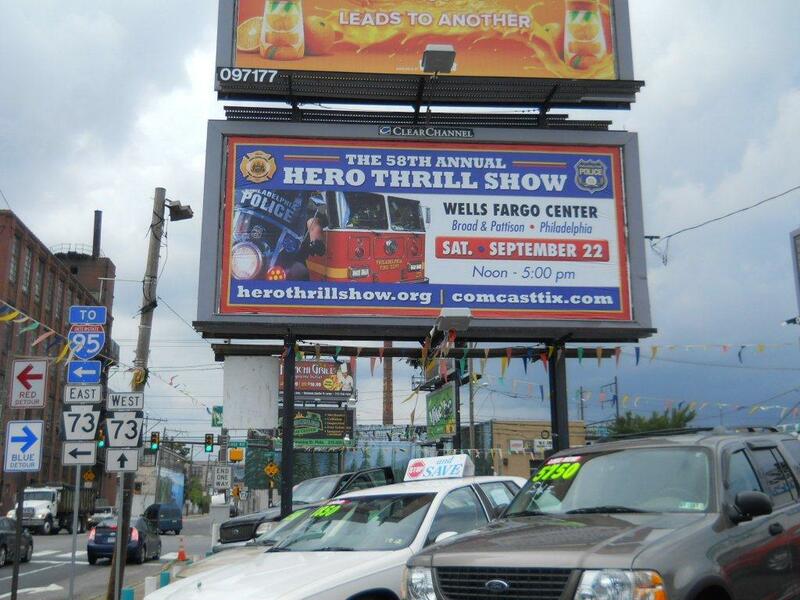 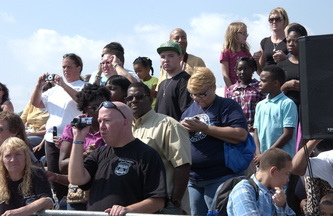 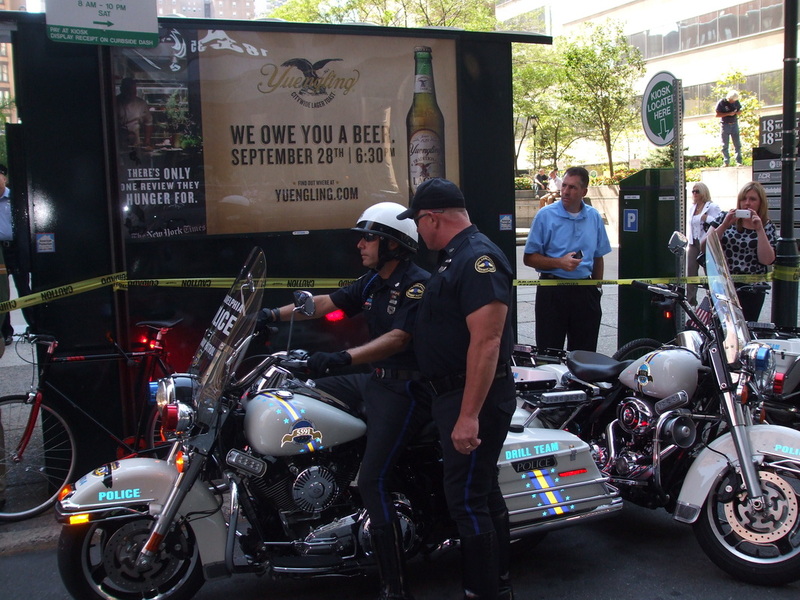 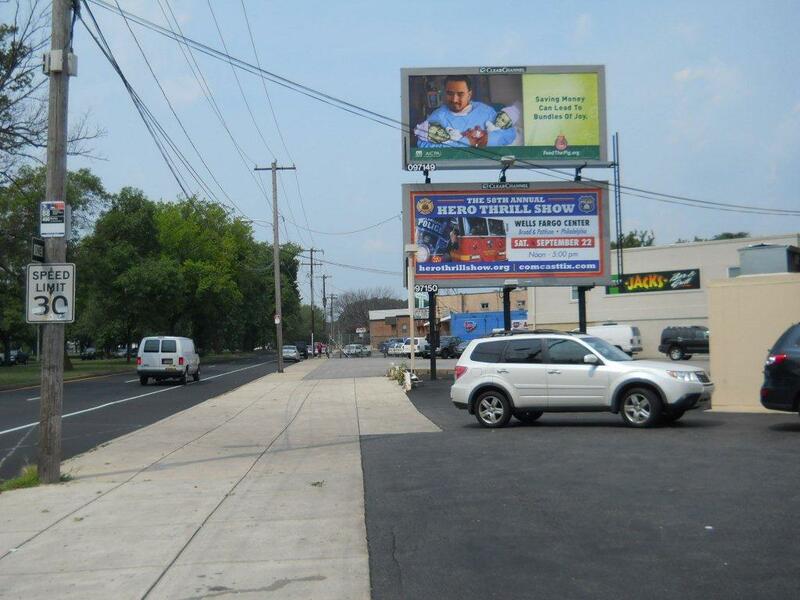 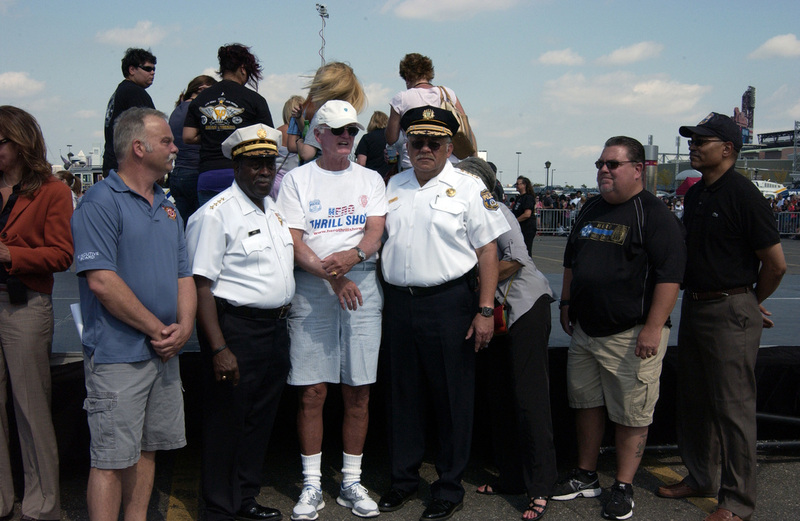 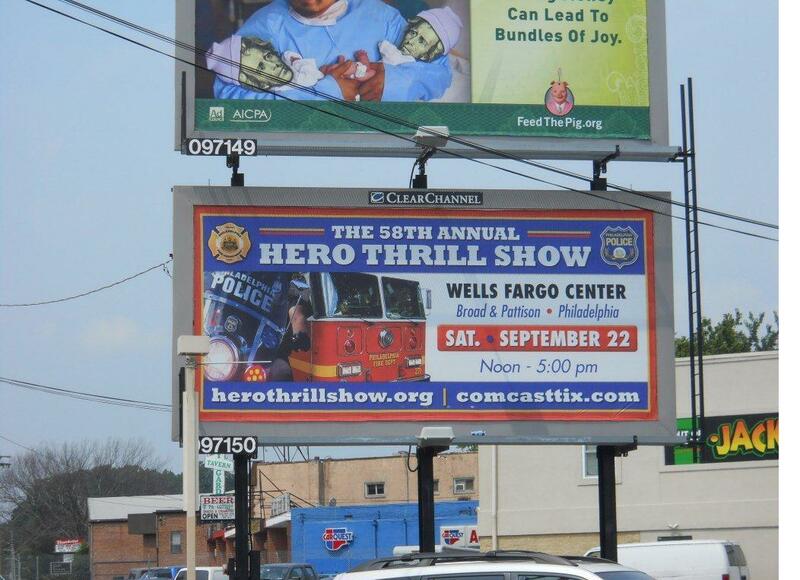 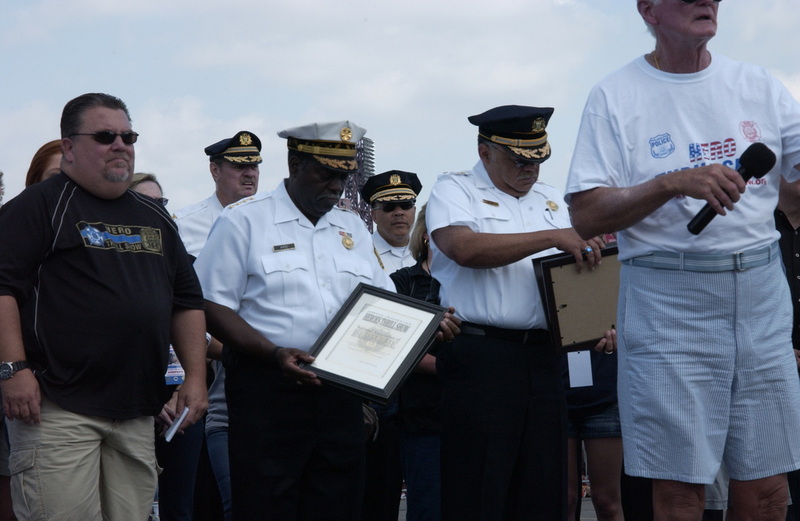 City of Philadelphia, Police Department, Fire Department, FOP and Firefighters Union support the Hero Thrill Show, Inc.
Billboards announcing the 2012 Hero Thrill Show are up throughout Pennsylvania and New Jersey complements of CLEAR CHANNEL OUTDOOR ADVERTISING. WE THANK YOU!!! 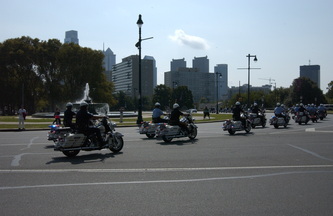 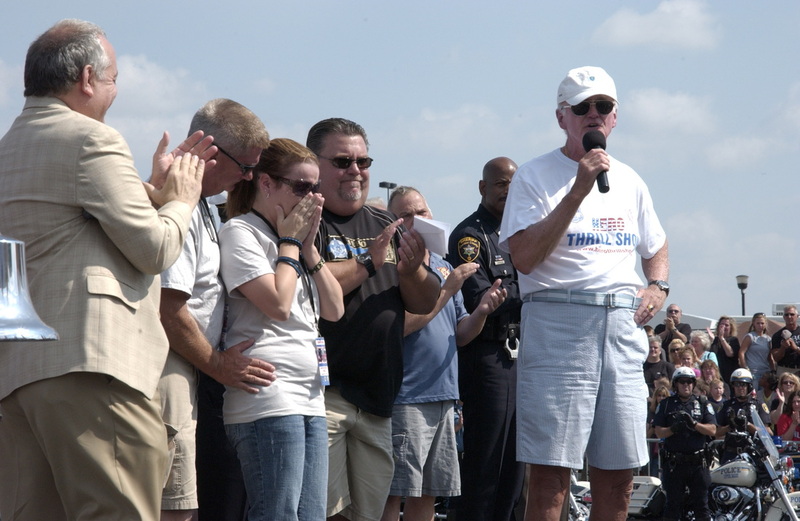 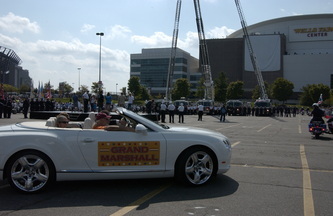 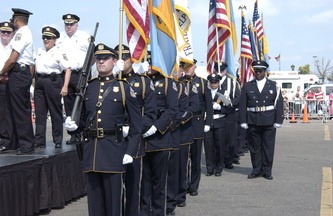 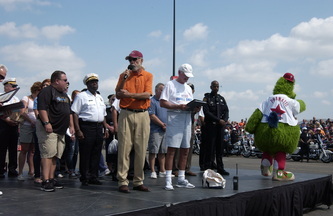 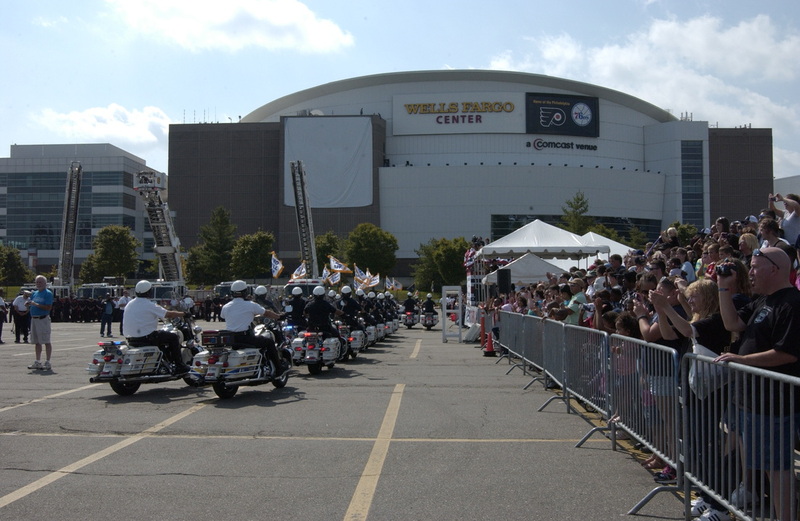 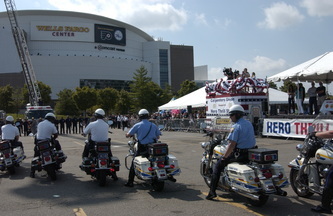 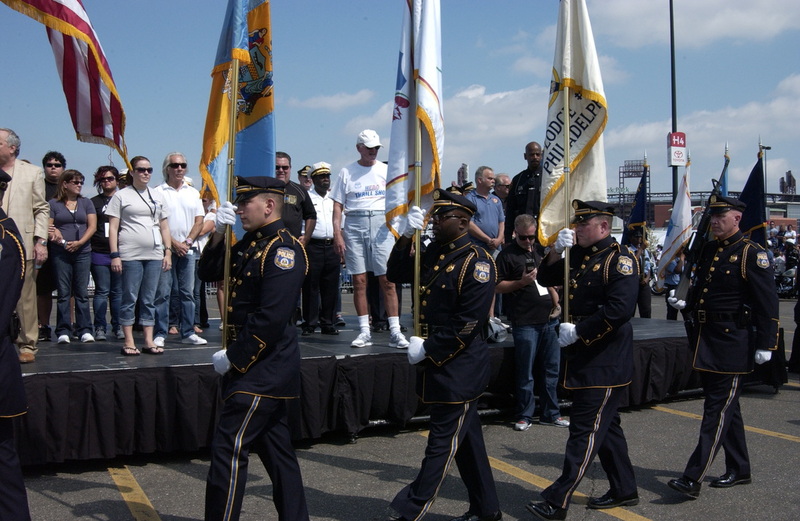 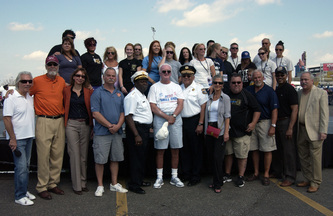 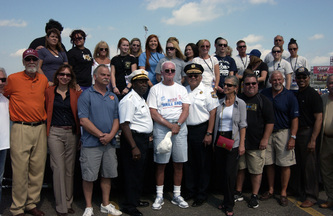 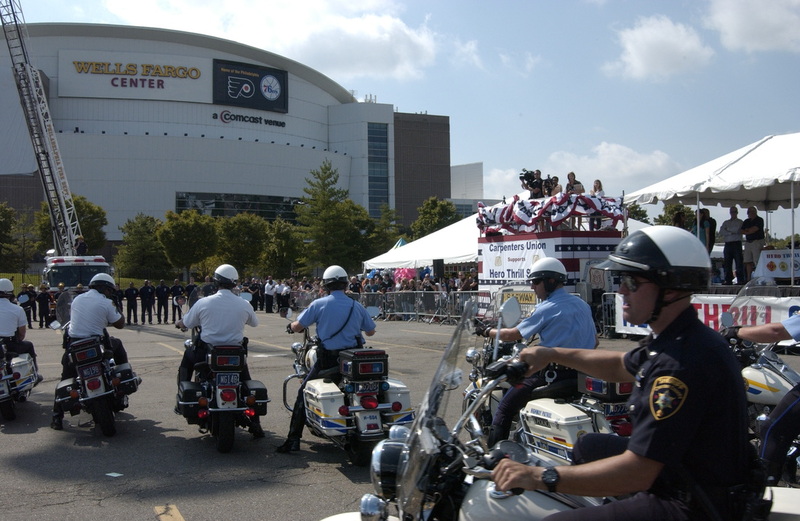 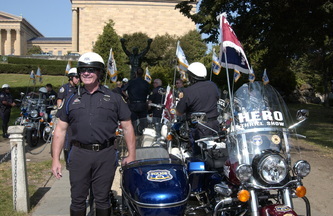 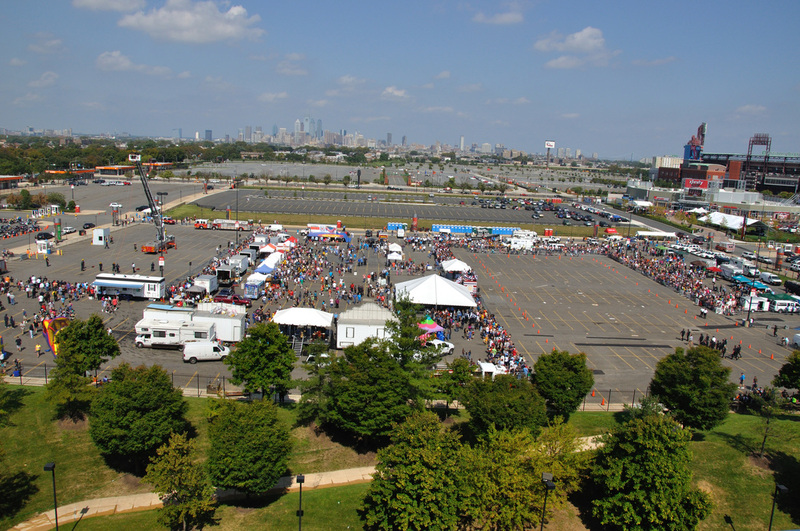 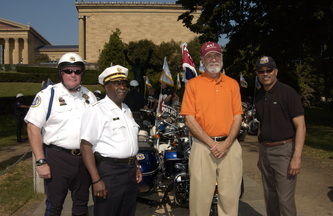 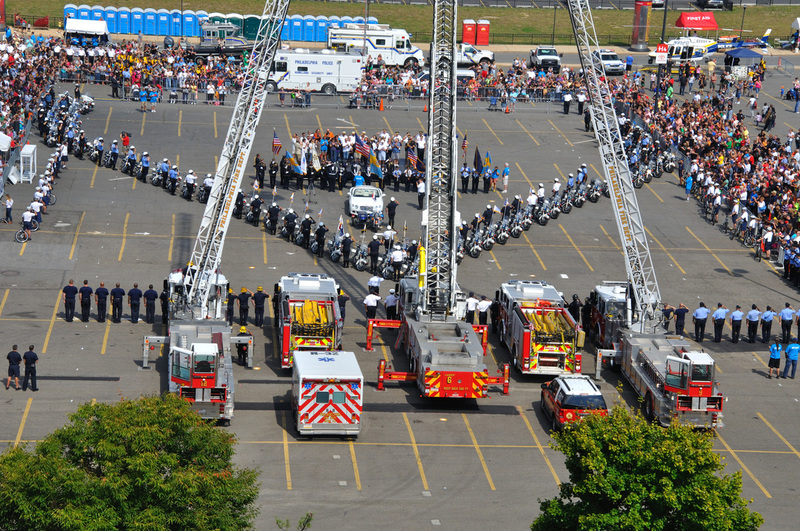 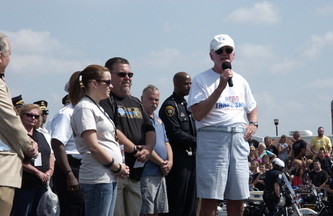 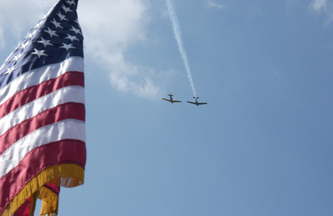 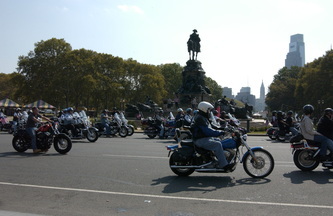 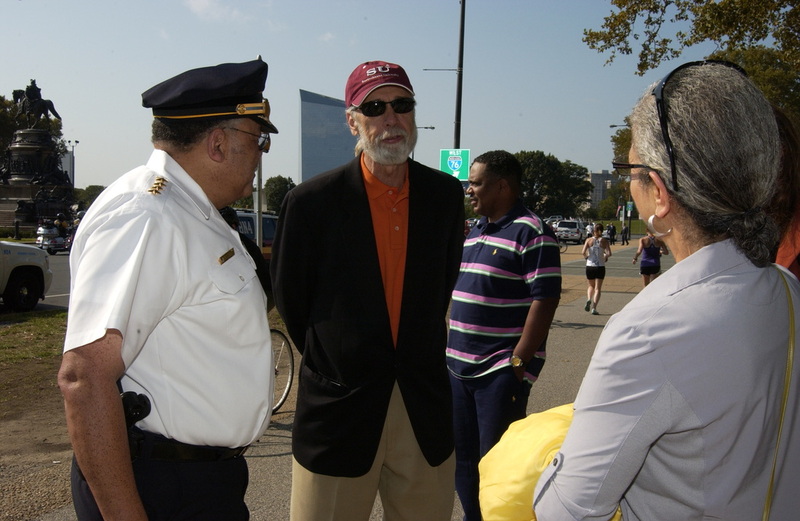 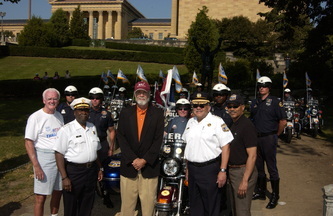 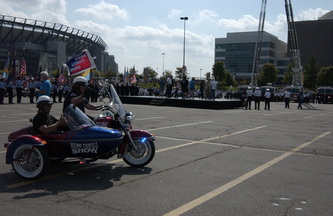 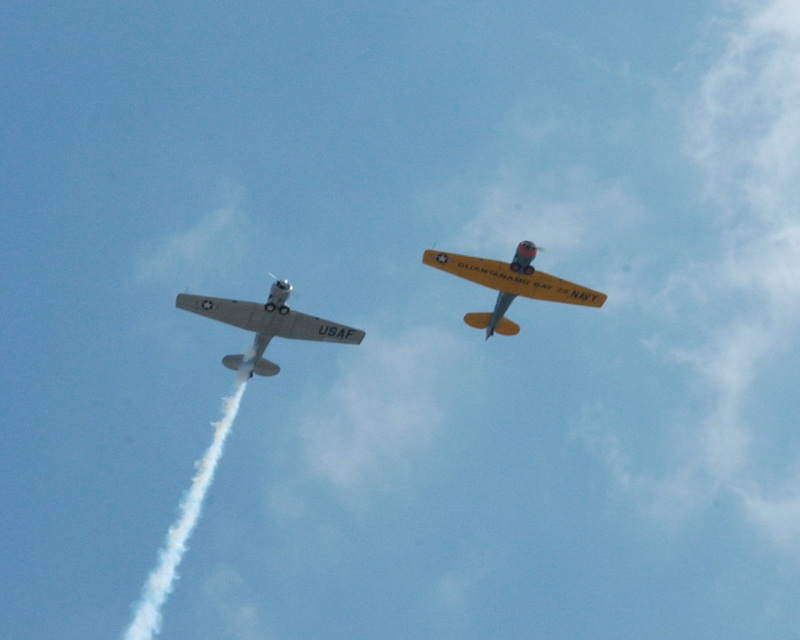 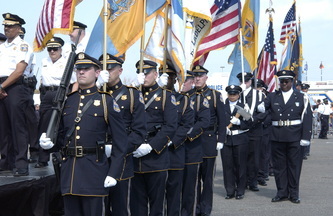 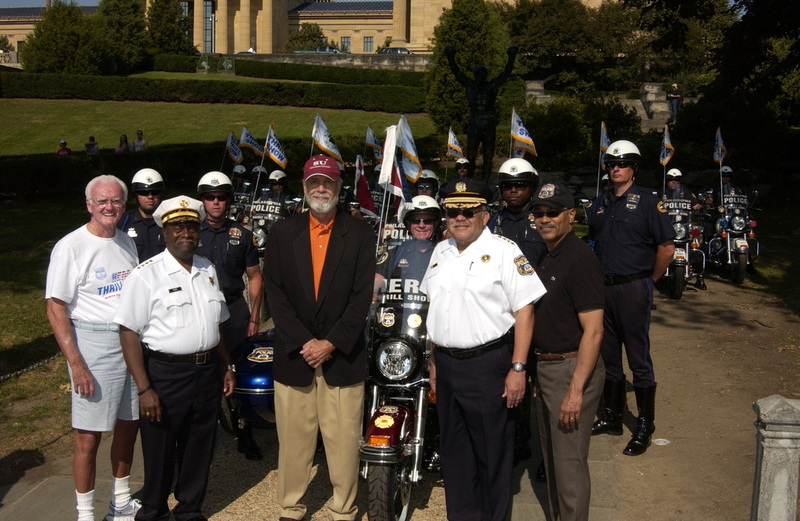 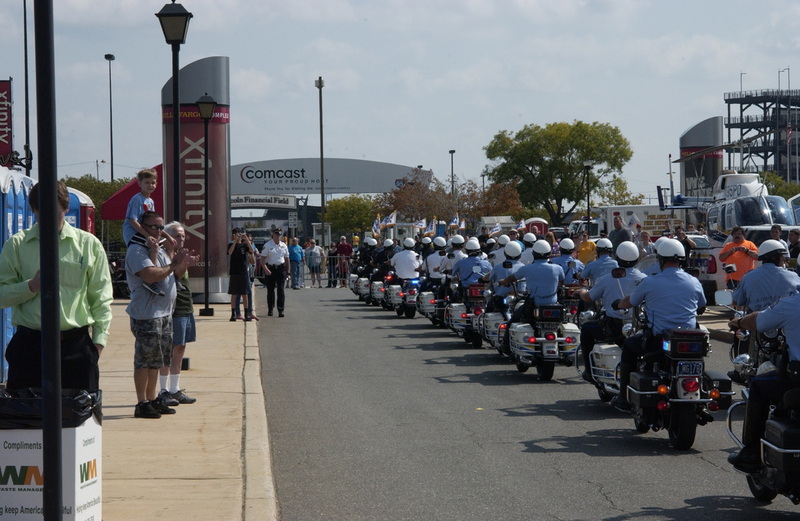 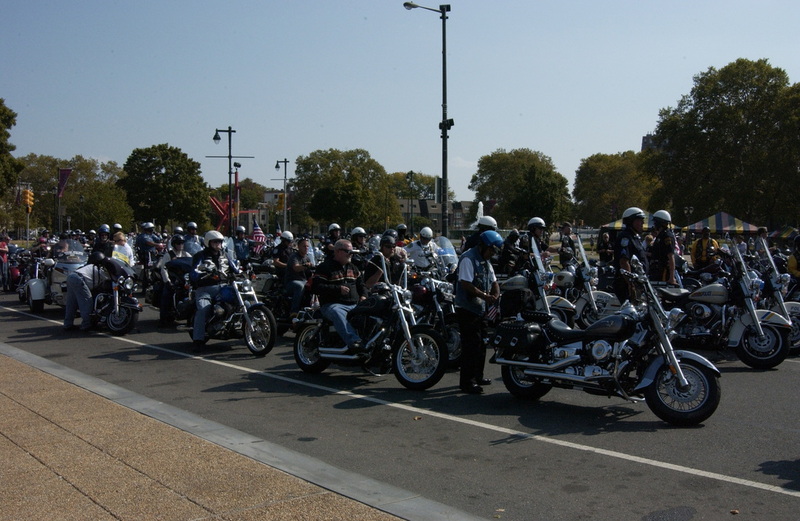 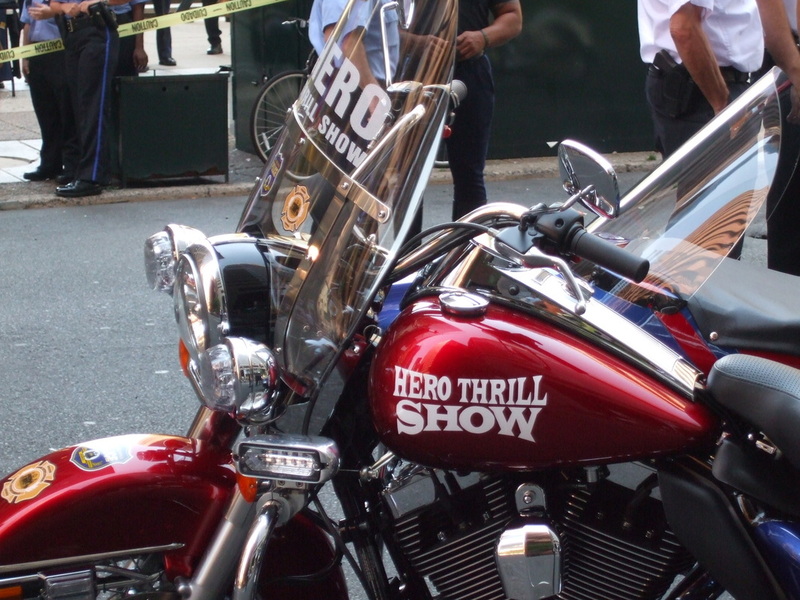 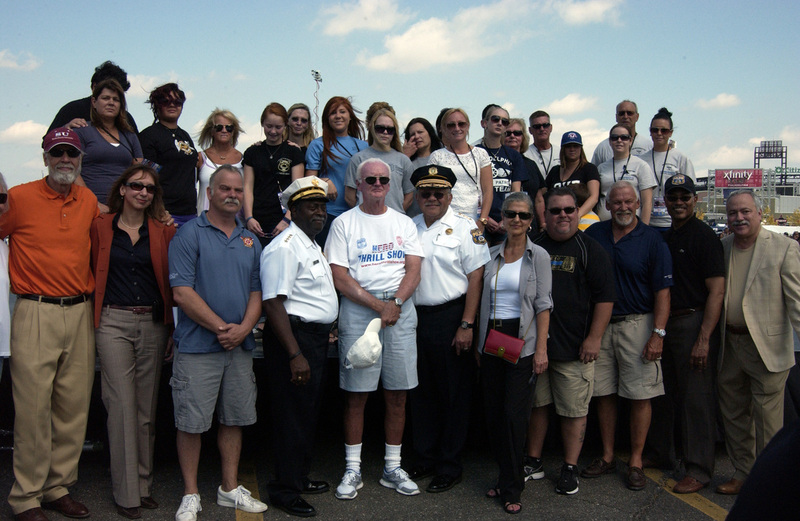 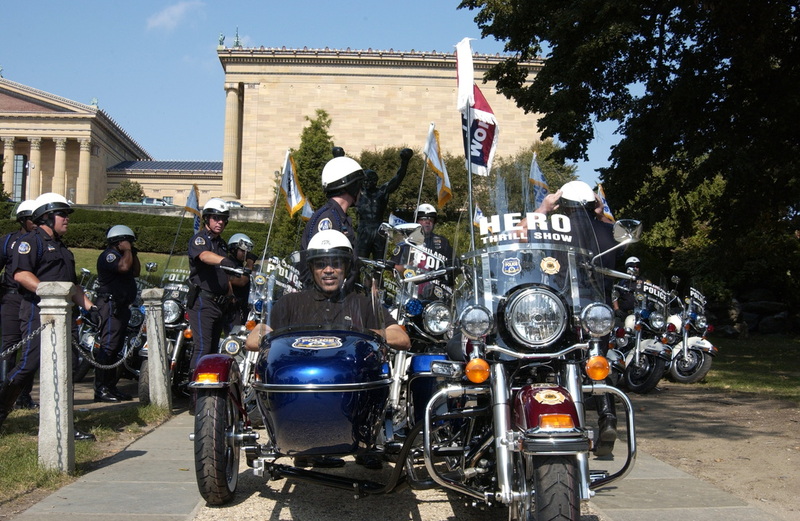 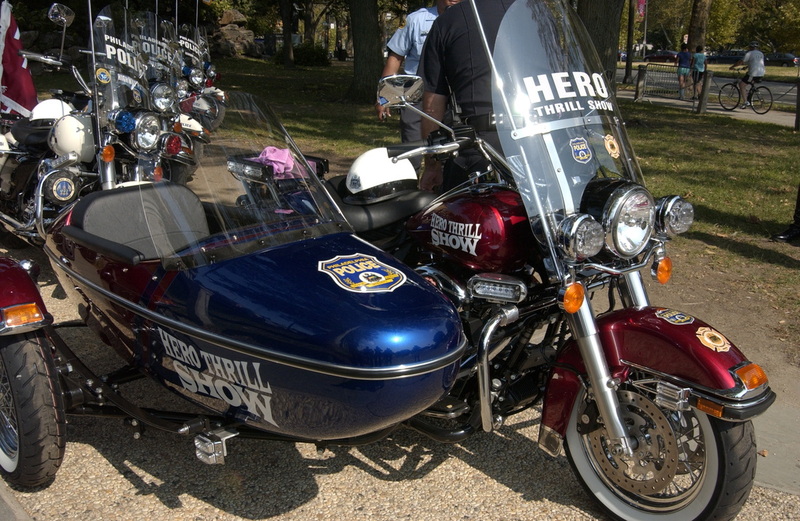 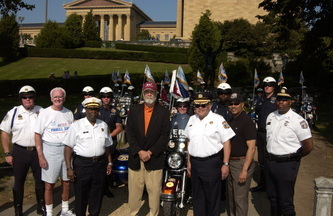 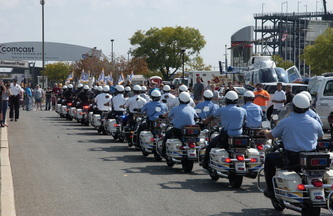 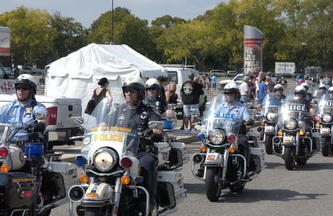 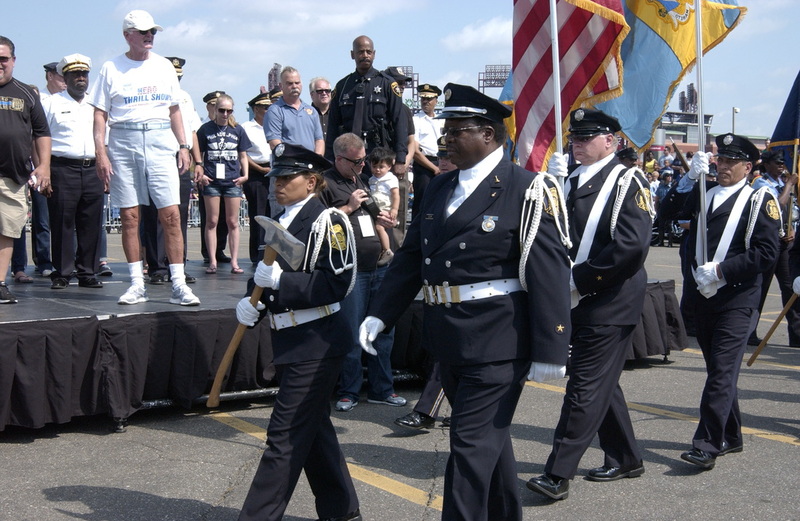 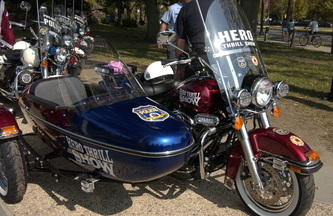 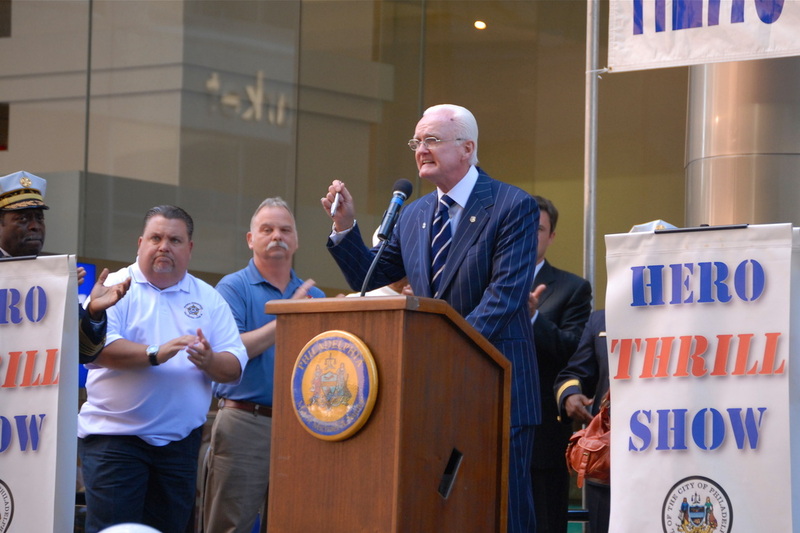 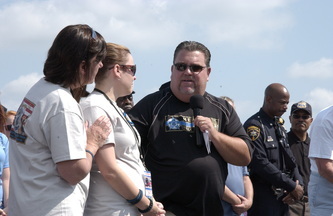 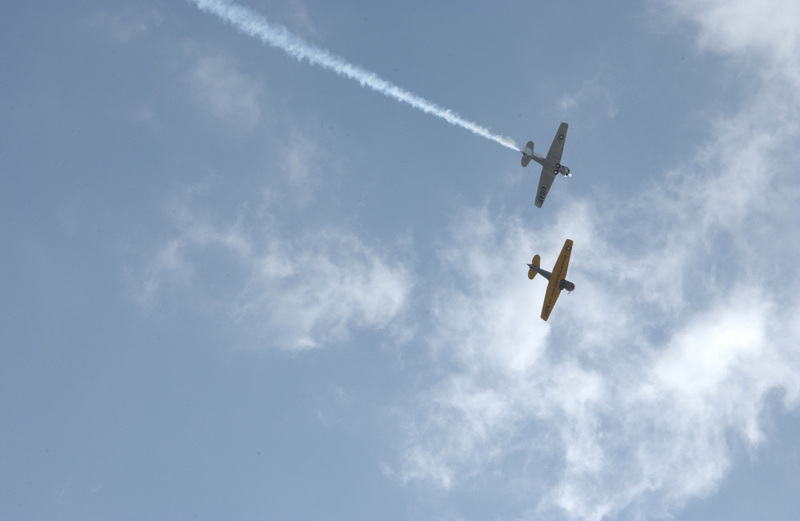 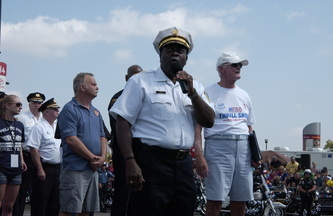 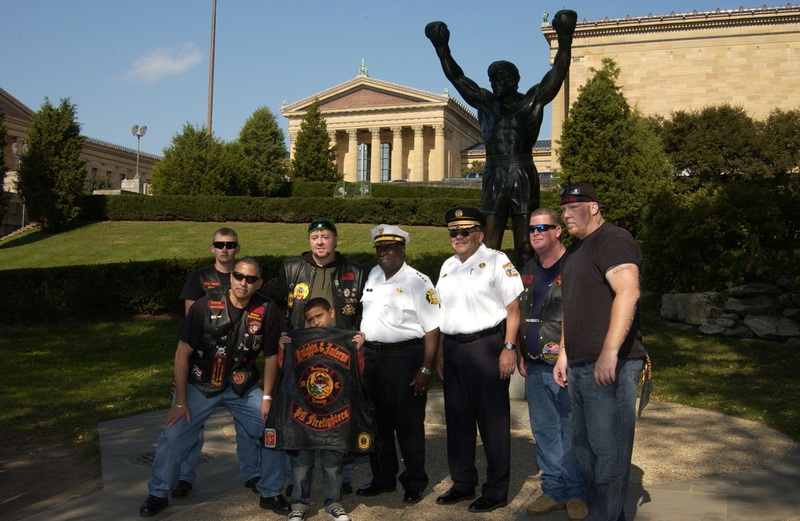 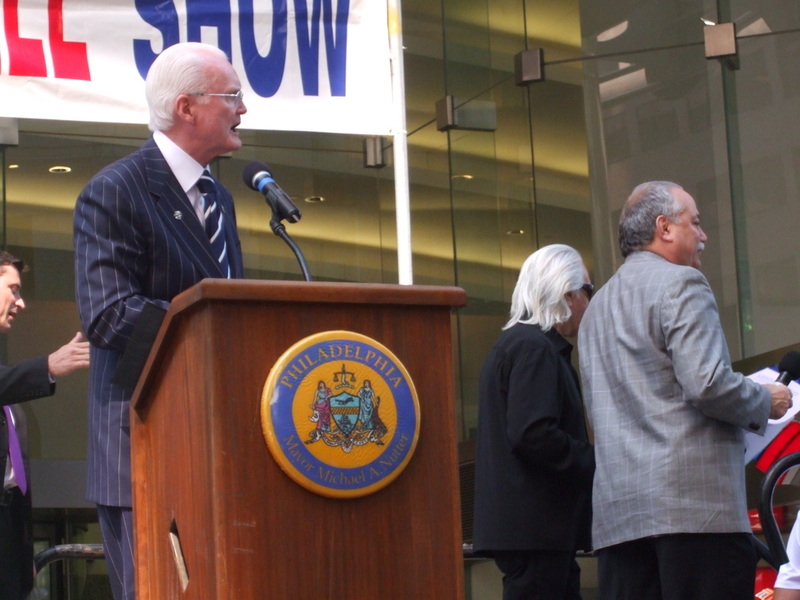 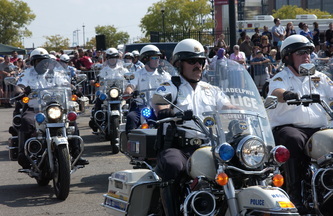 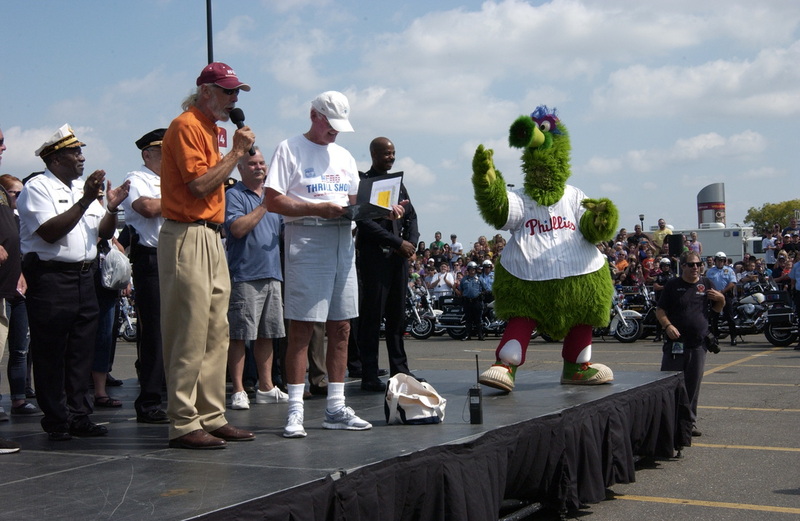 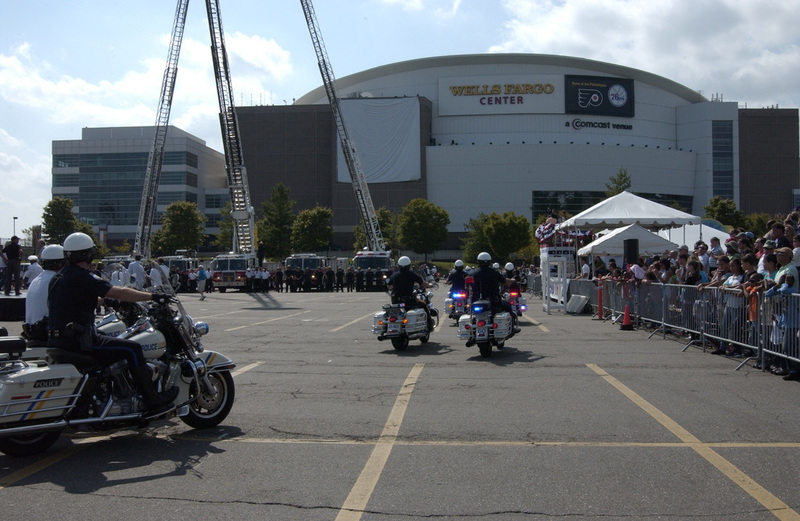 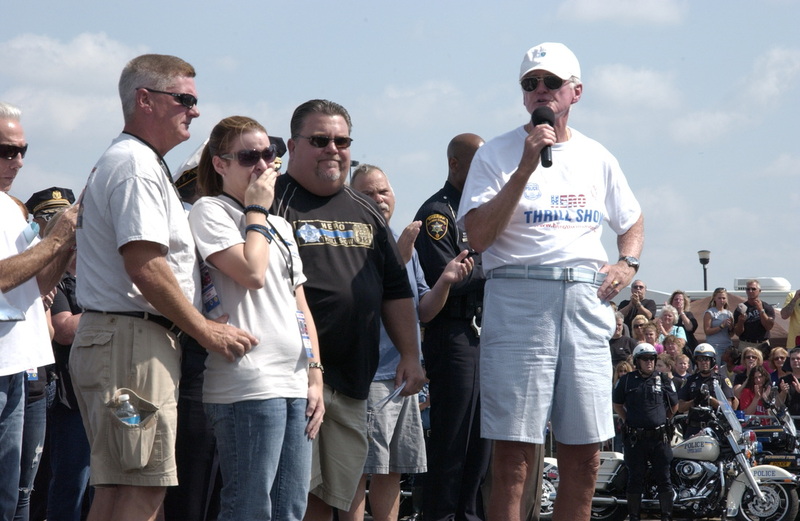 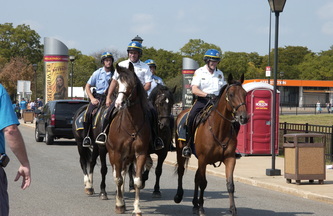 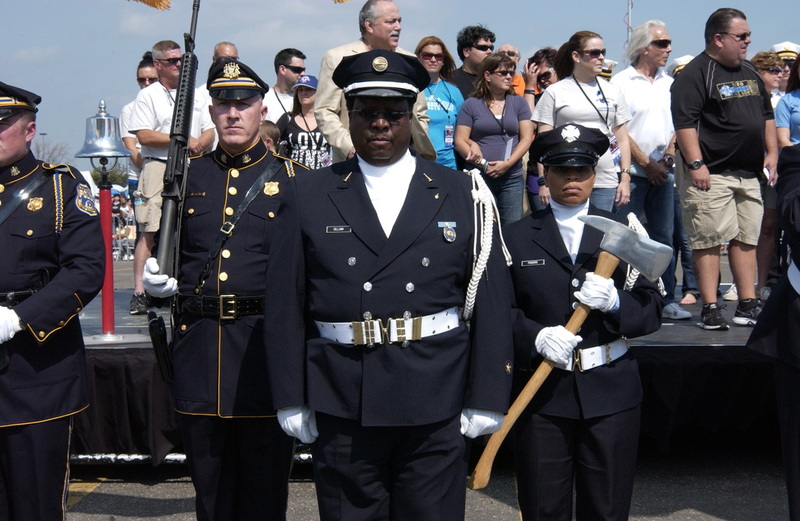 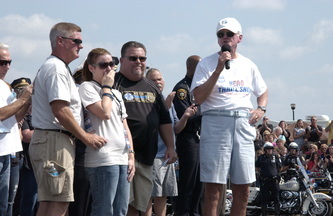 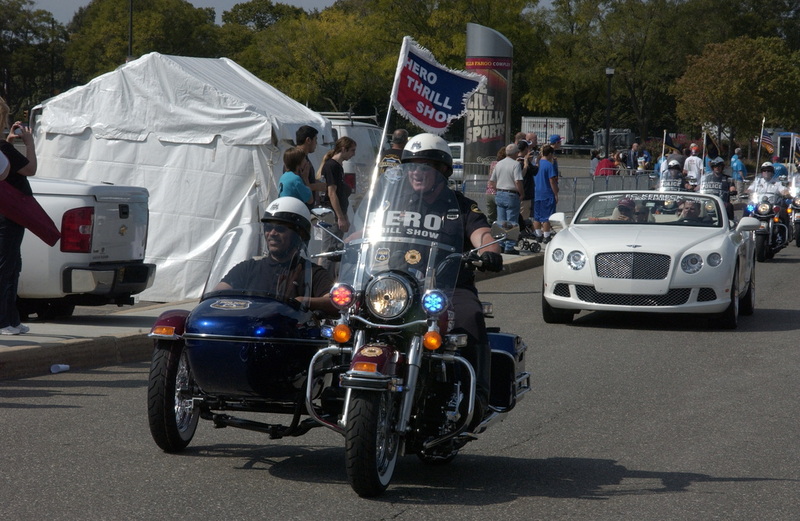 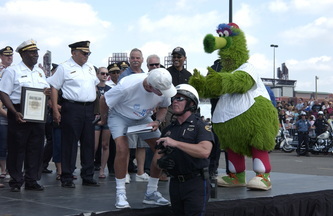 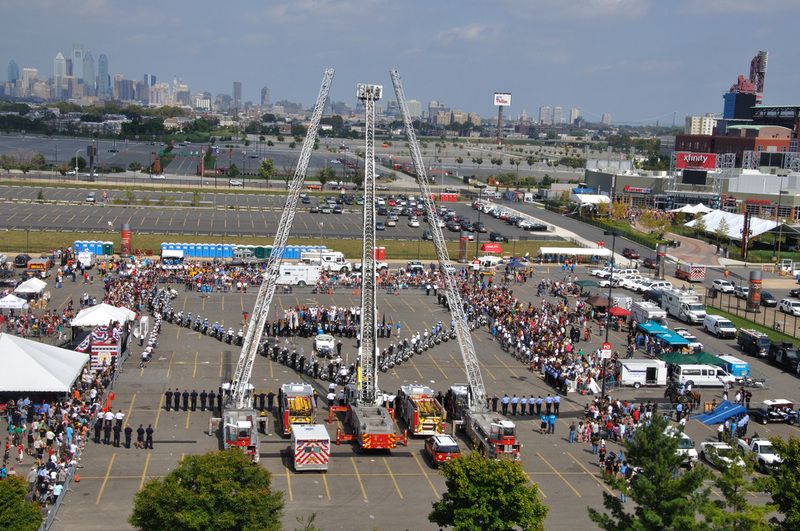 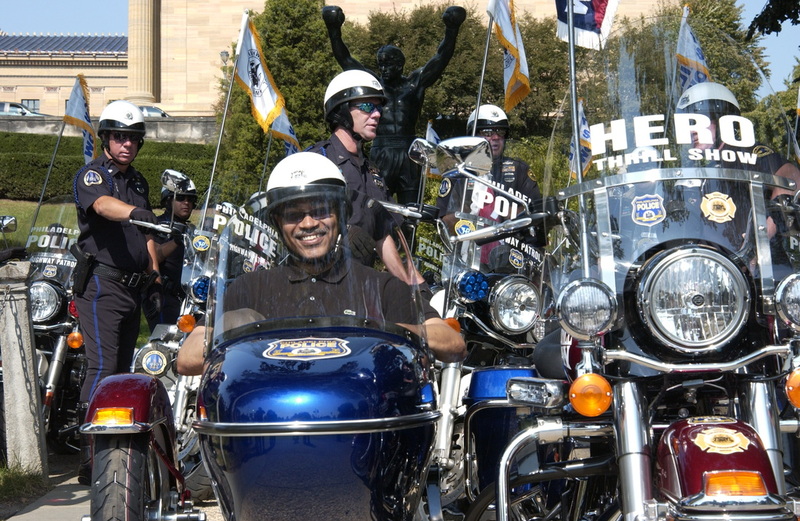 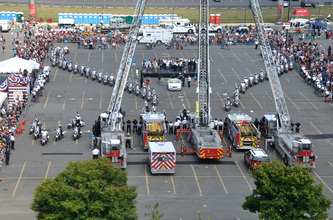 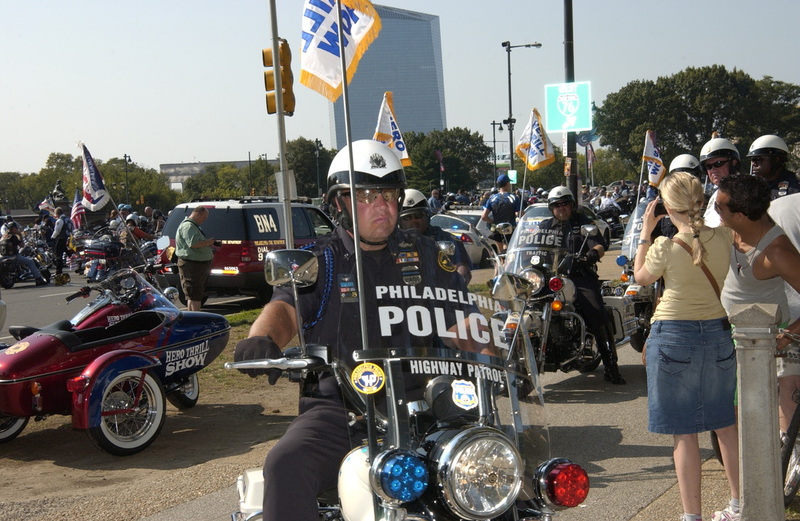 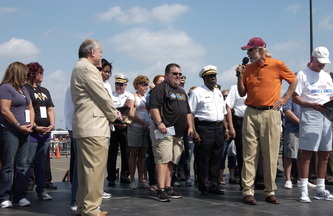 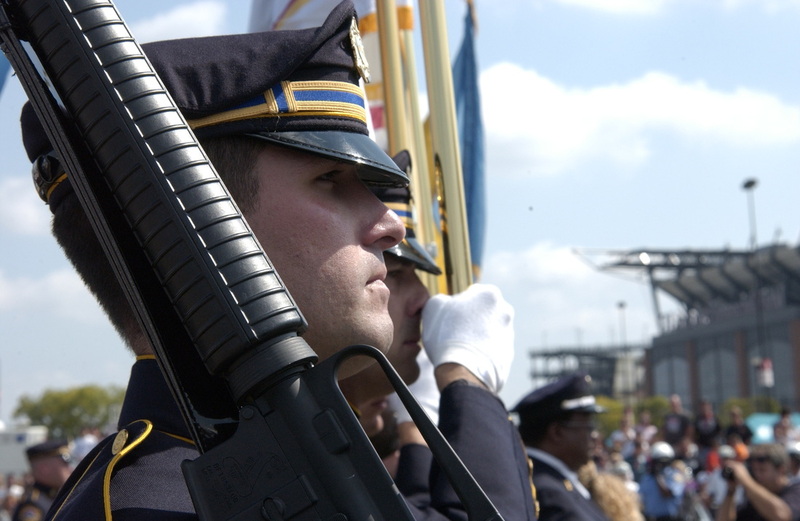 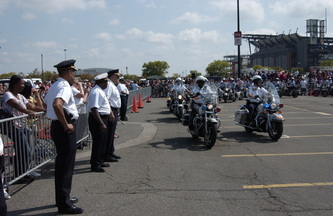 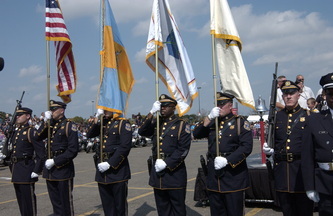 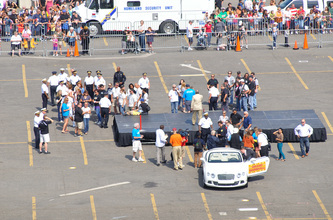 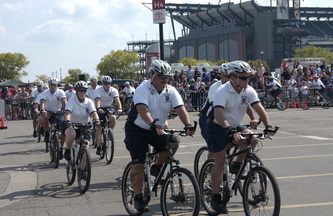 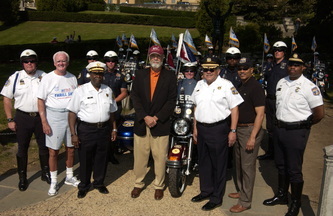 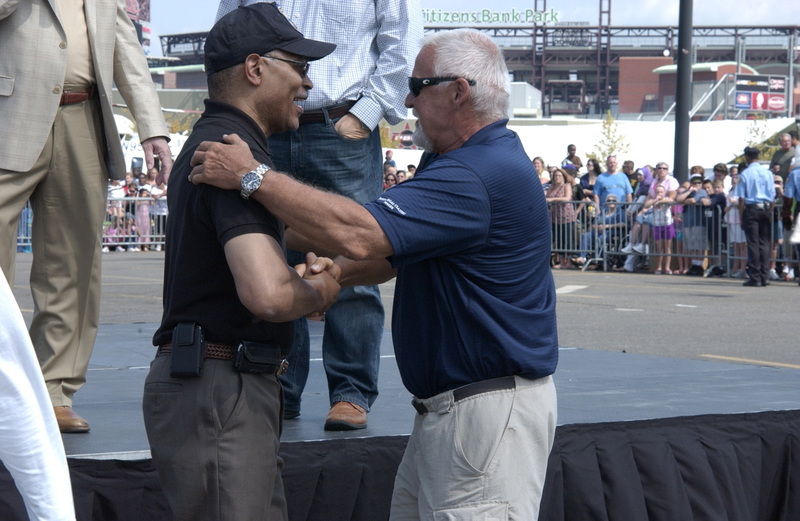 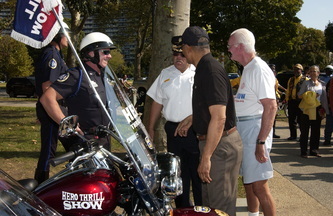 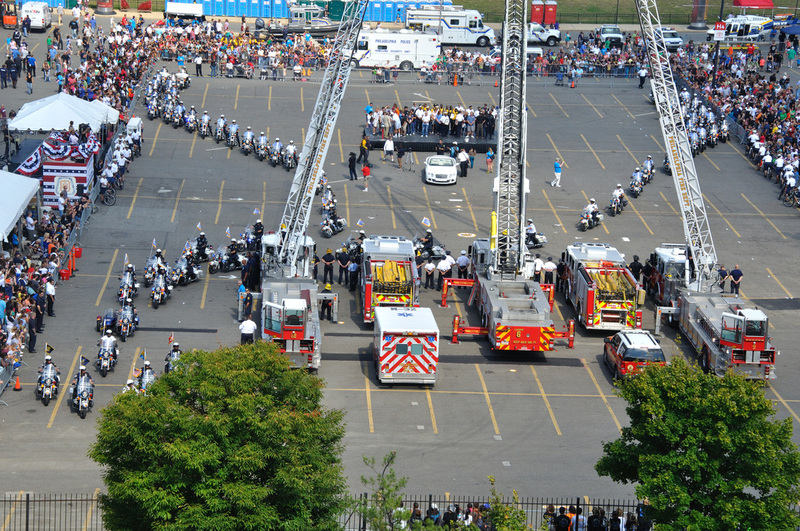 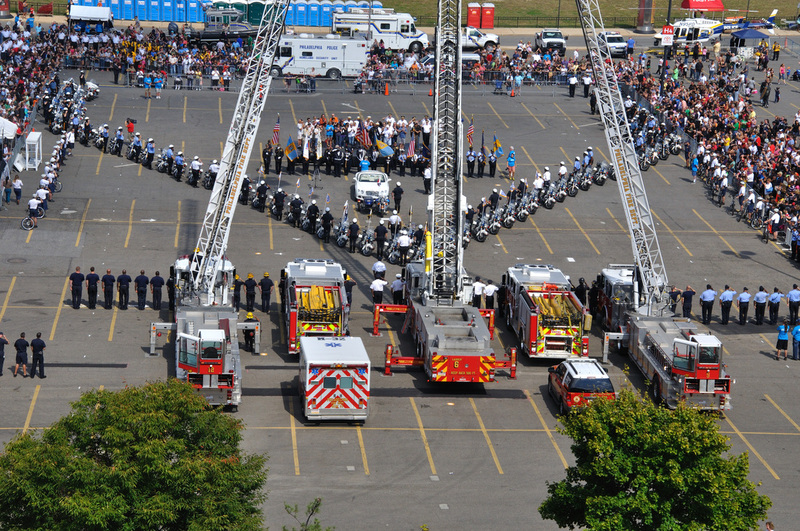 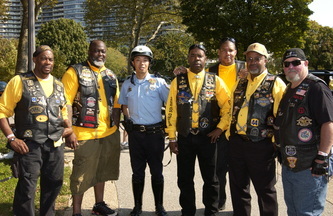 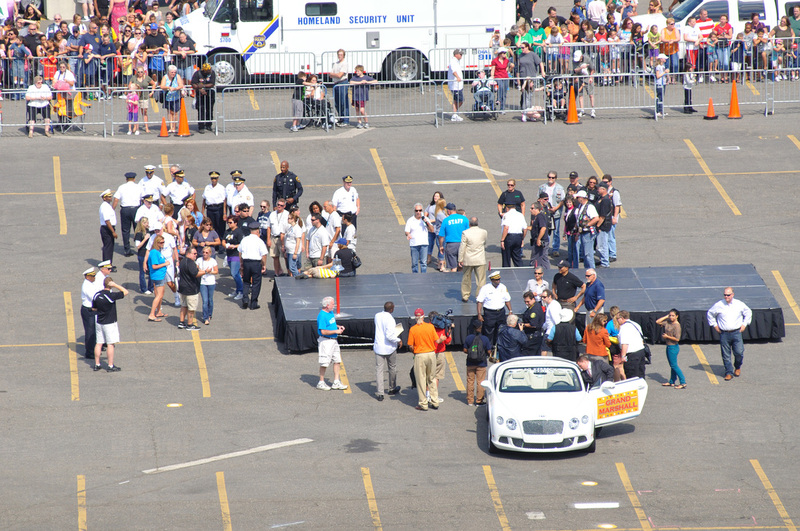 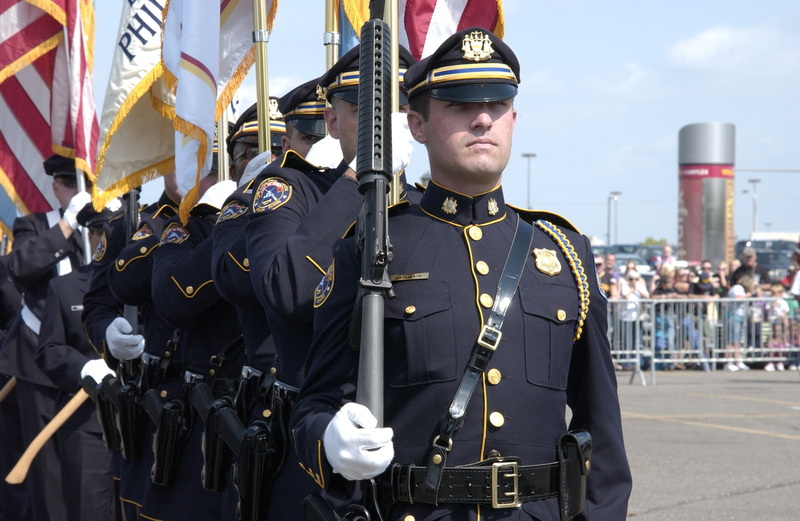 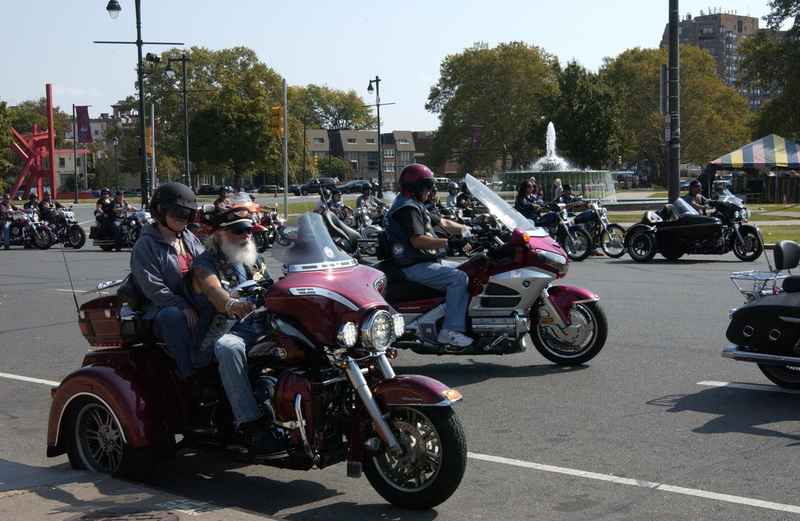 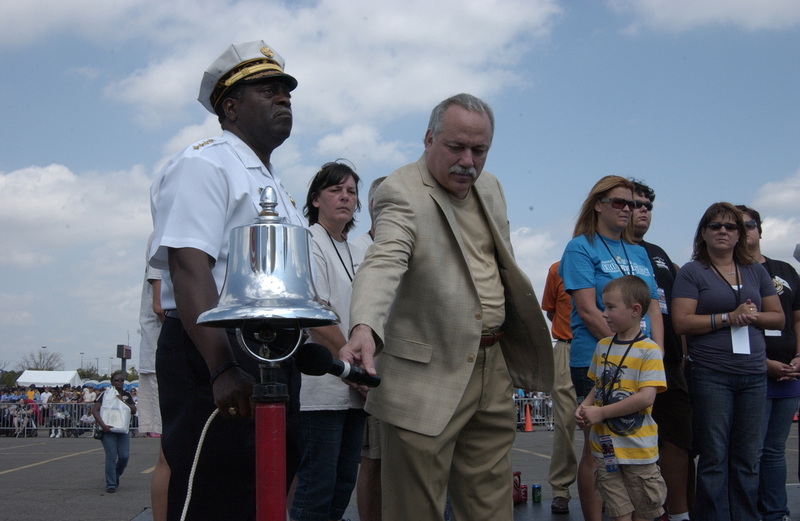 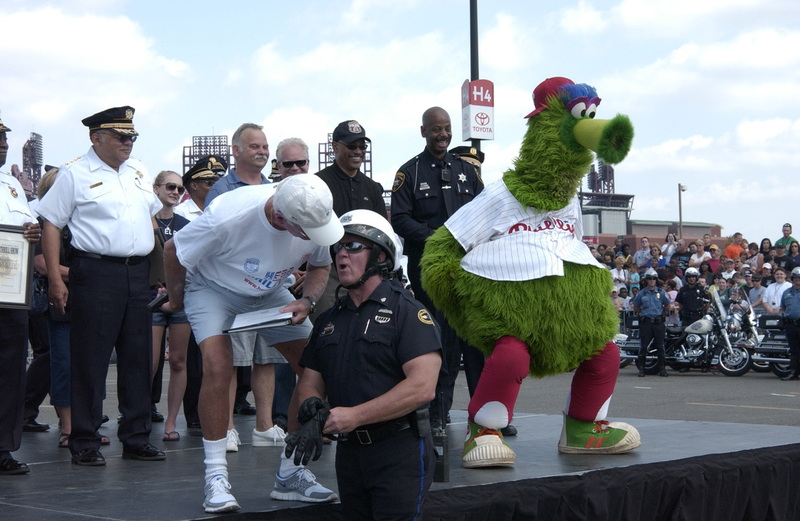 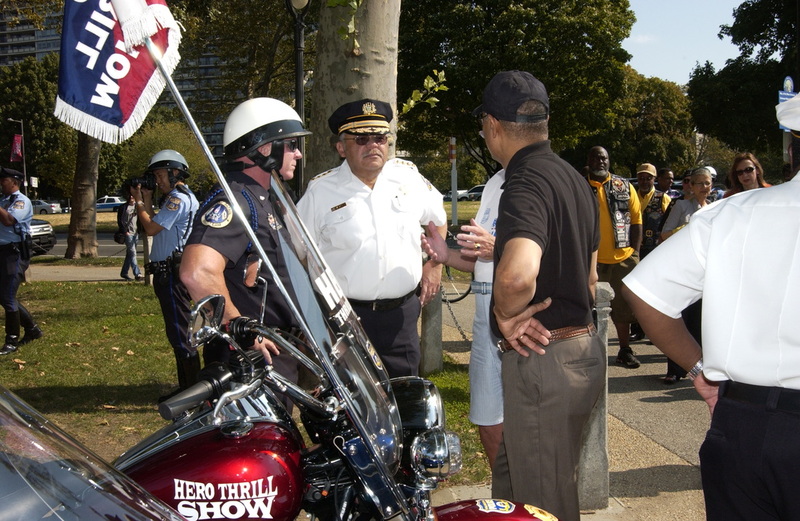 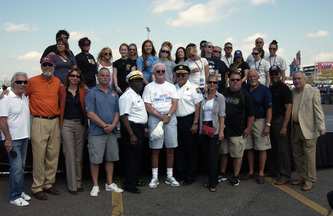 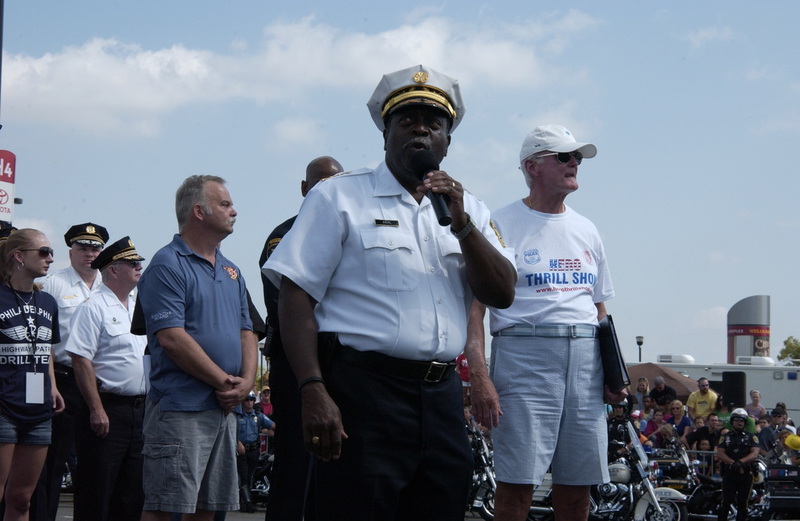 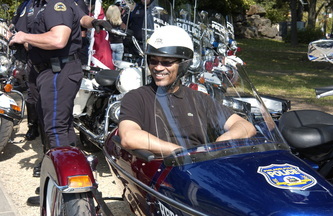 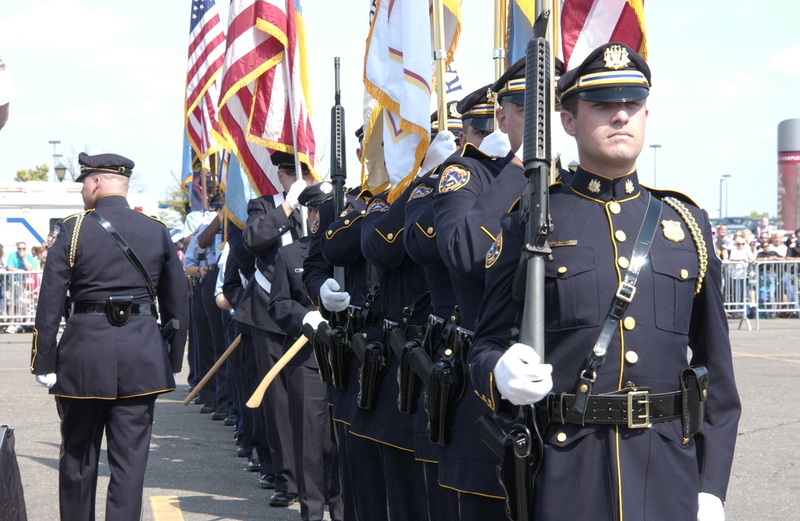 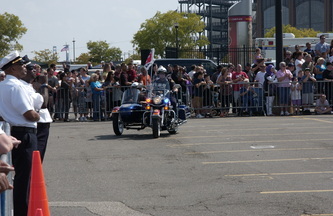 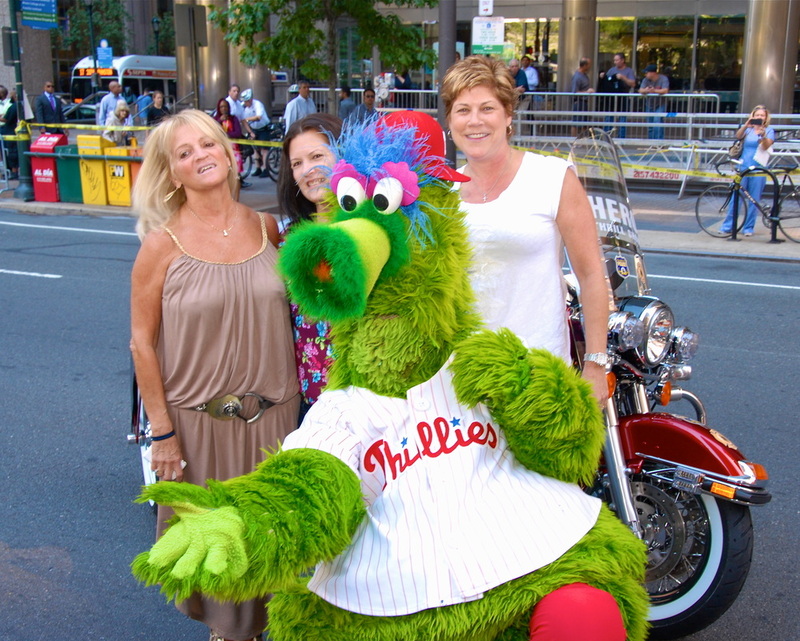 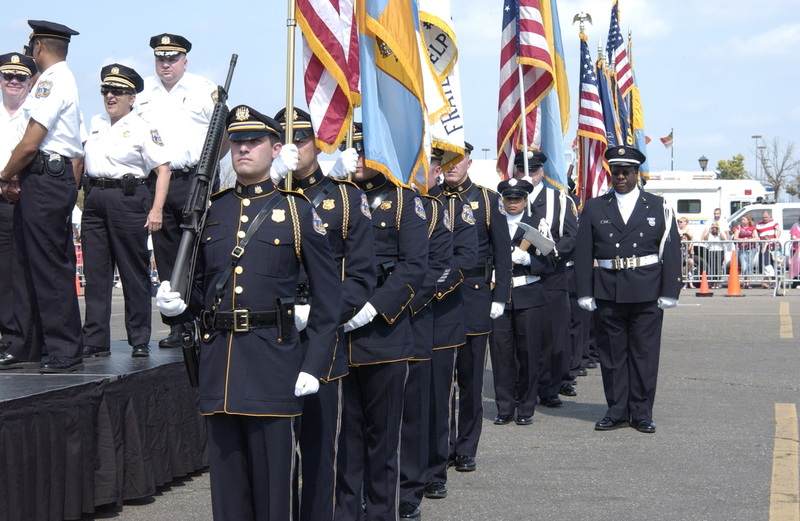 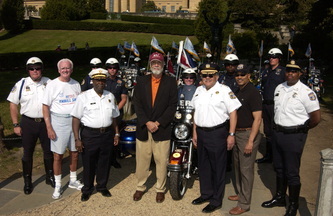 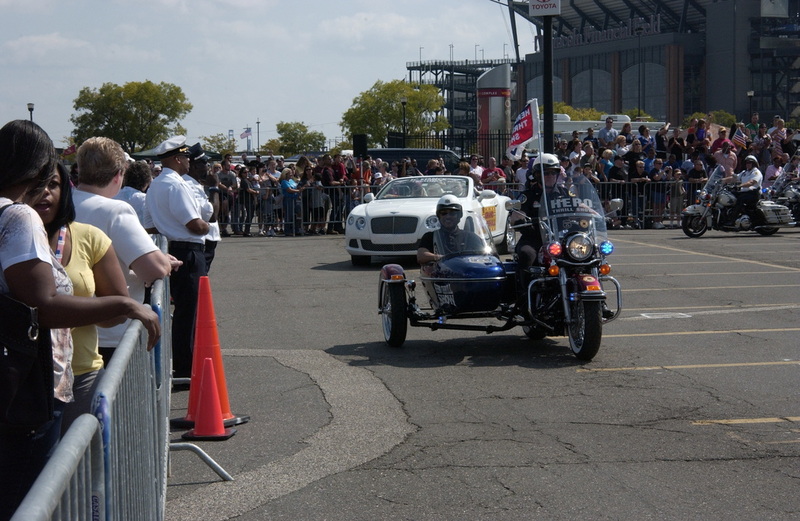 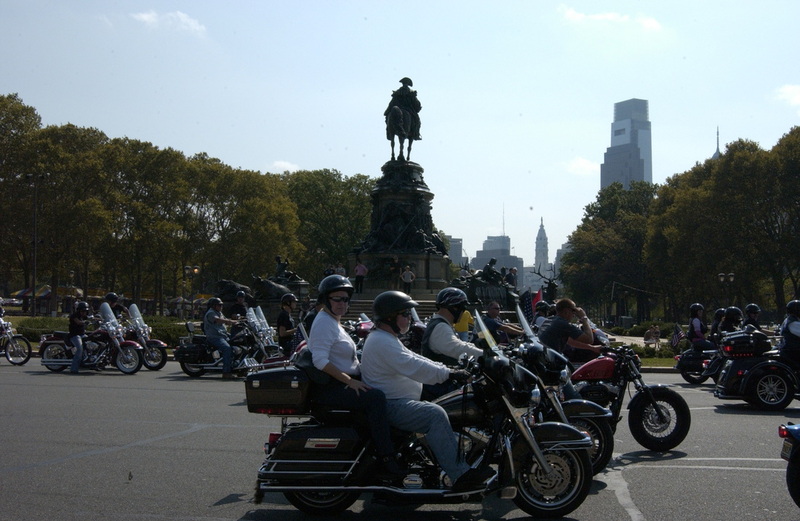 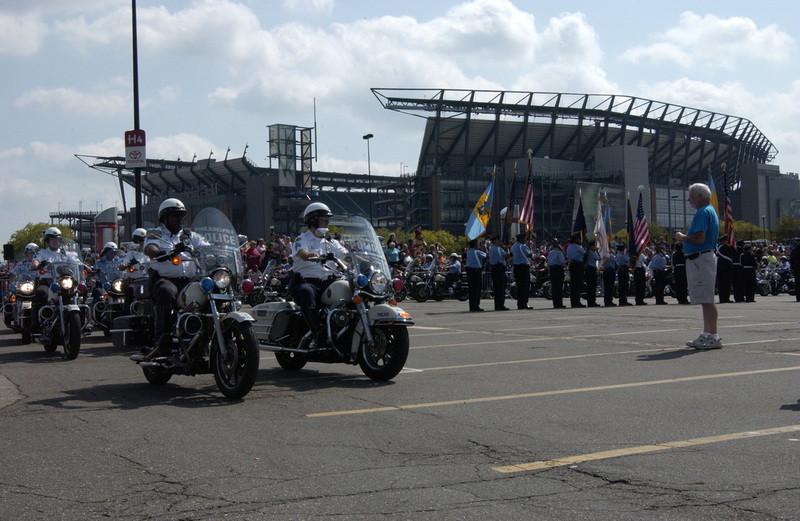 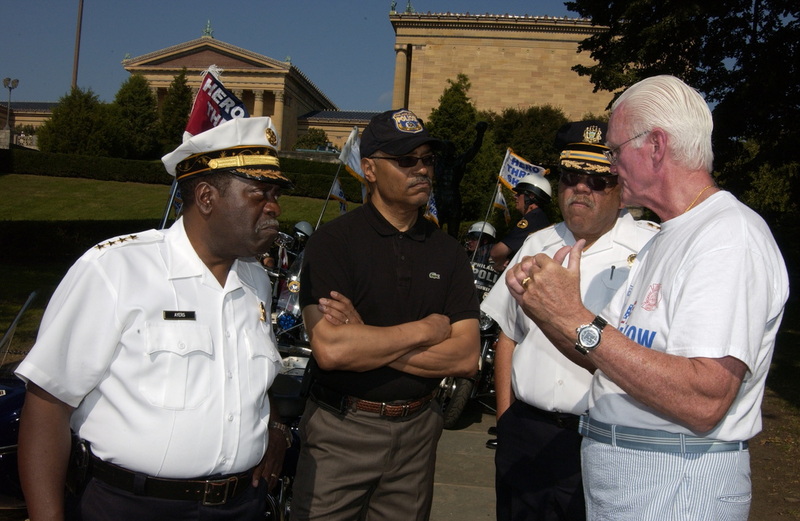 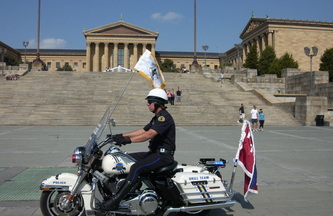 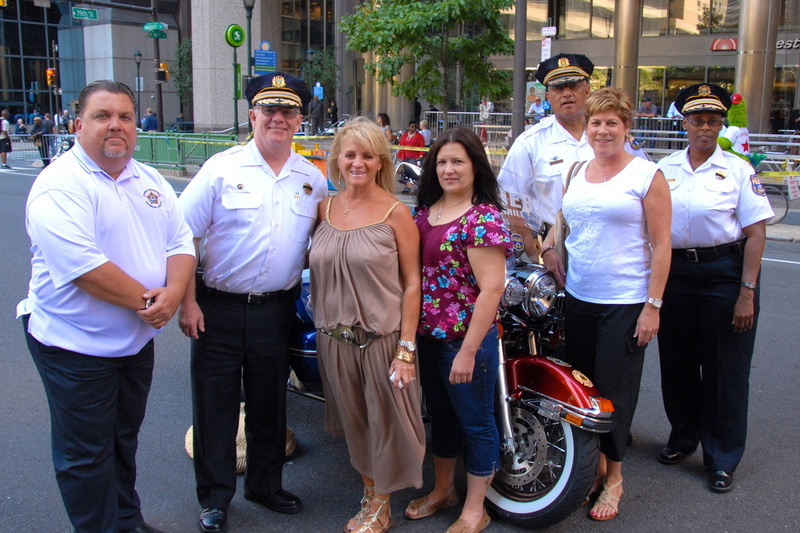 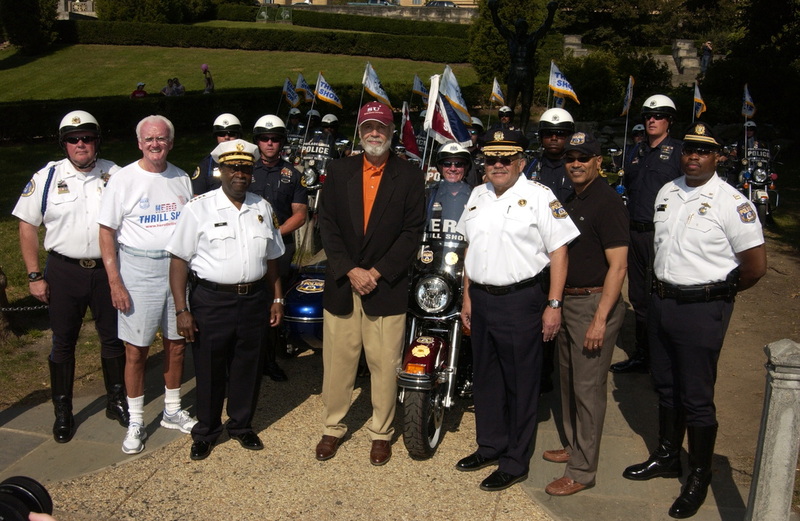 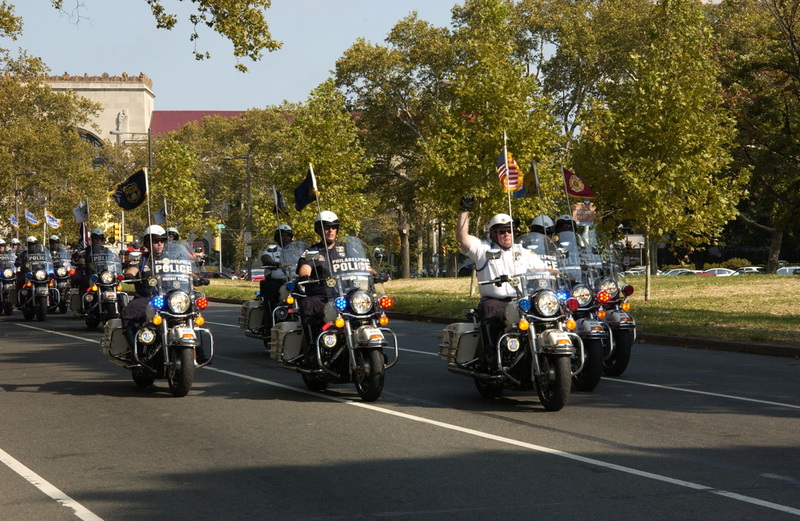 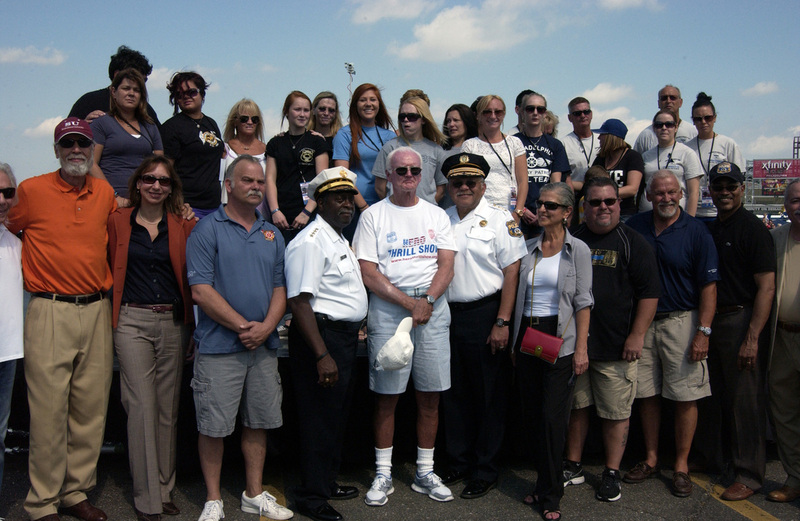 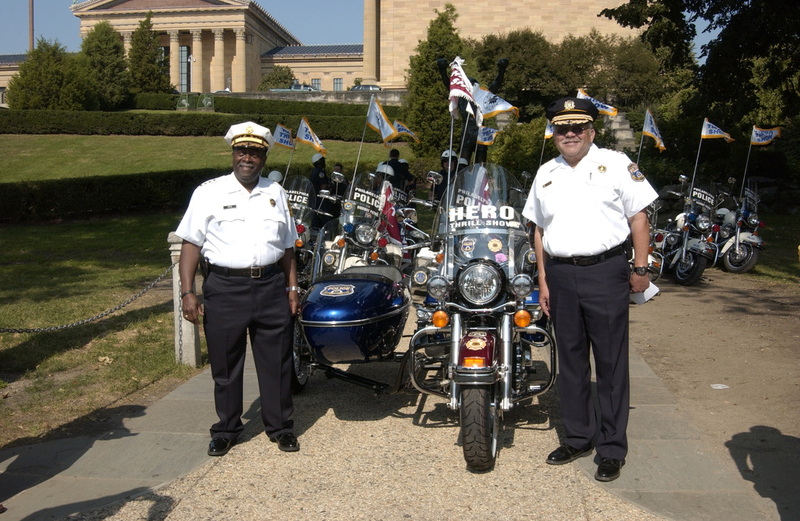 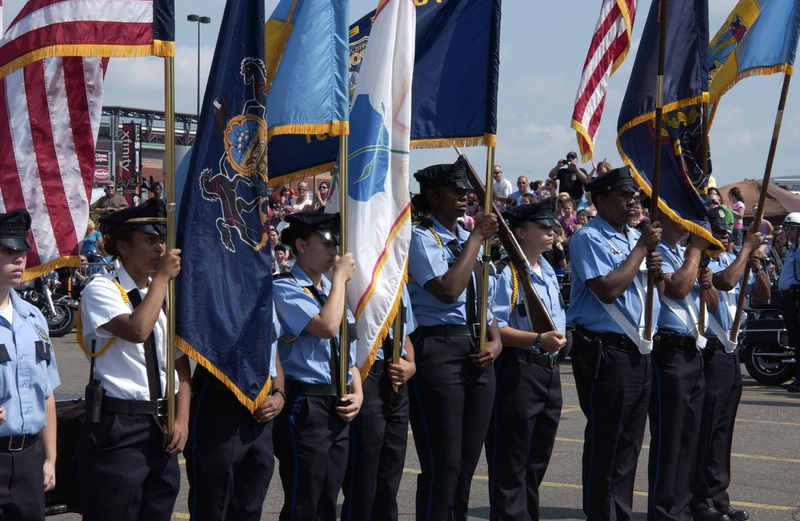 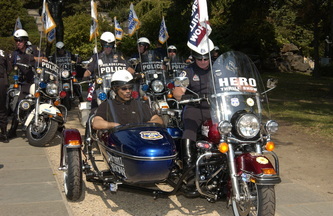 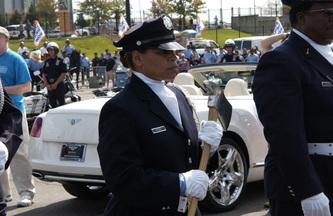 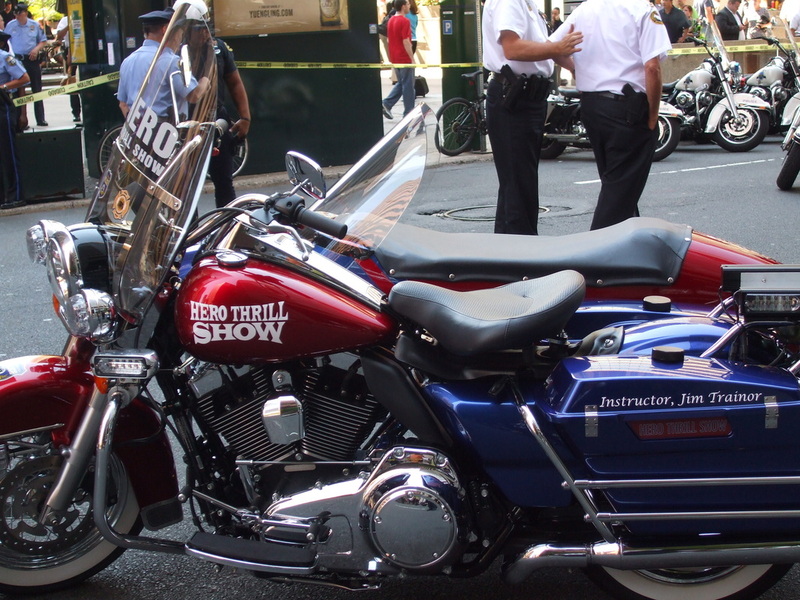 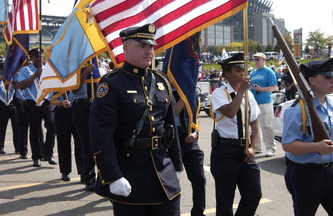 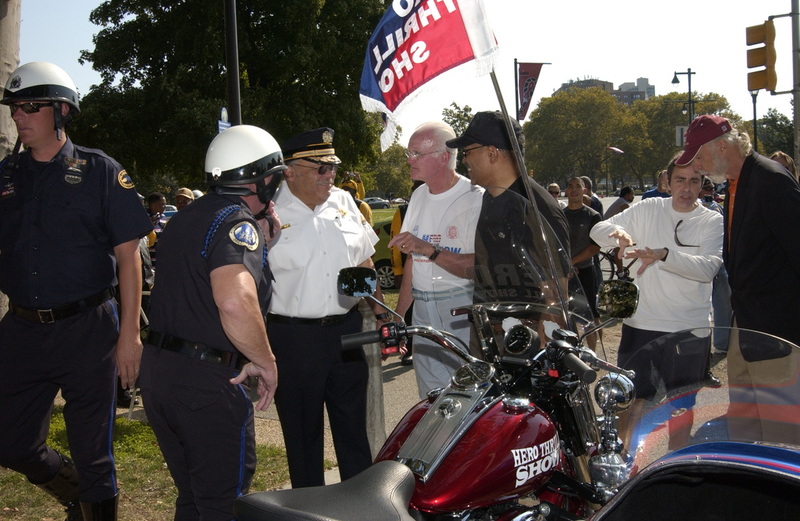 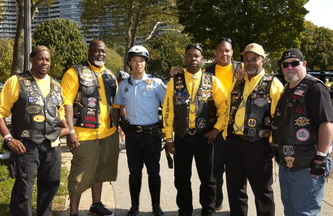 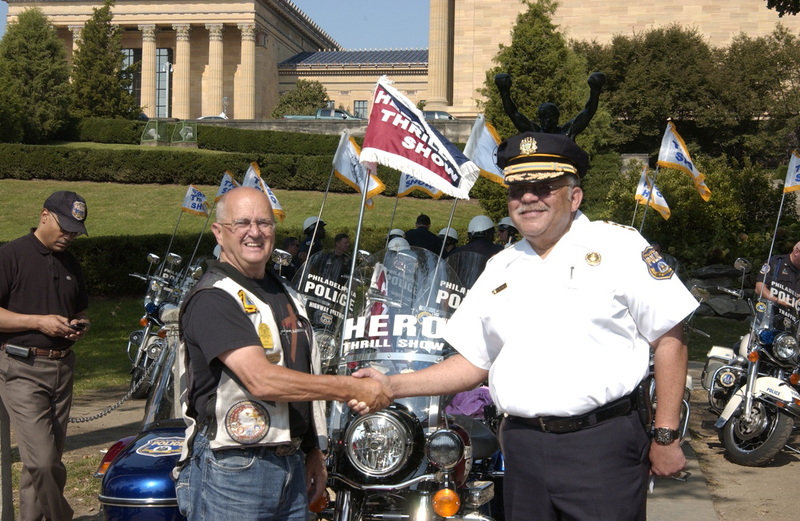 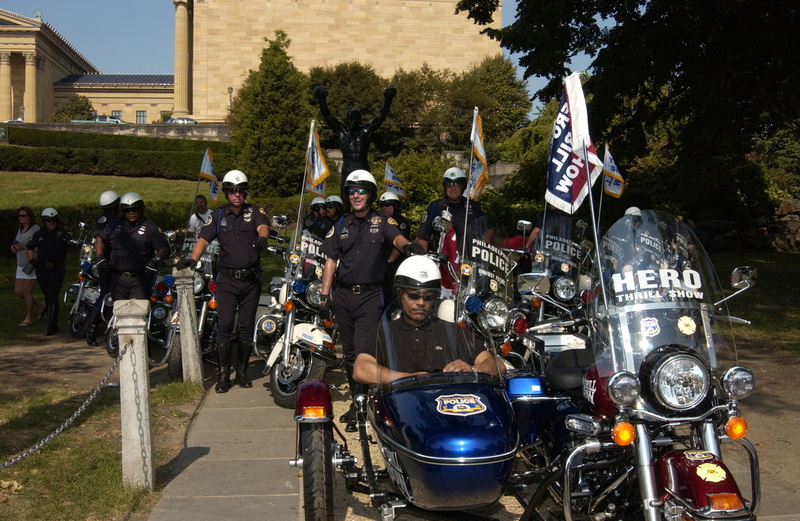 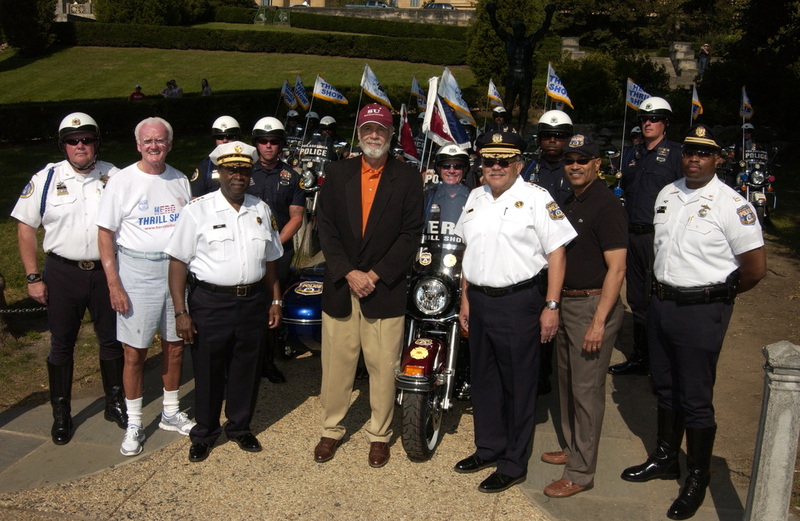 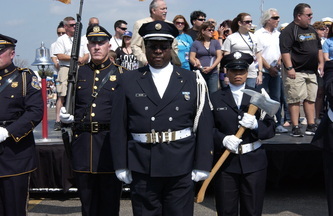 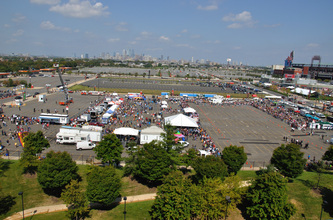 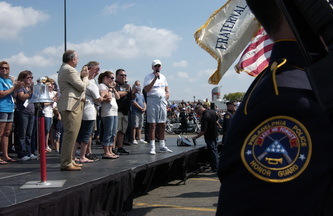 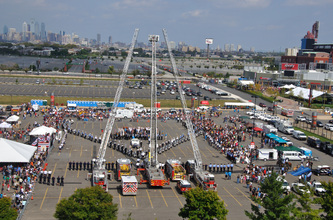 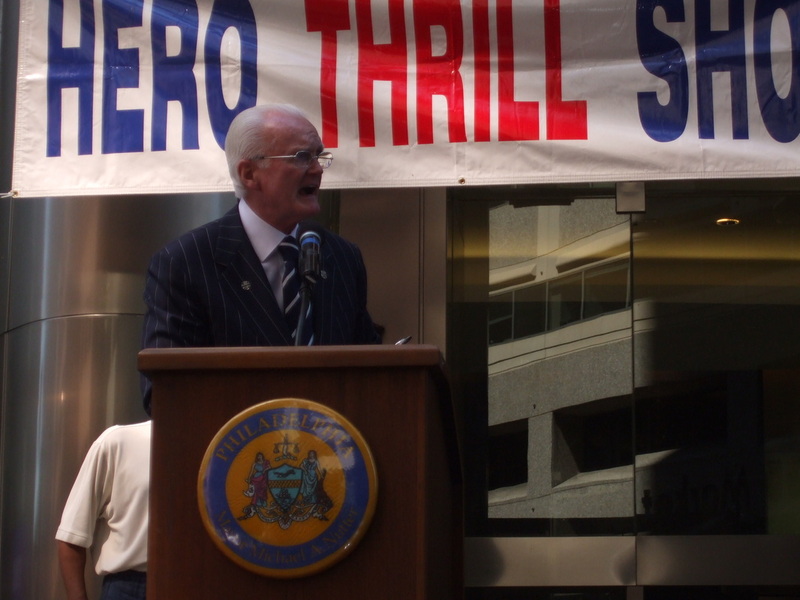 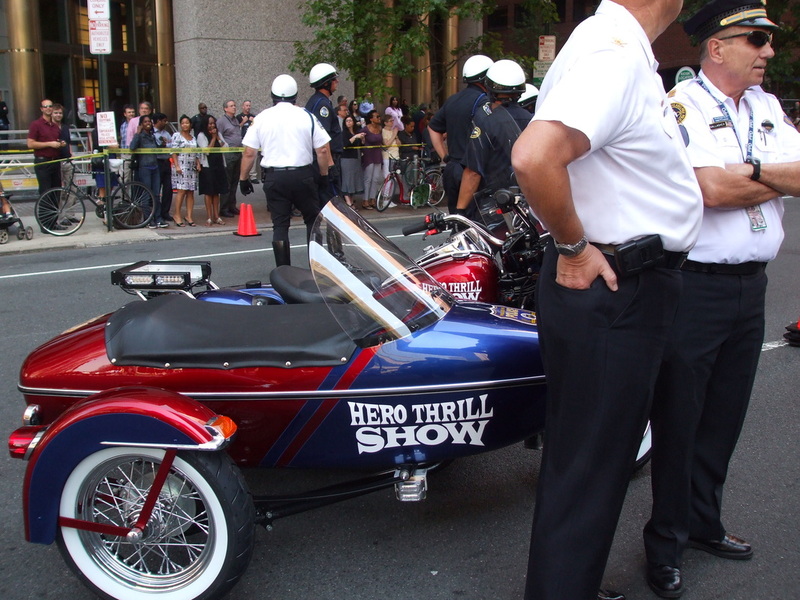 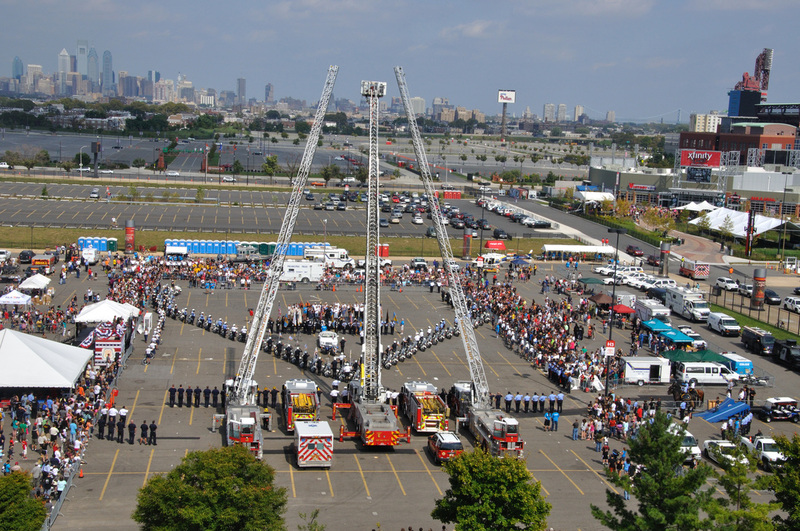 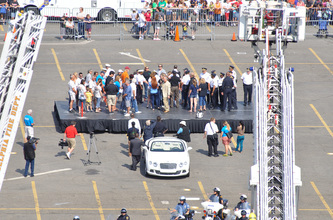 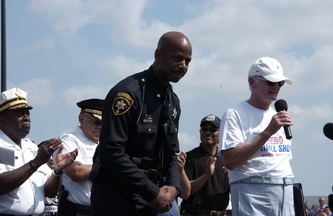 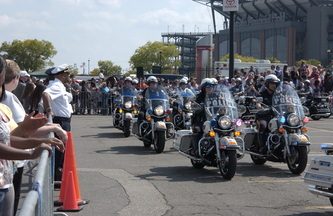 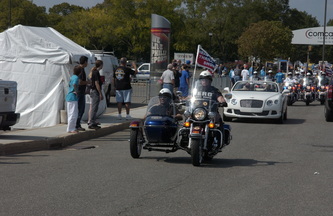 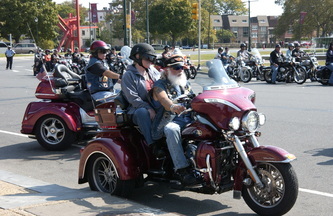 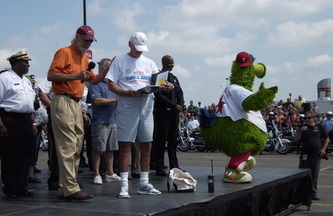 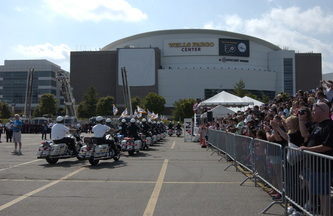 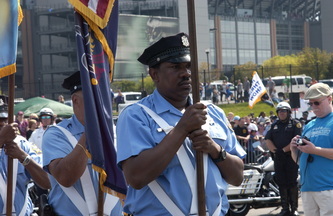 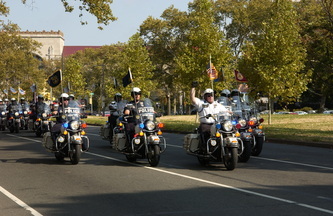 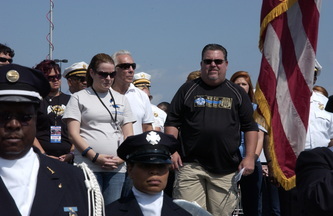 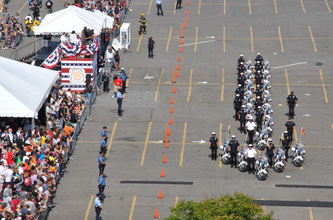 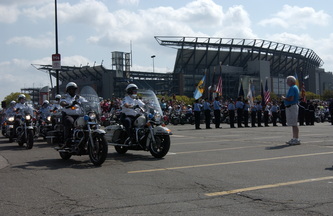 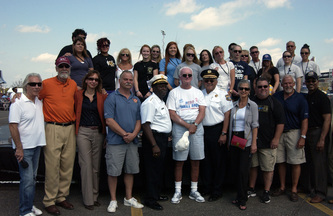 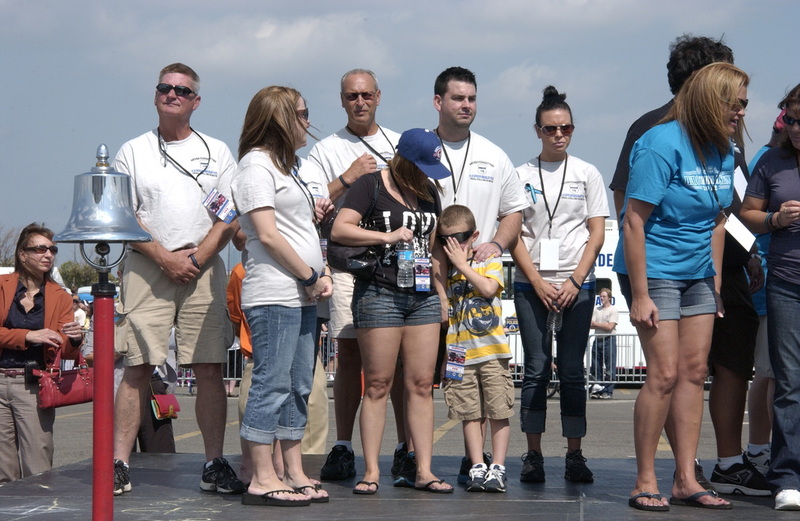 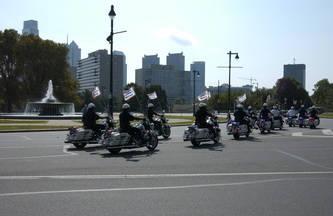 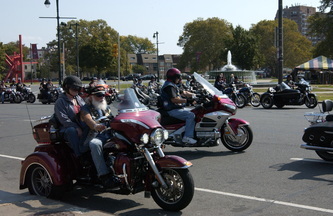 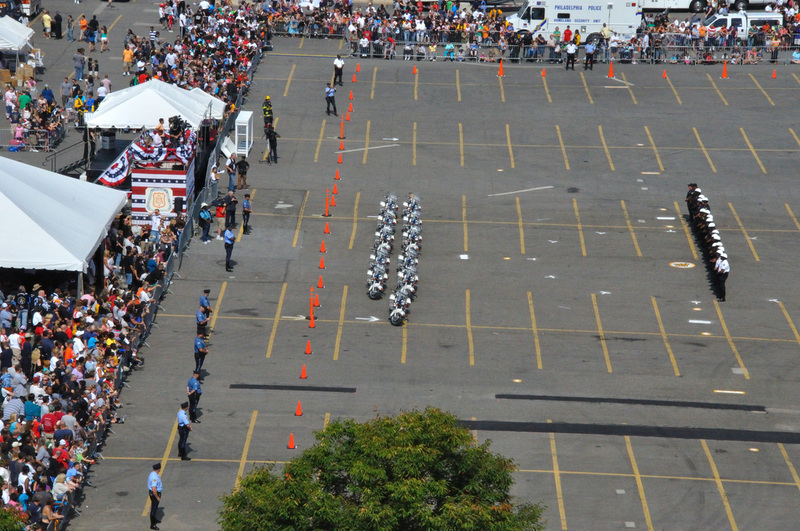 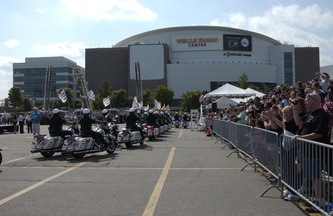 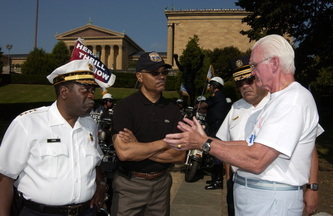 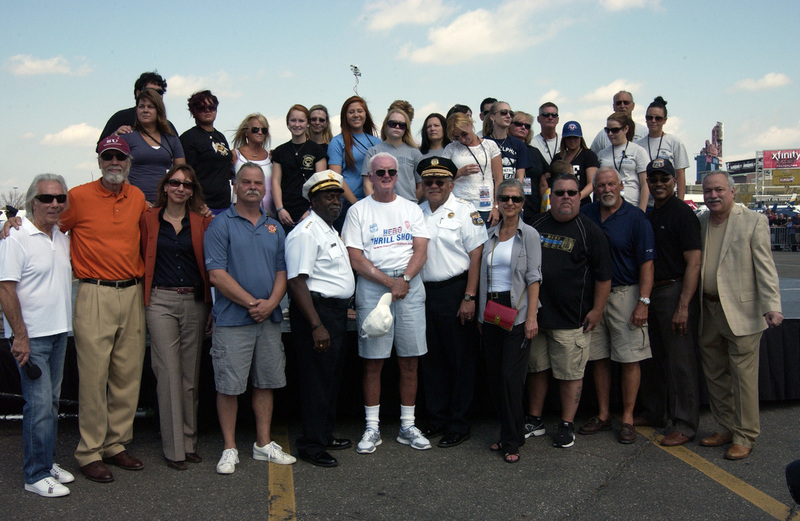 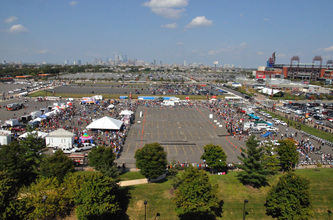 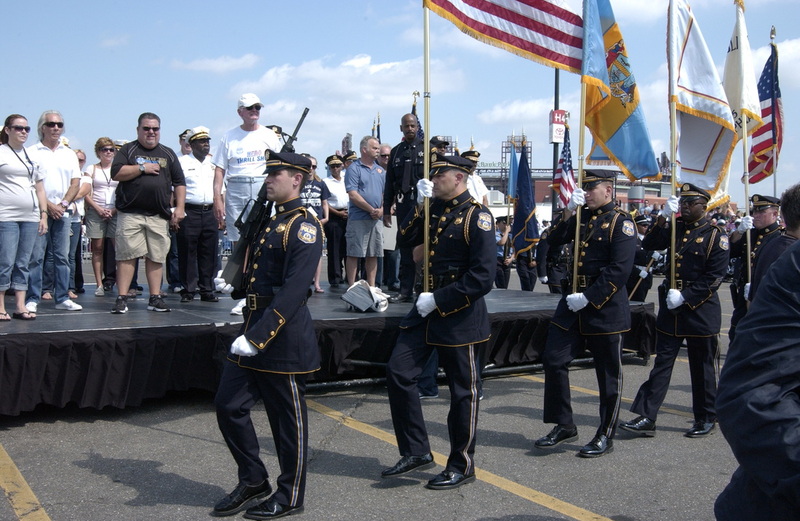 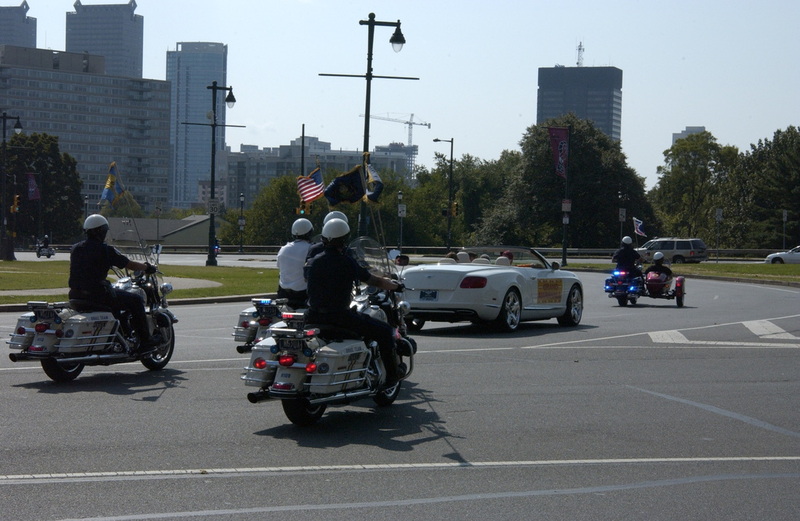 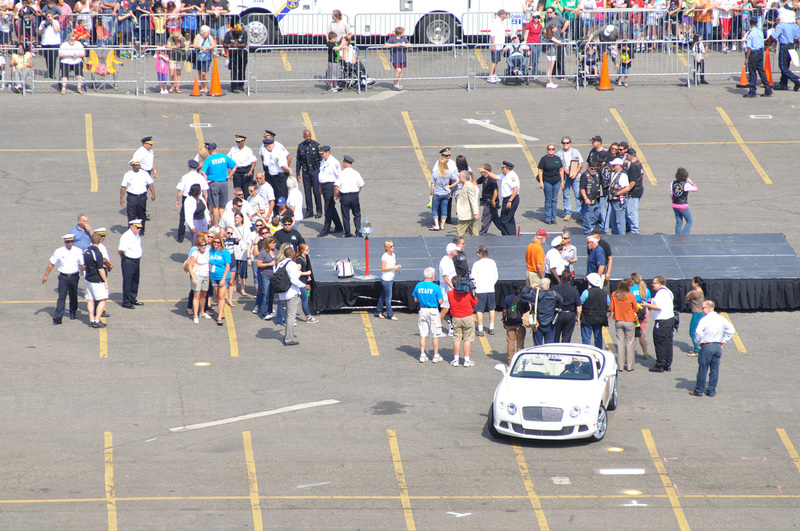 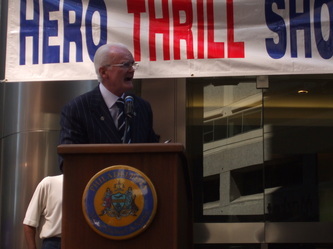 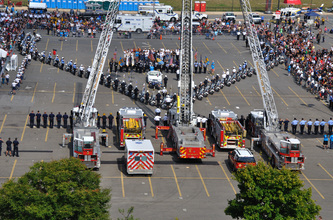 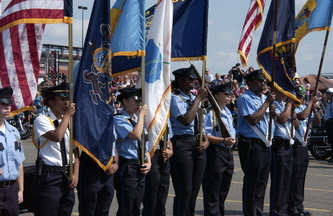 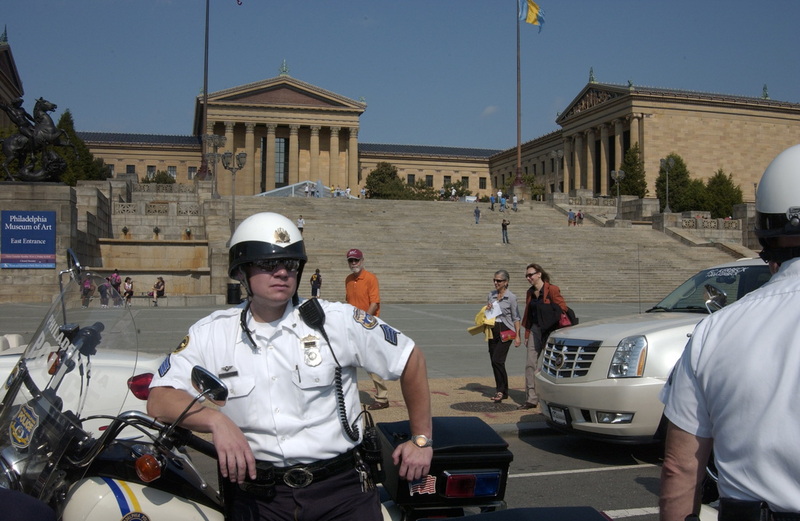 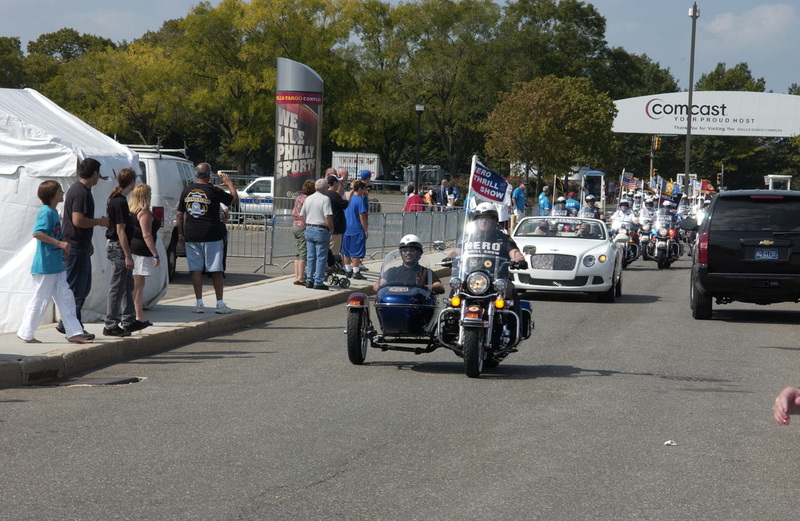 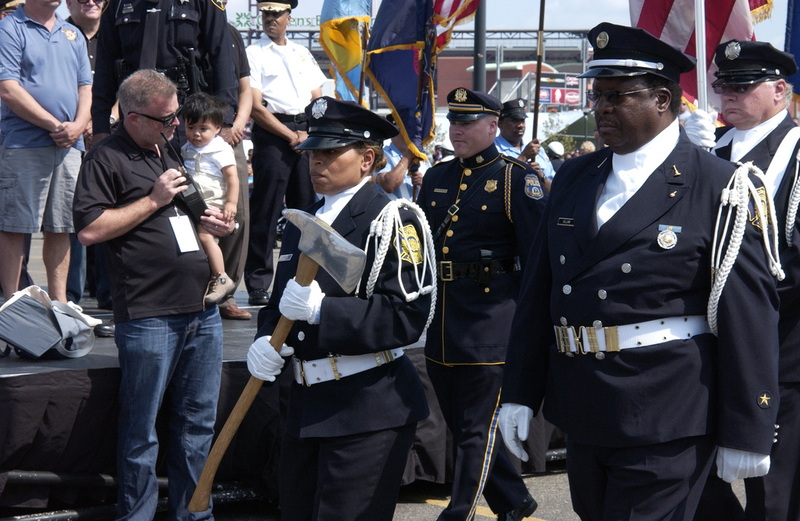 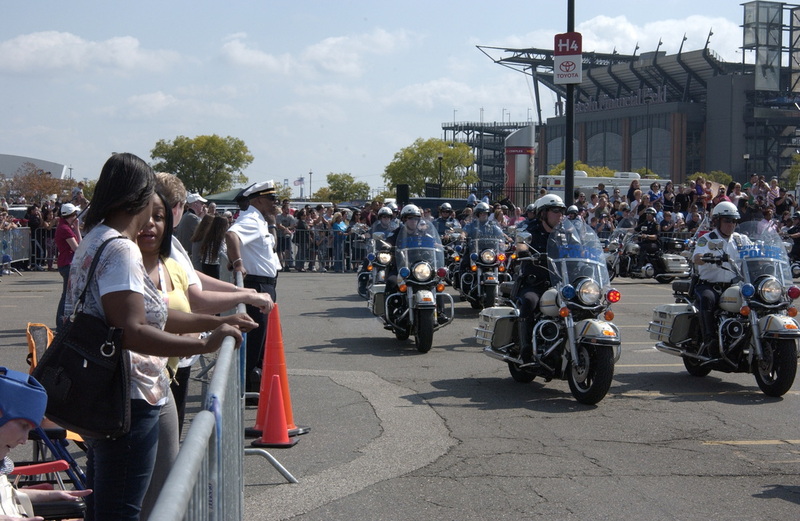 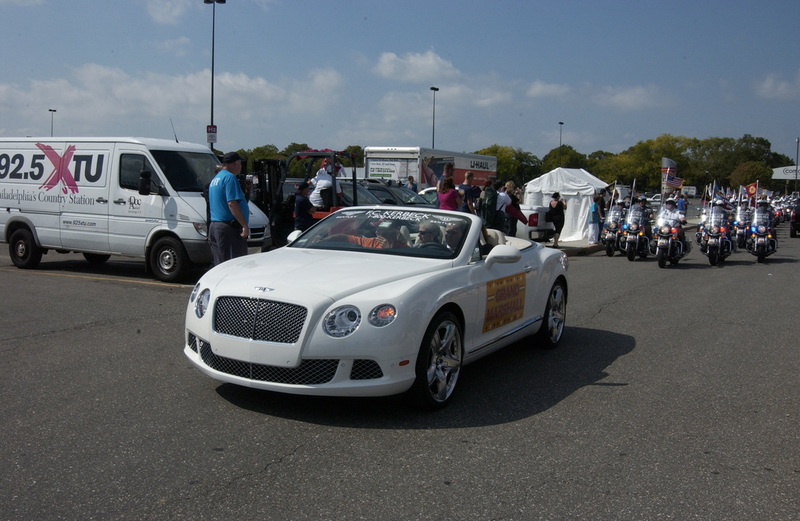 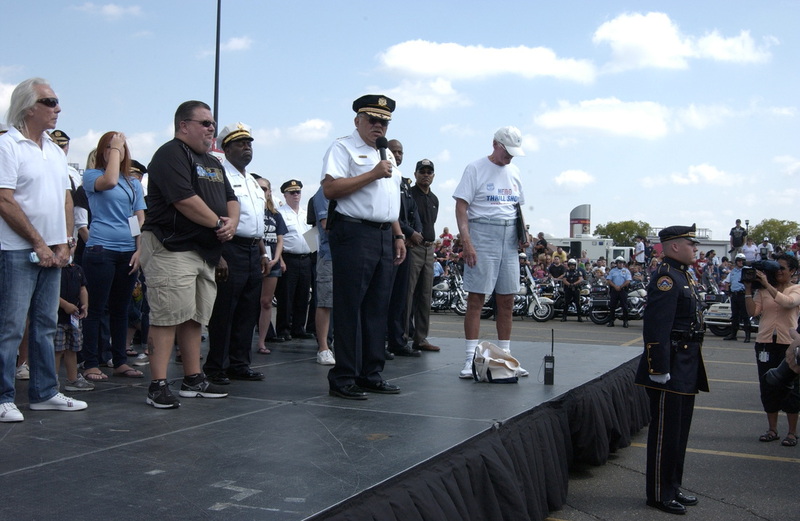 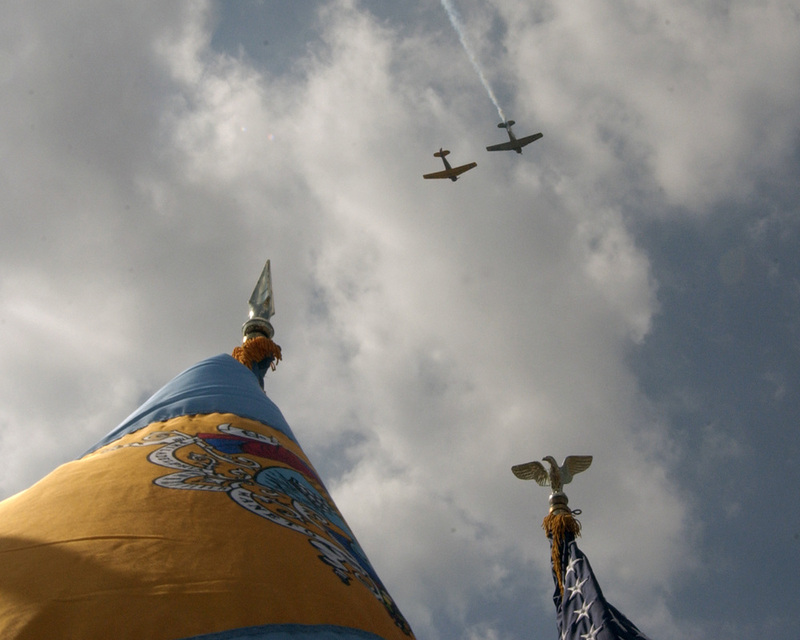 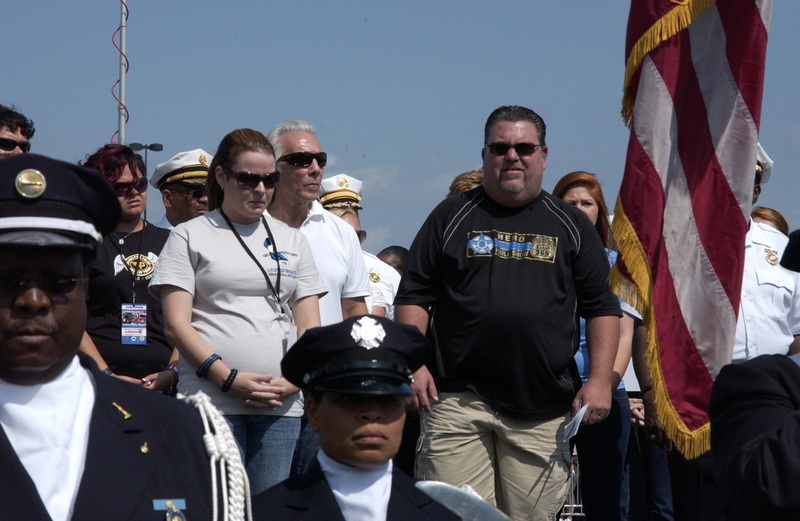 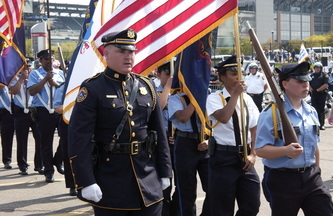 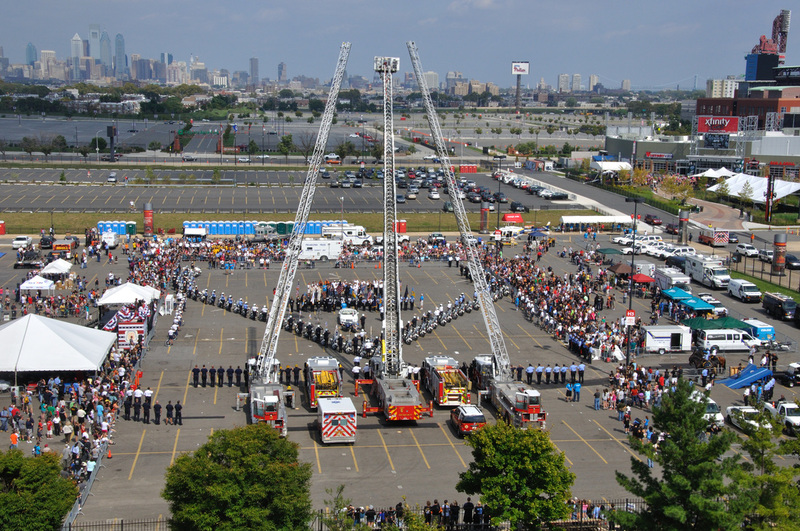 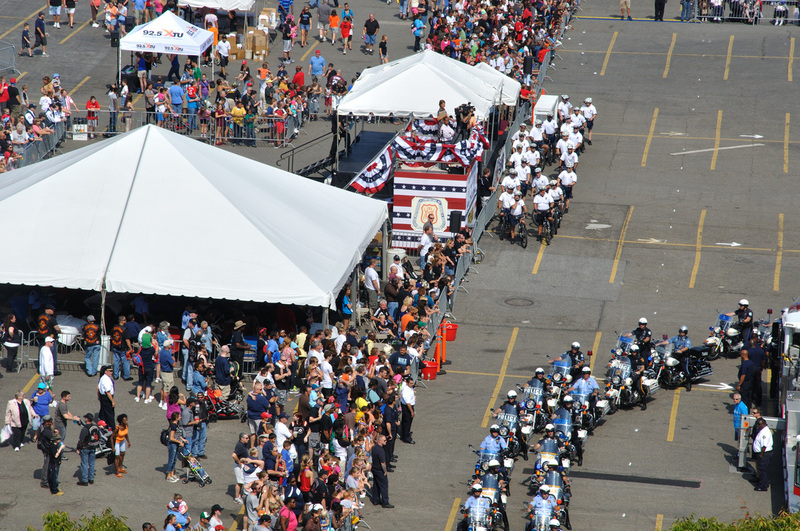 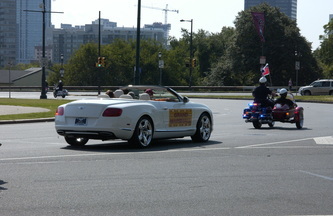 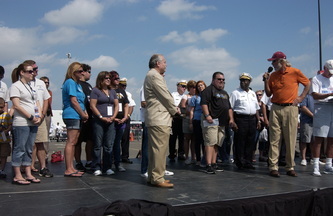 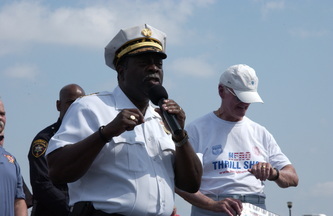 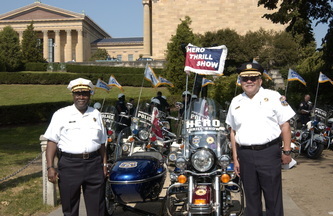 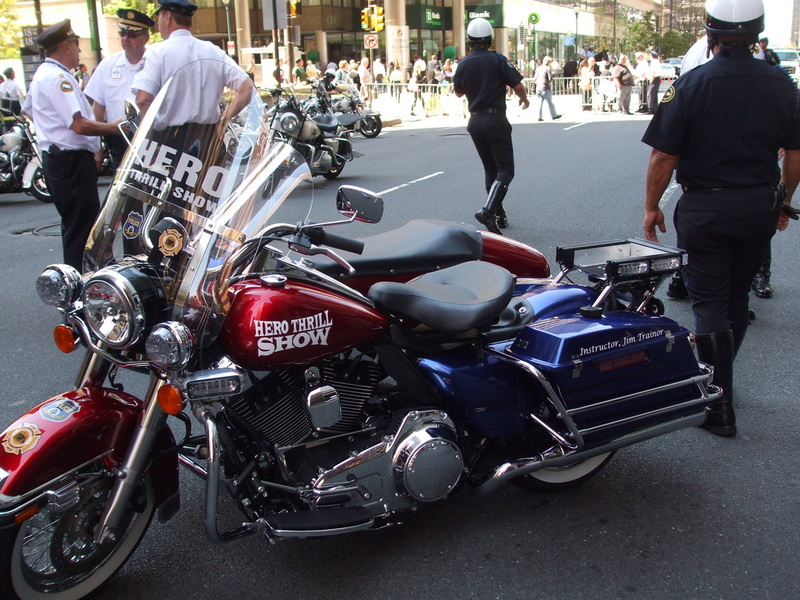 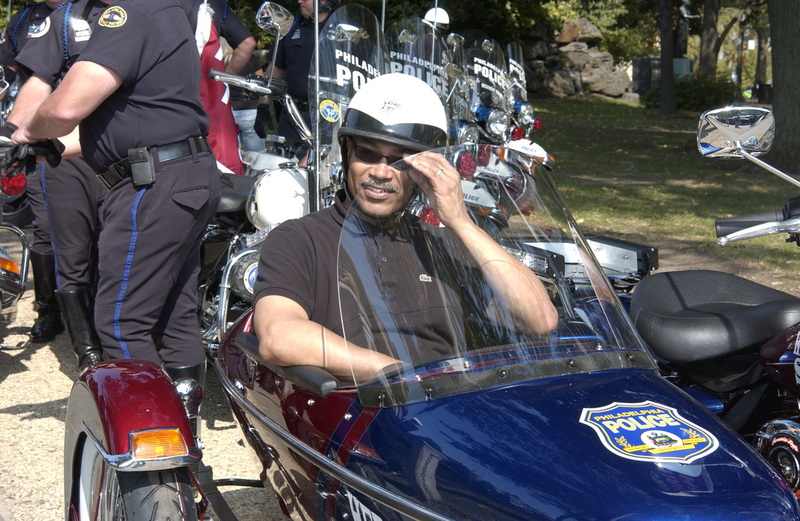 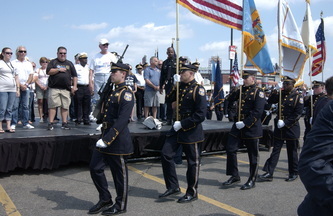 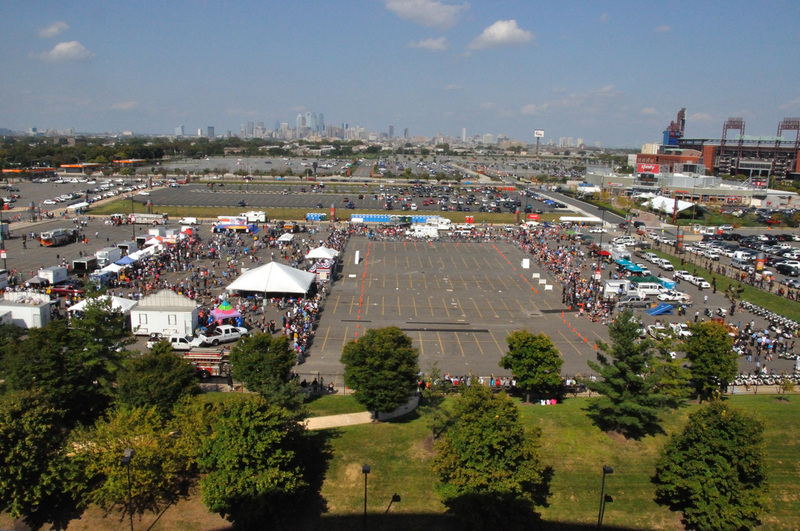 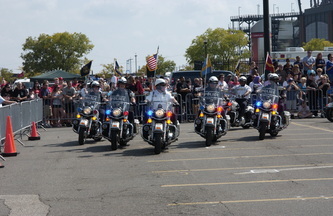 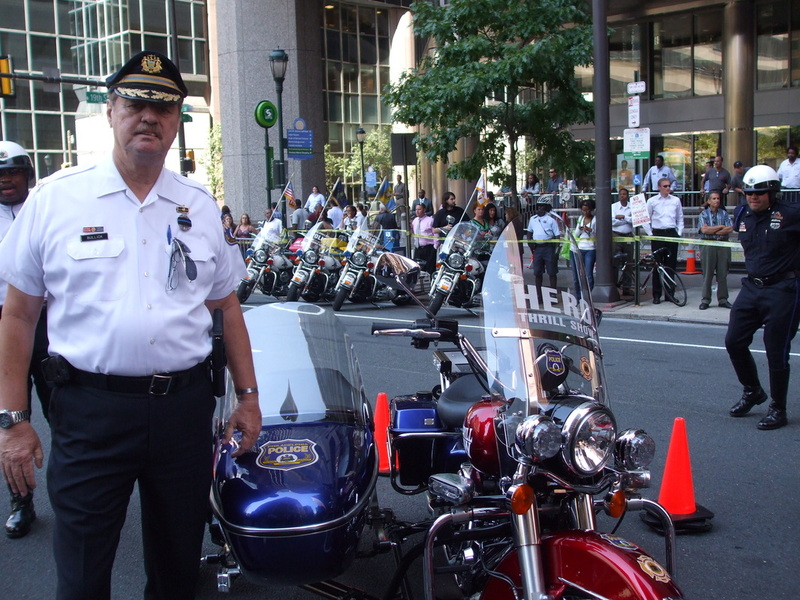 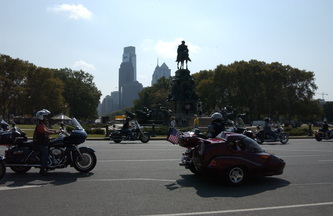 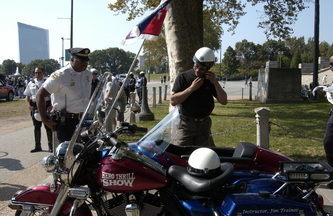 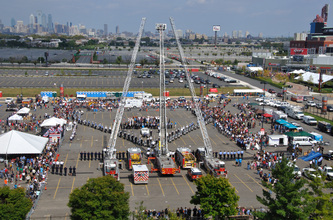 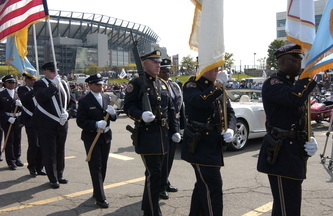 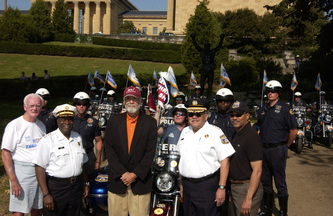 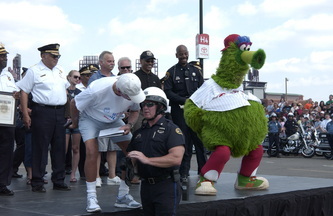 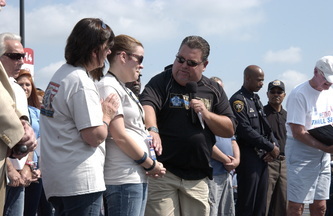 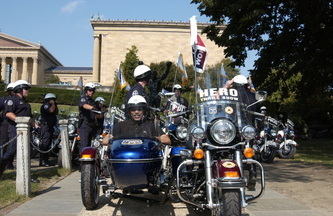 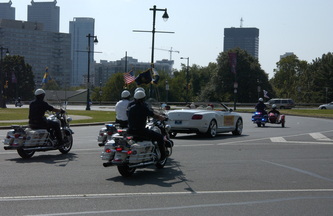 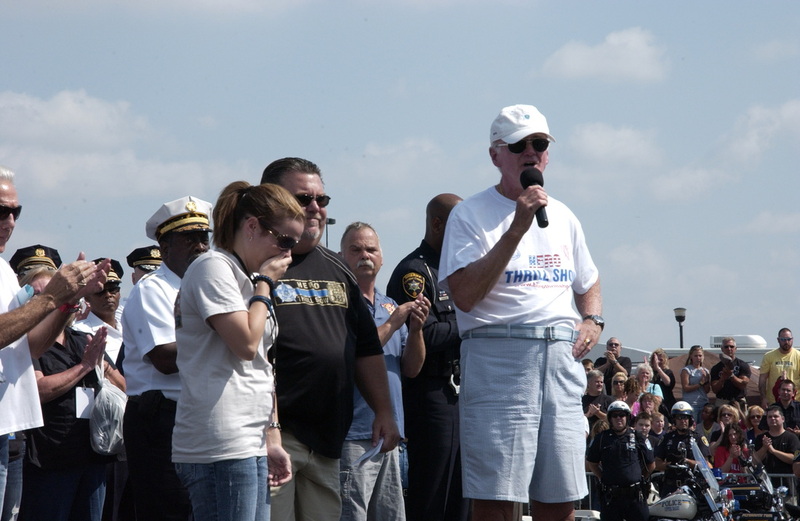 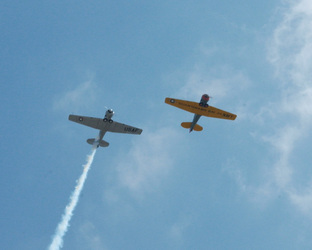 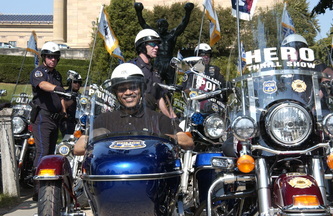 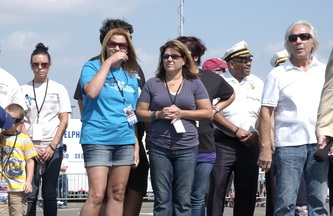 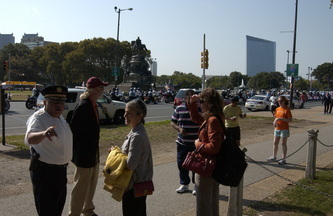 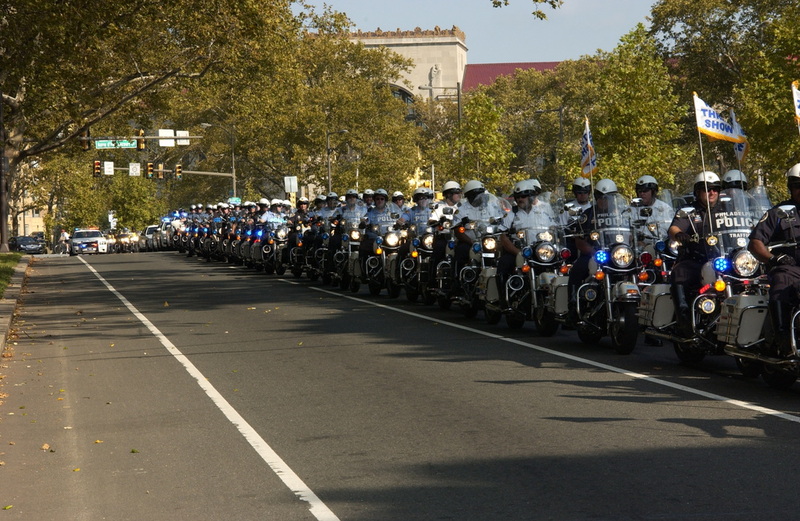 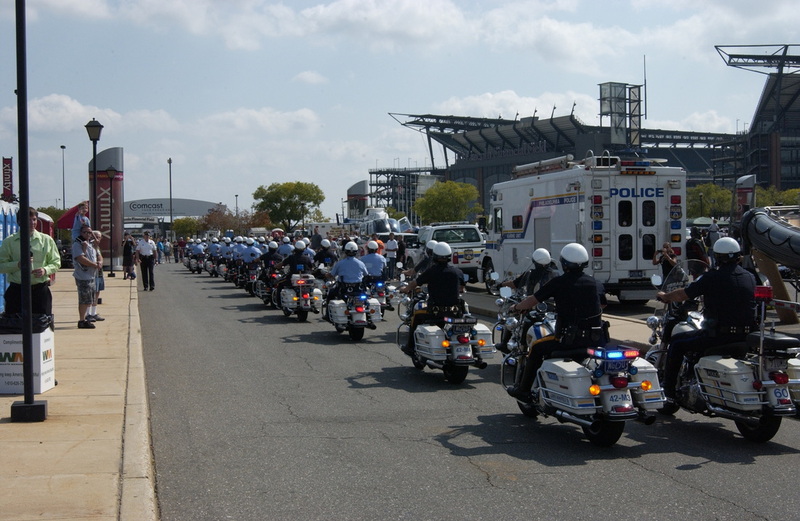 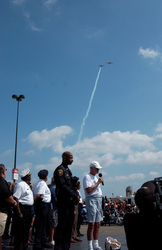 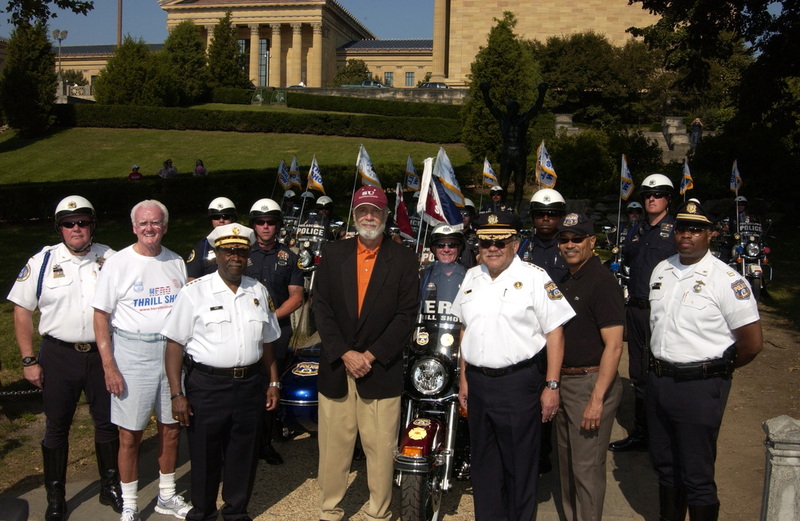 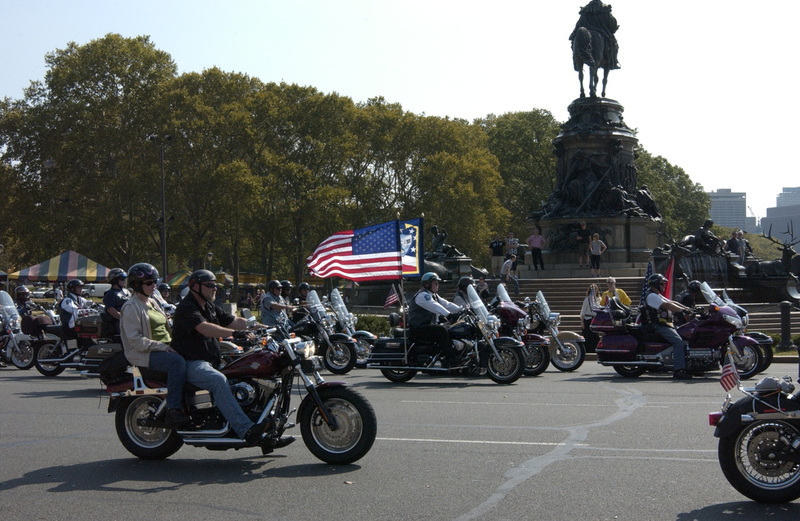 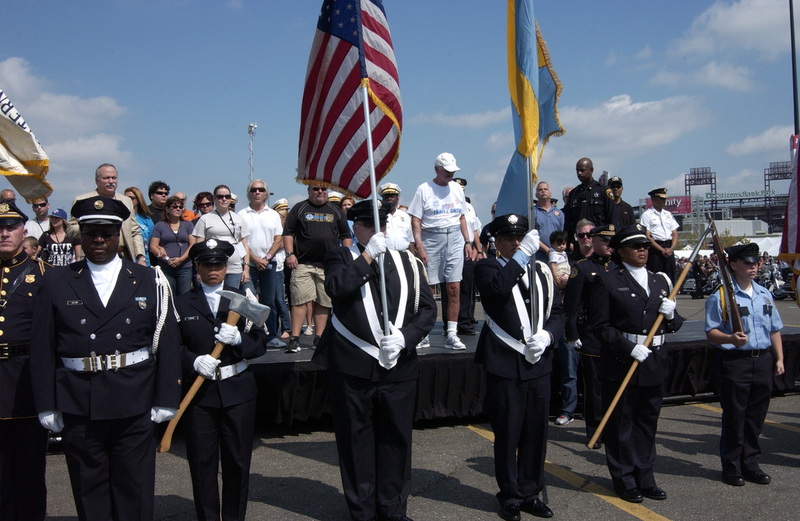 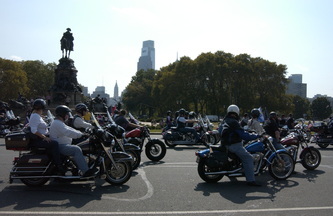 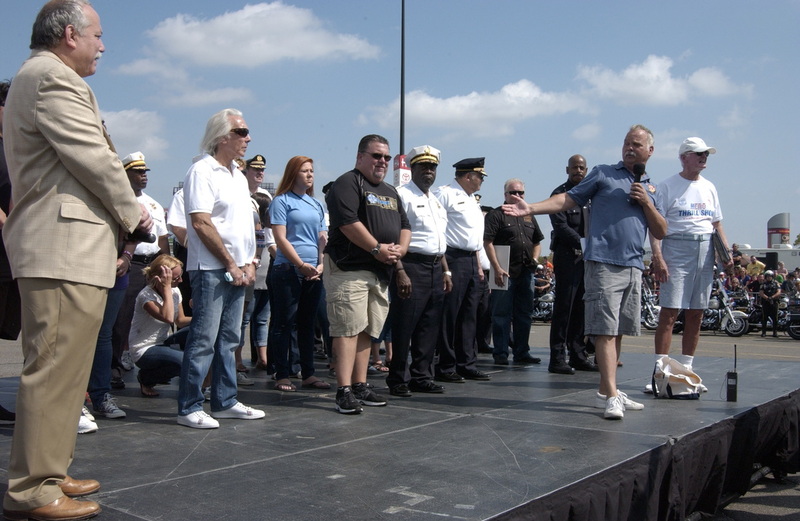 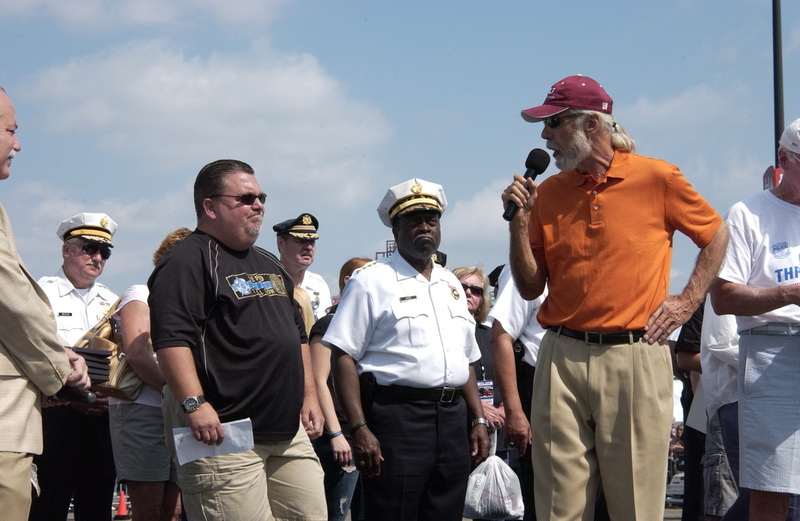 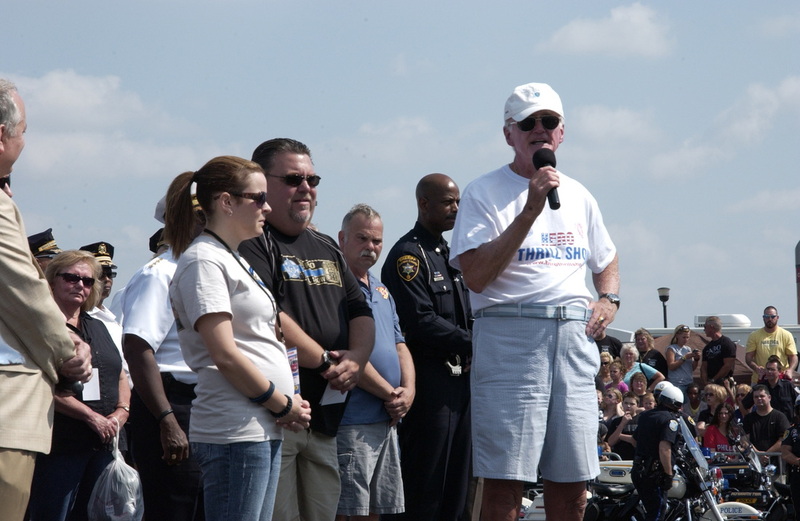 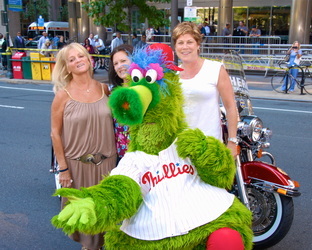 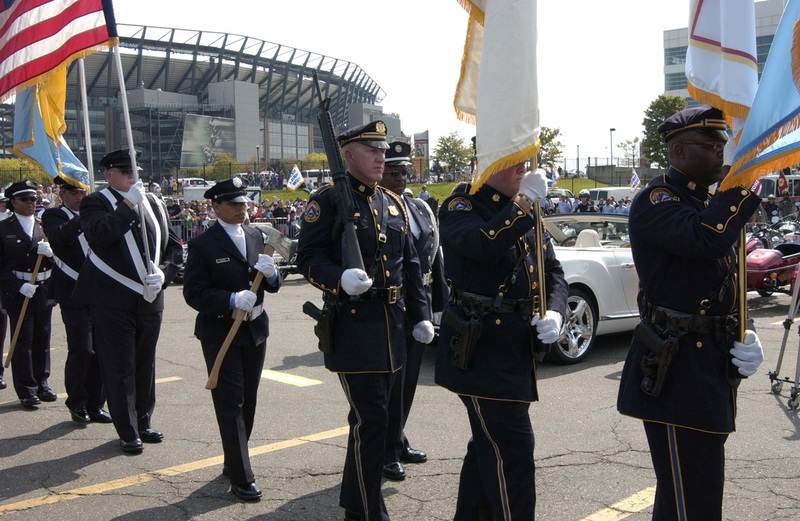 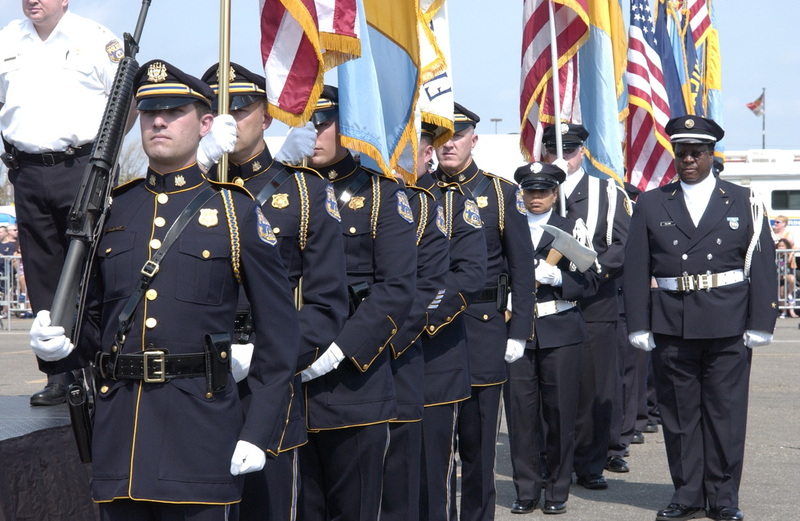 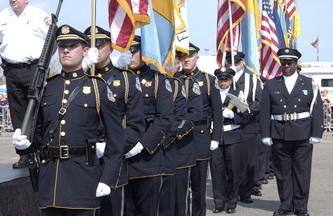 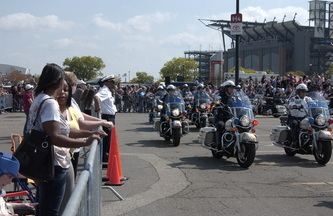 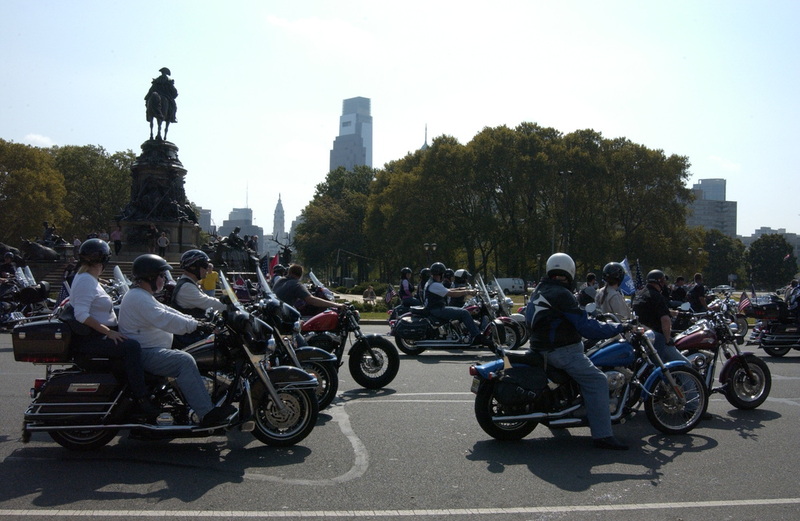 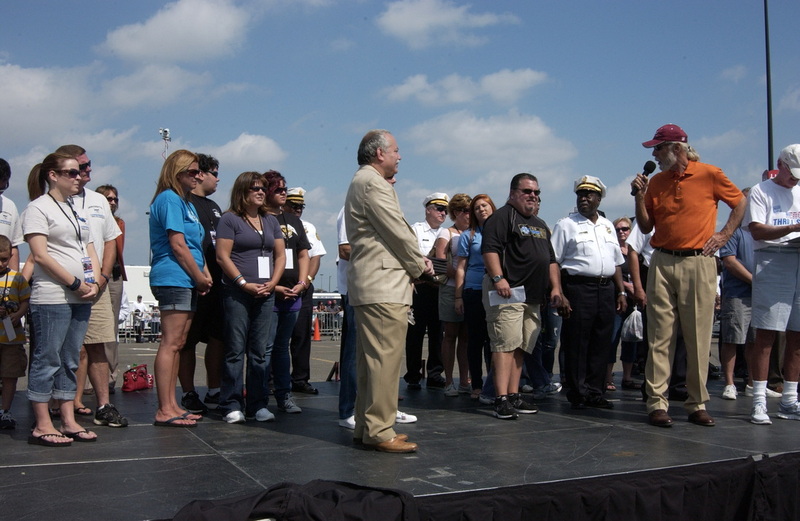 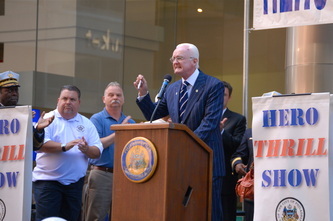 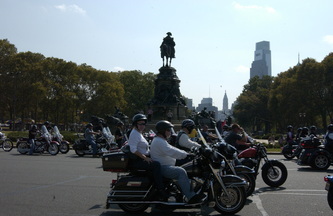 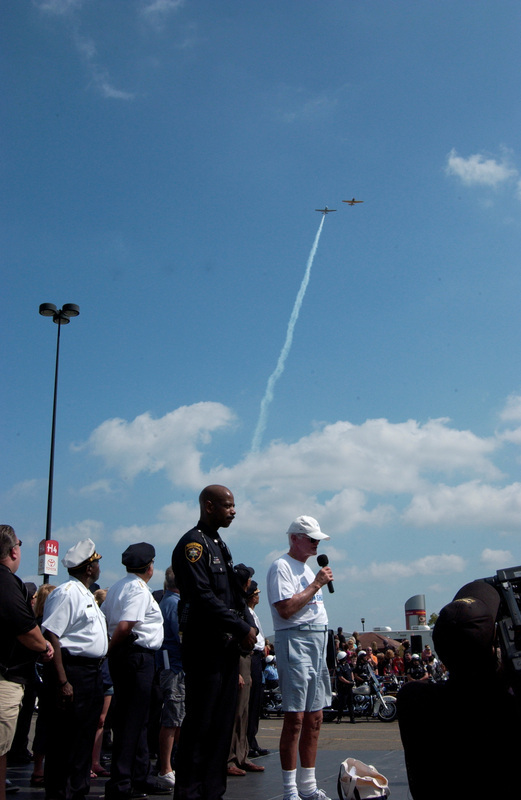 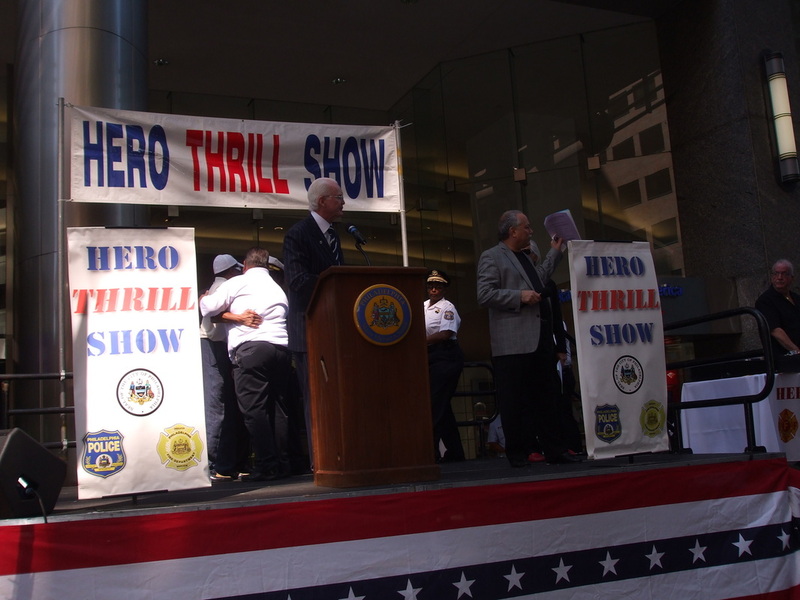 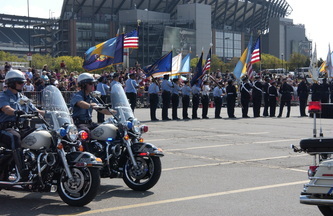 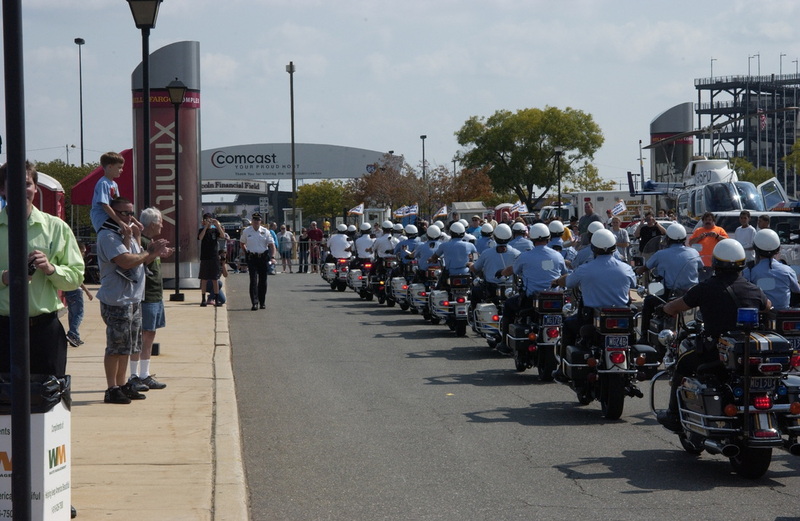 The 58th Annual Hero Thrill Show will take place at the Wells Fargo Center on September 22, 2012 with a rain date of September 29, 2012. 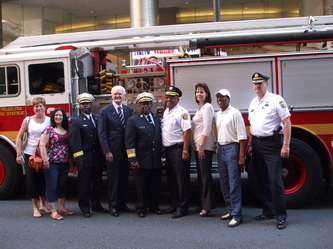 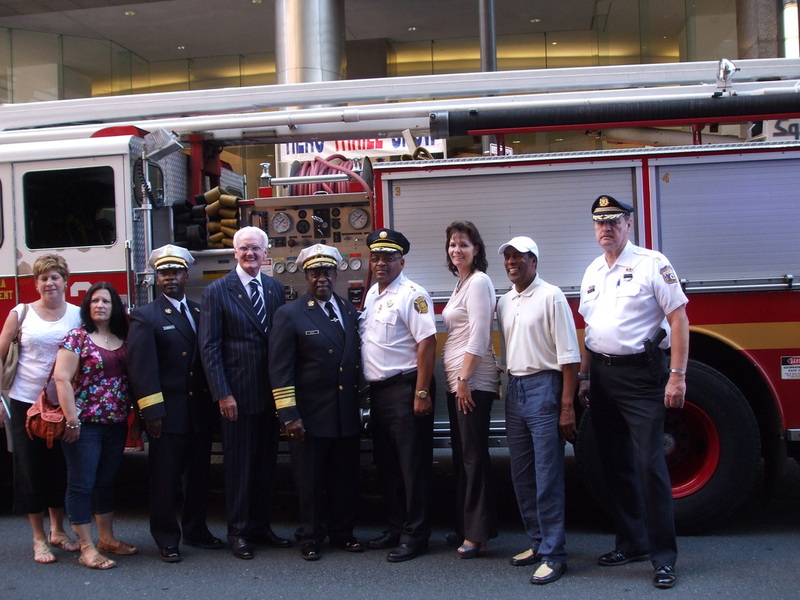 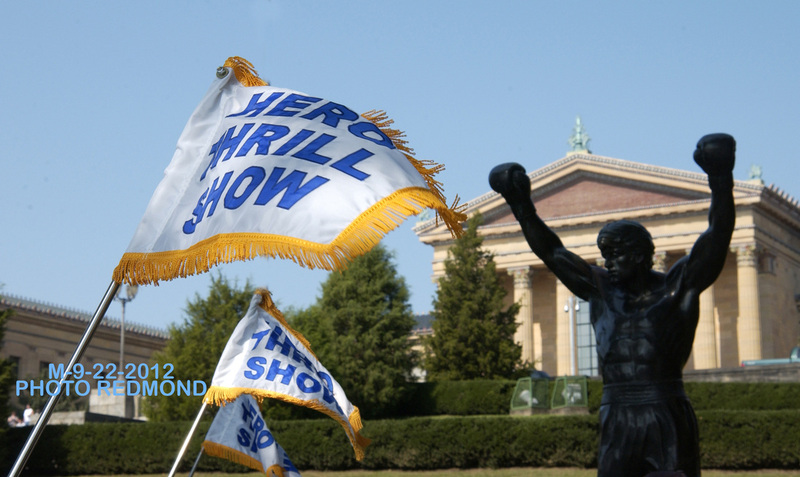 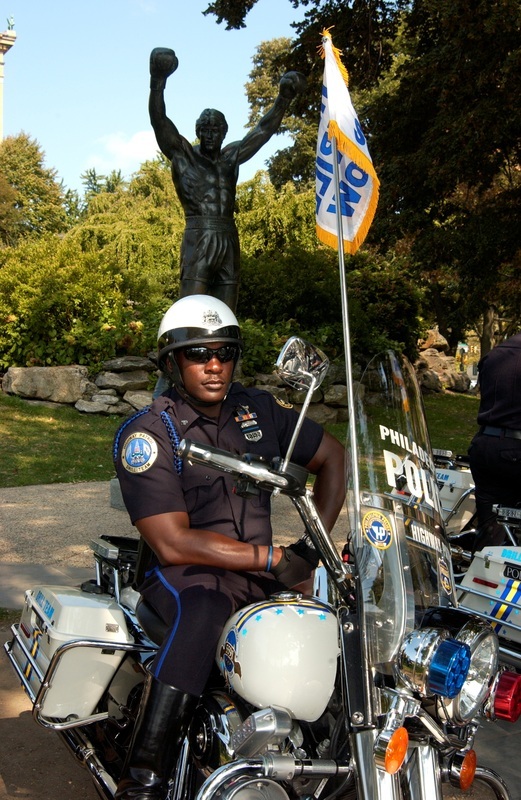 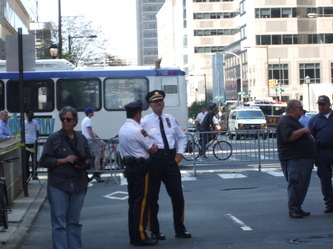 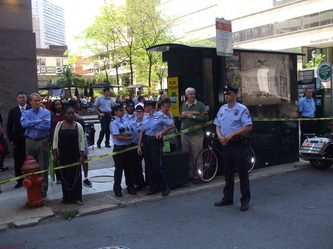 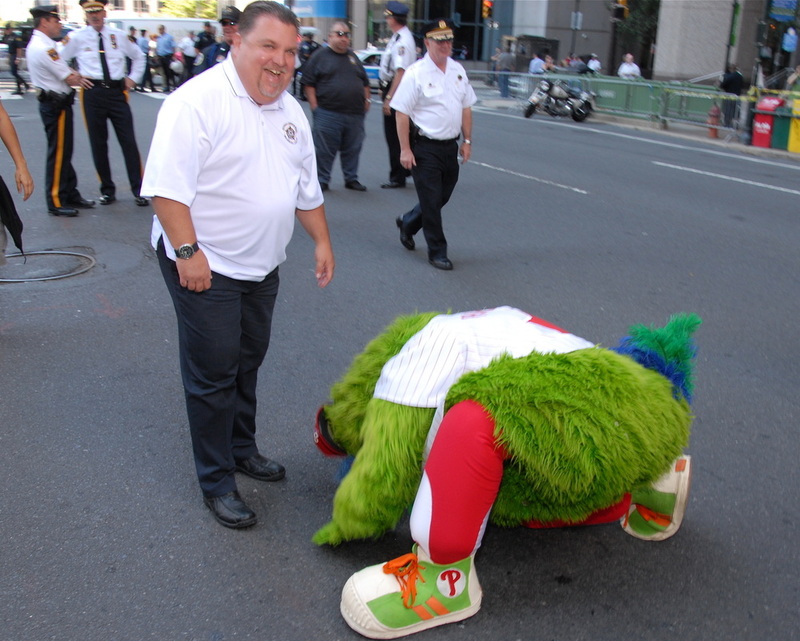 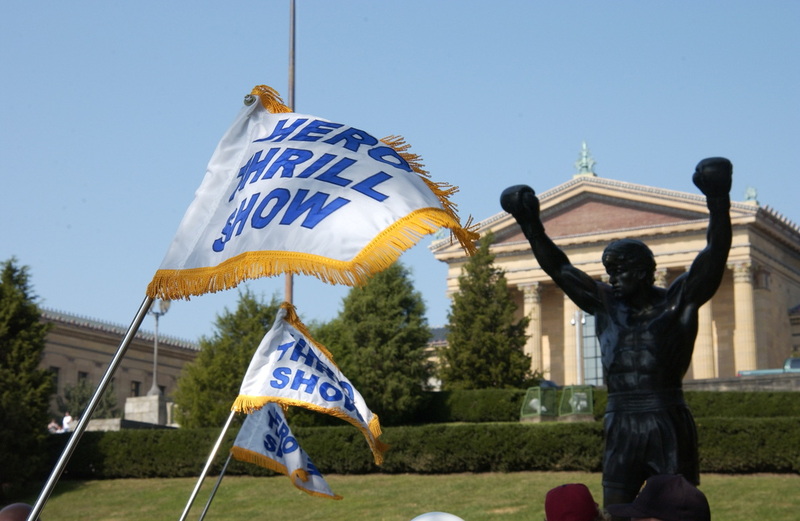 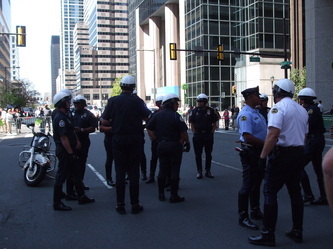 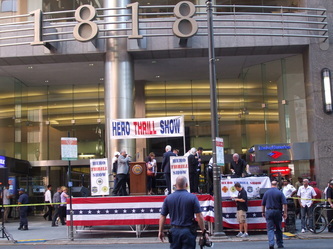 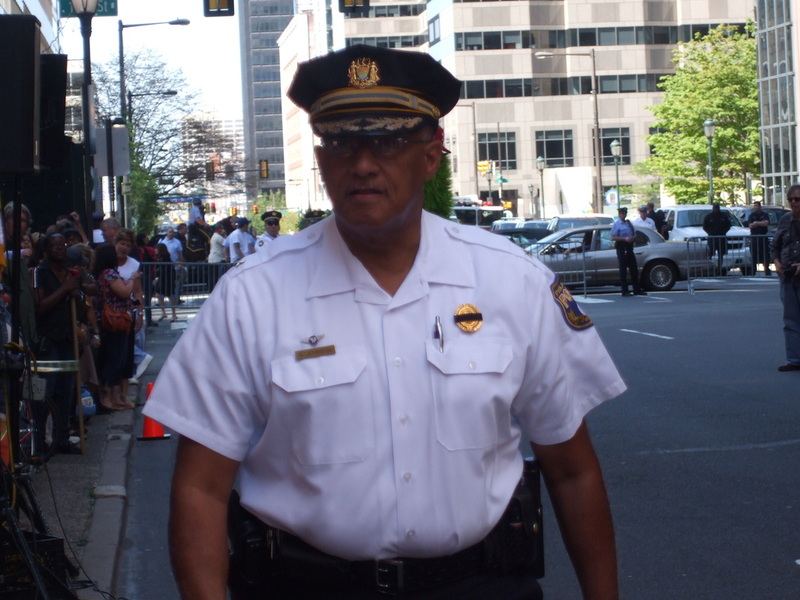 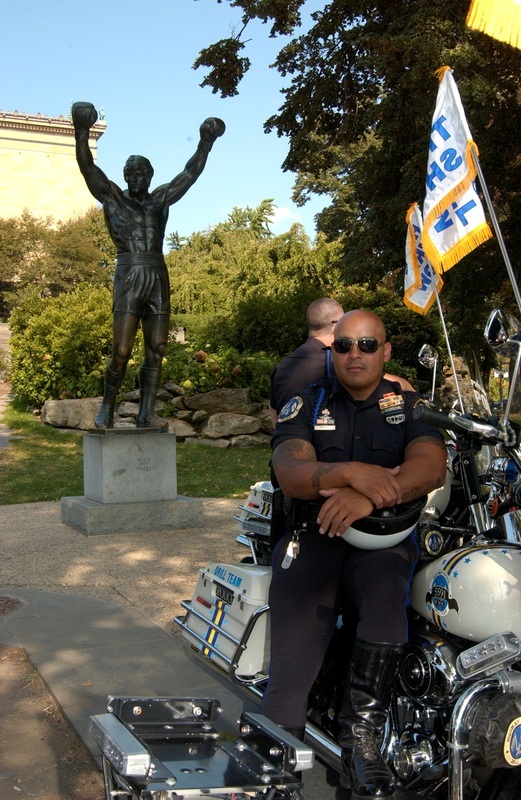 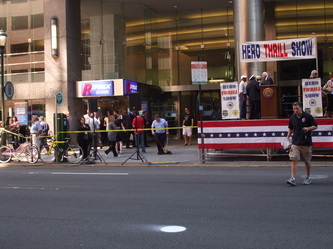 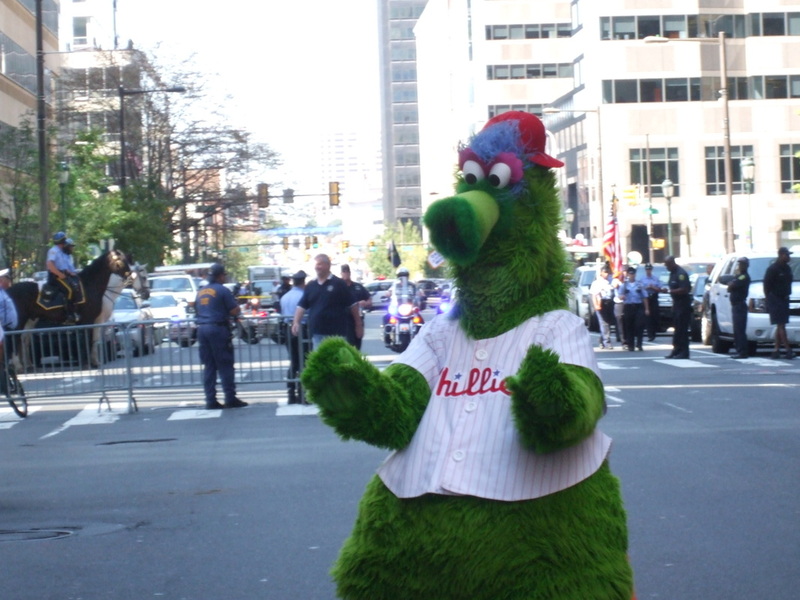 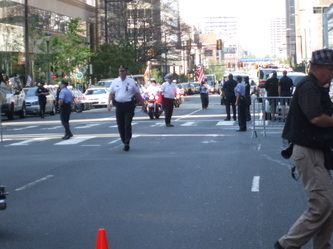 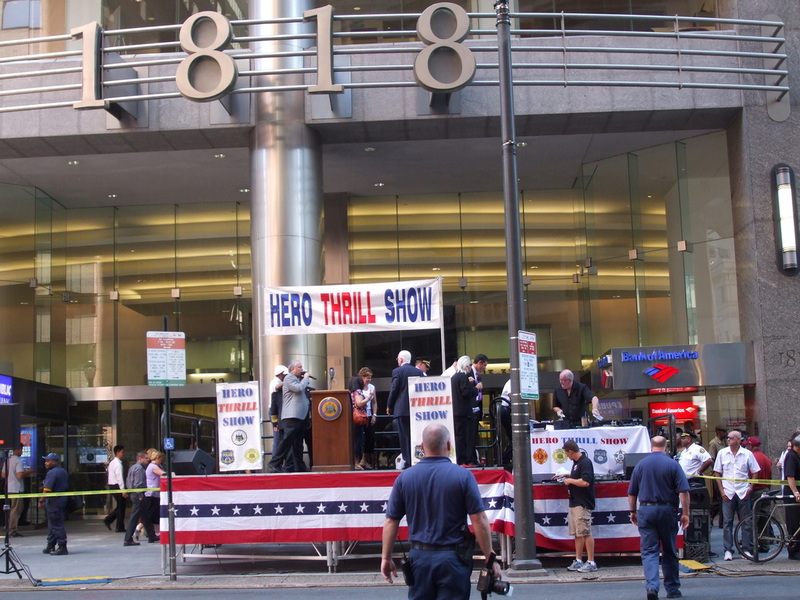 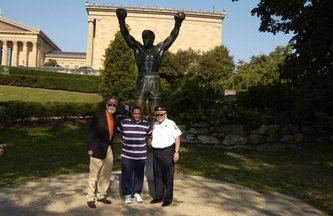 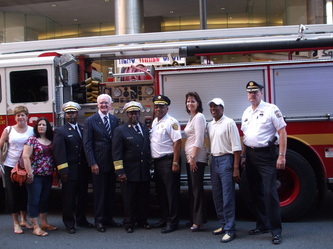 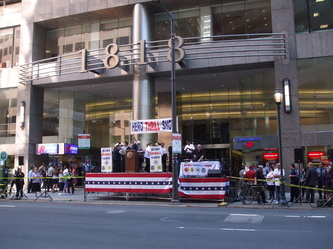 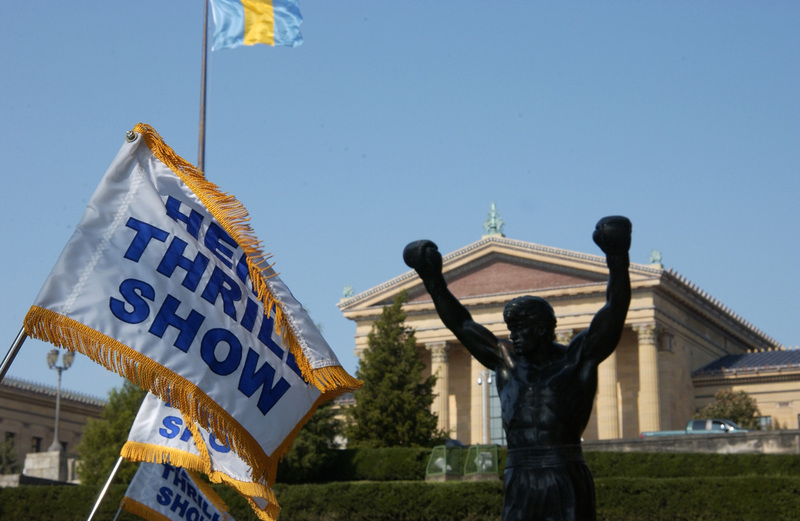 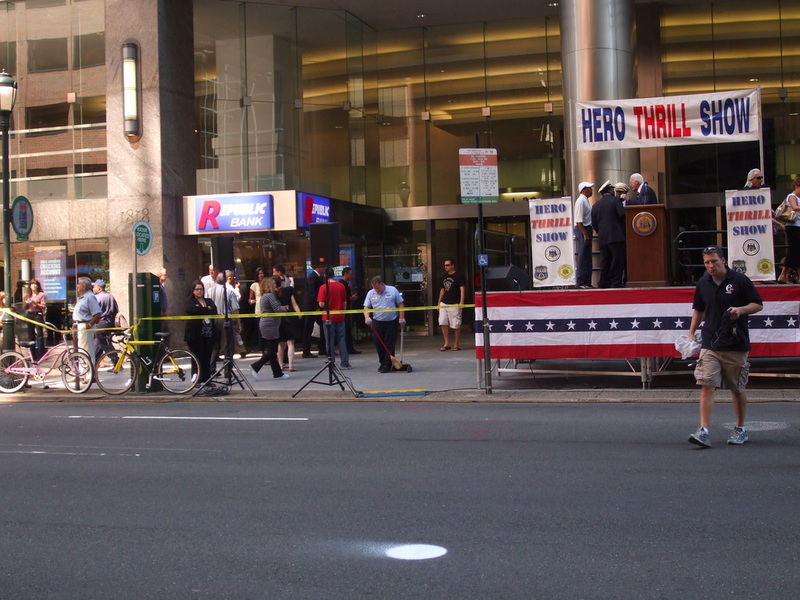 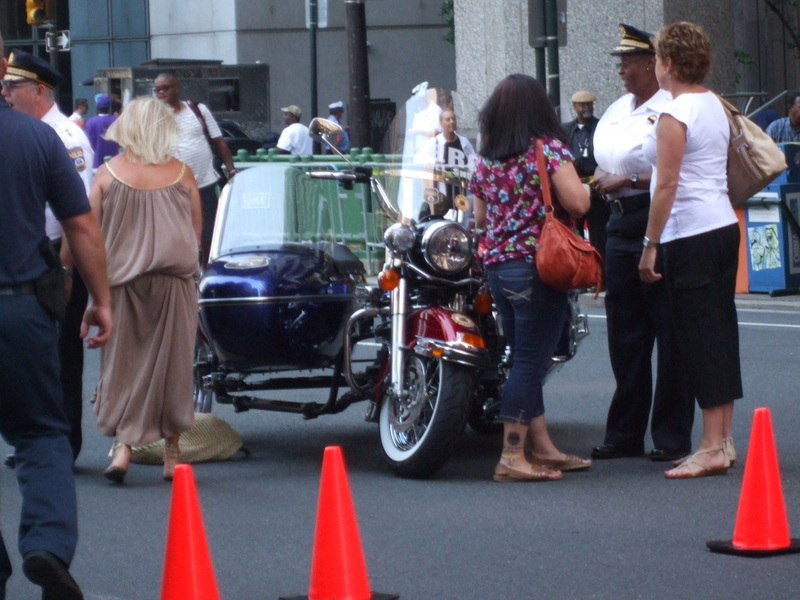 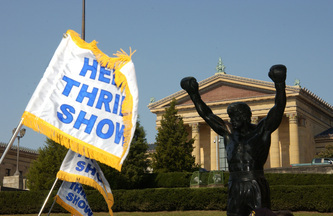 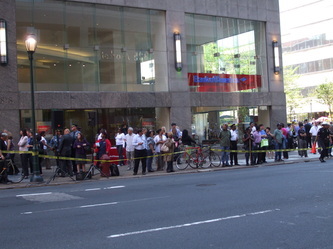 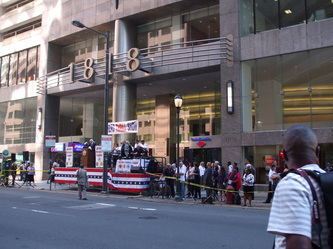 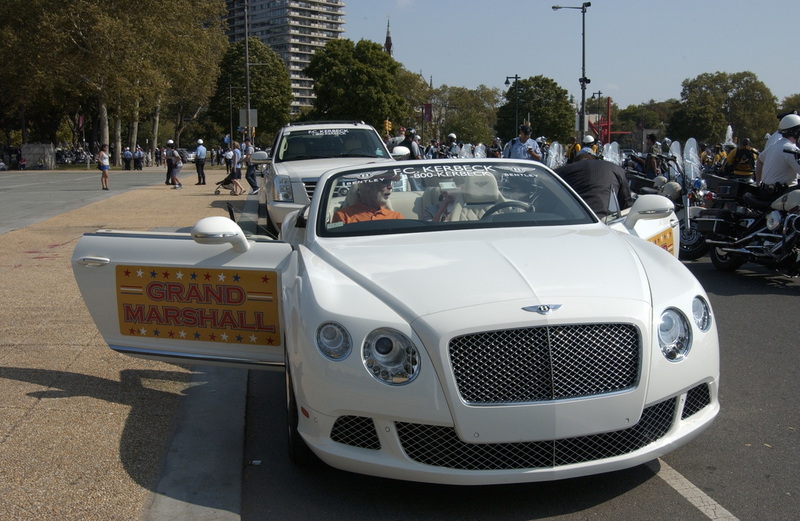 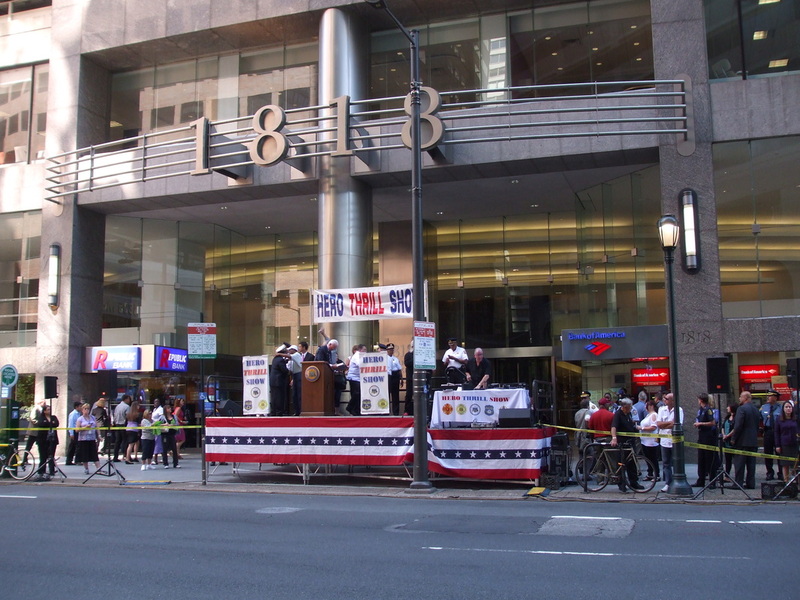 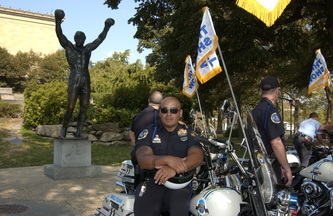 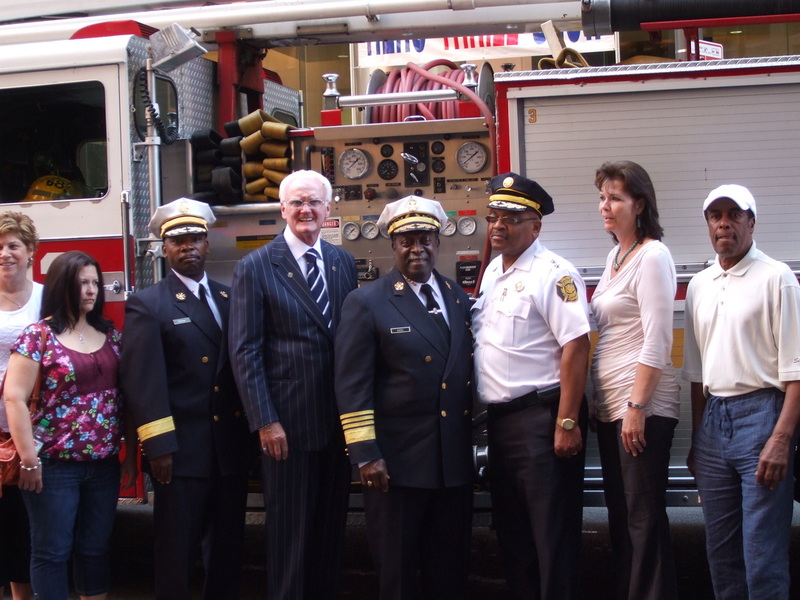 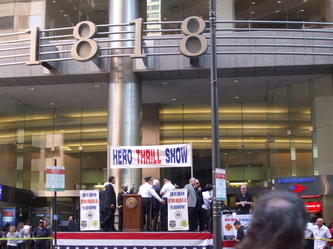 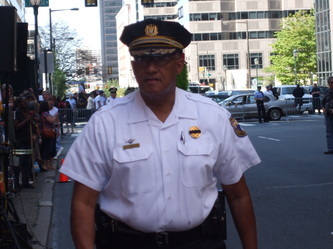 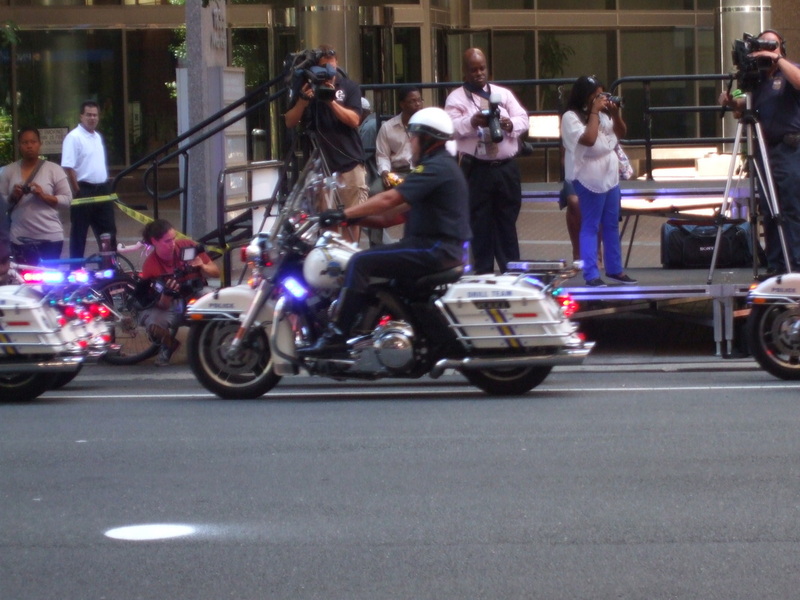 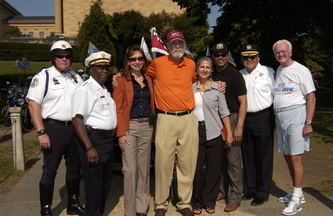 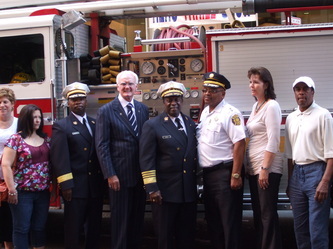 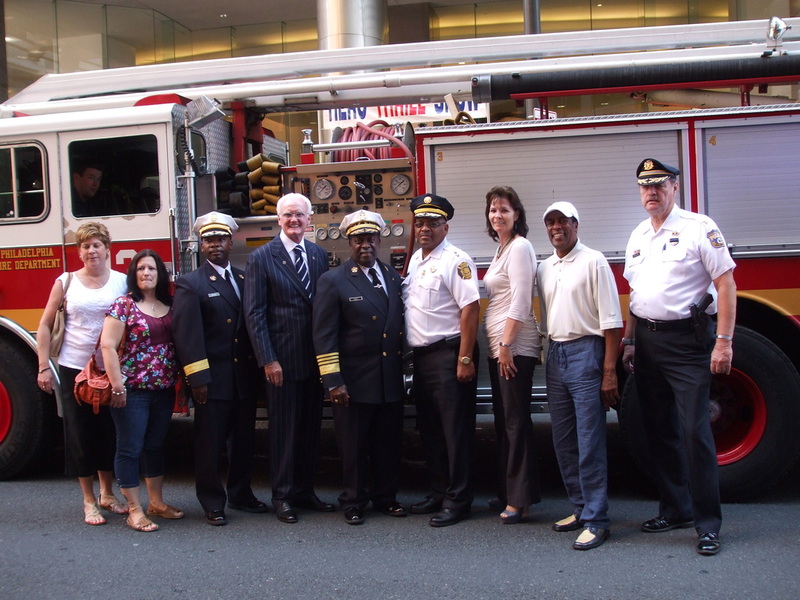 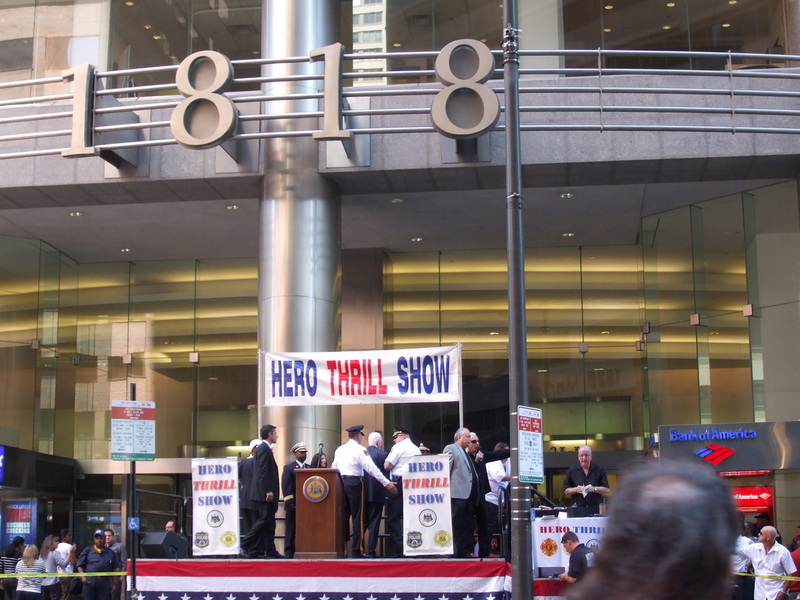 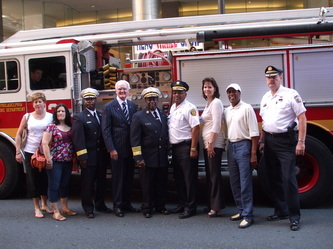 The Hero Thrill Show Kick-Off Press Conference is scheduled for September 5, 2012 at Noon in front of 1818 Market Street, Philadelphia PA. 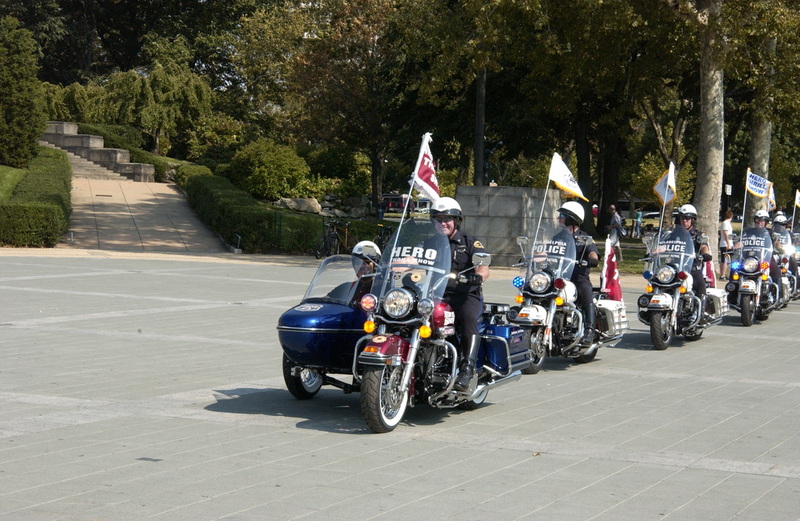 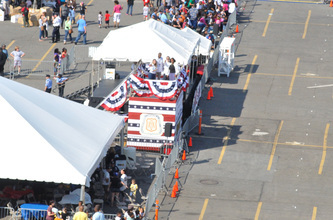 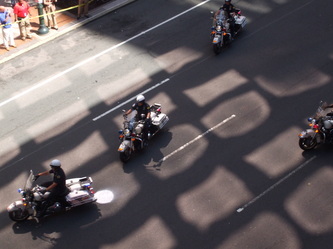 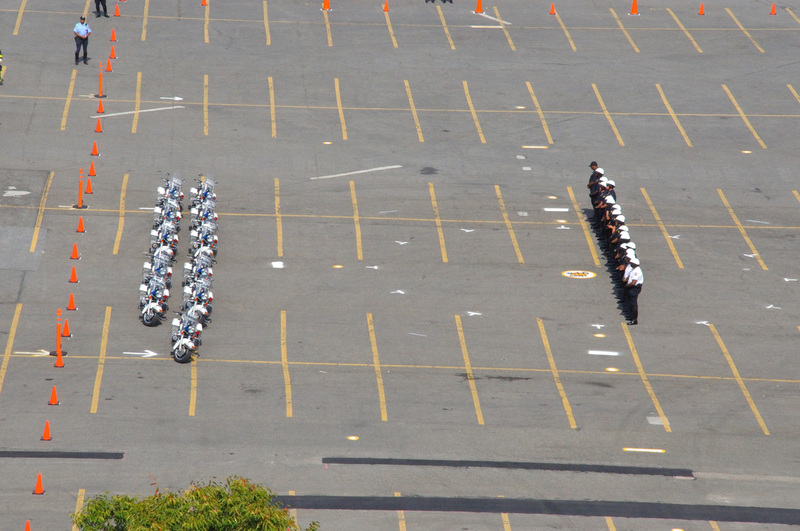 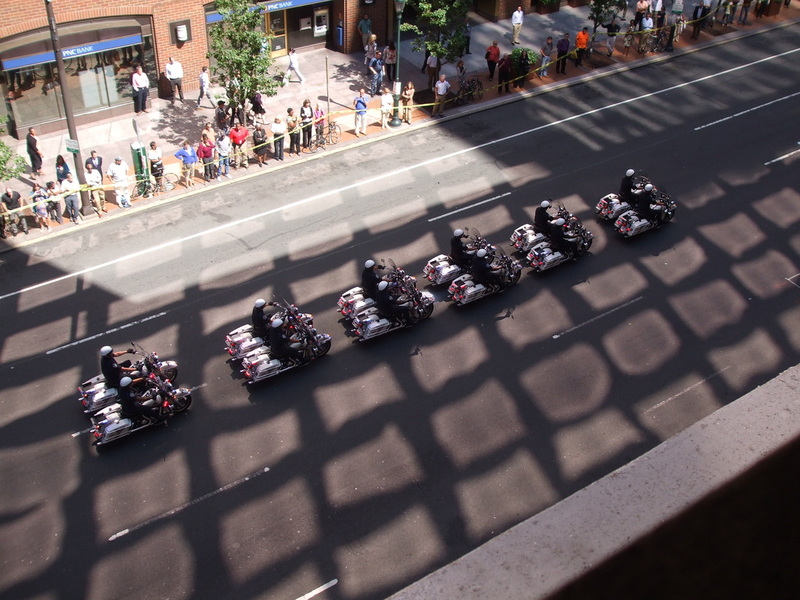 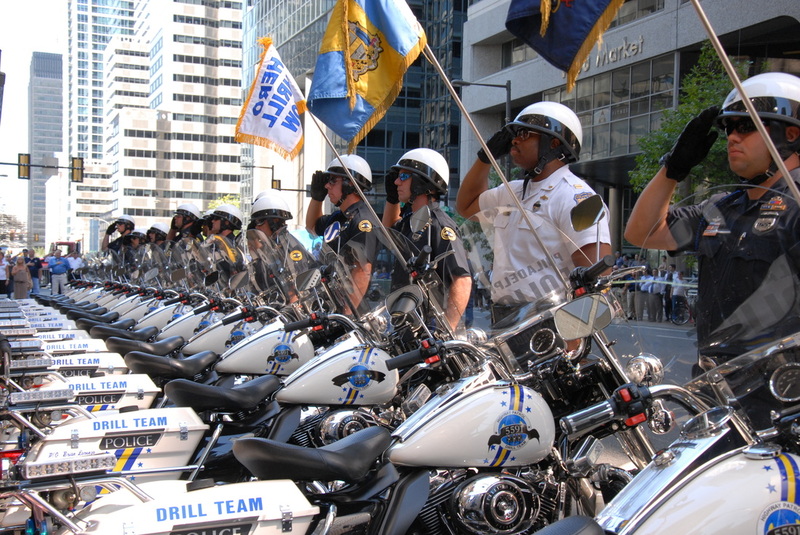 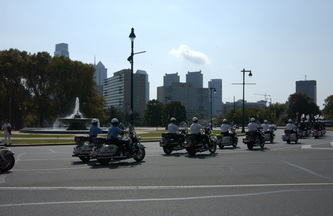 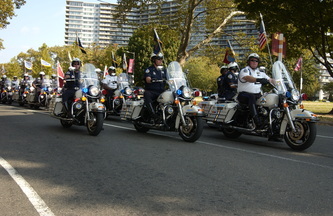 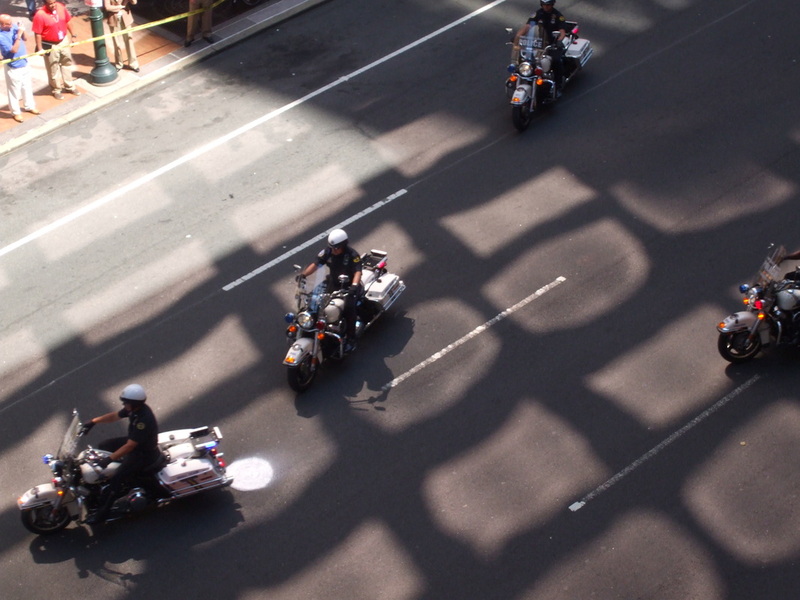 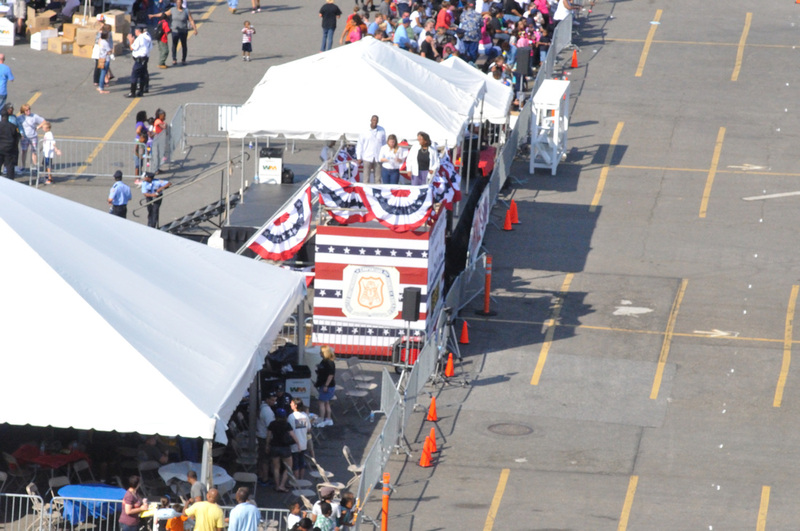 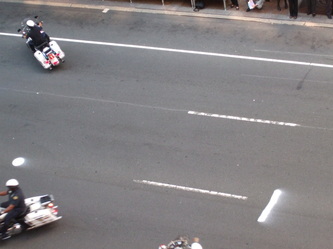 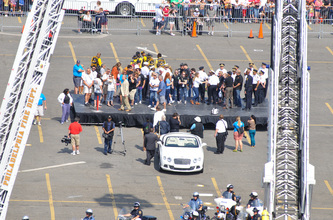 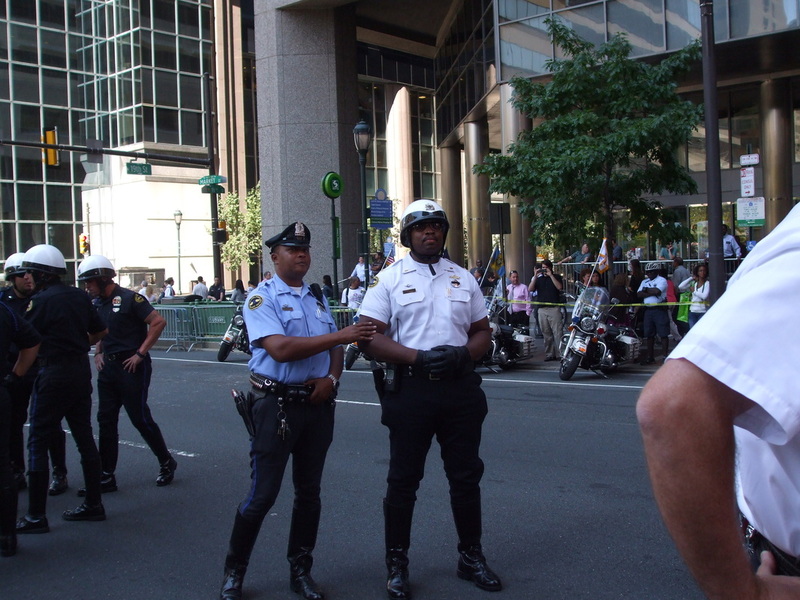 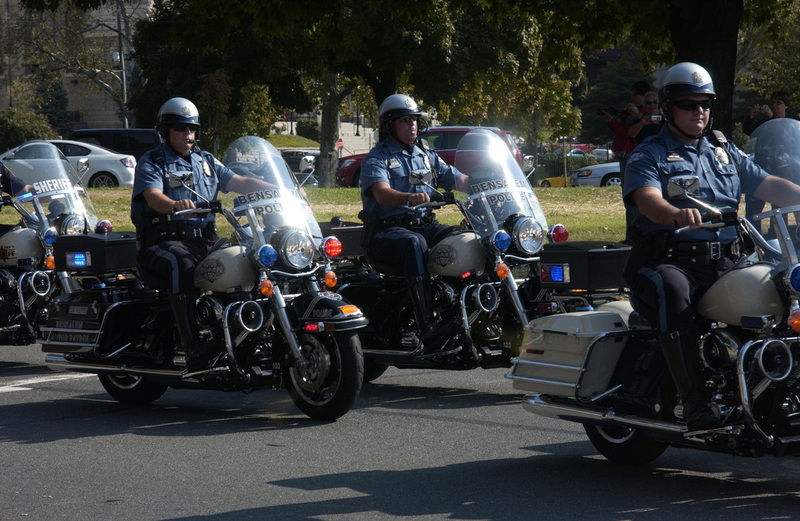 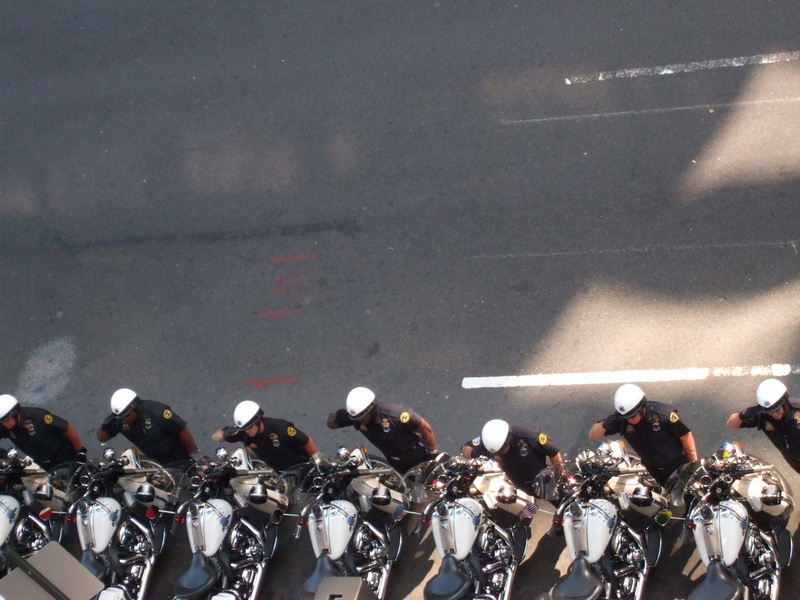 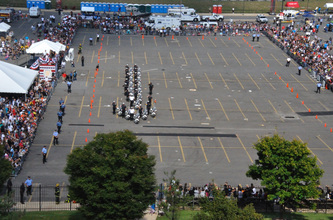 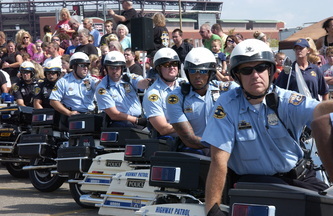 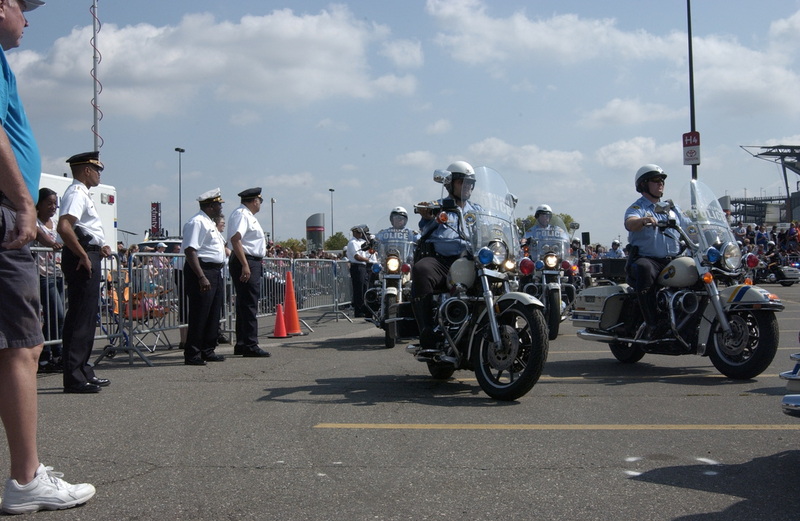 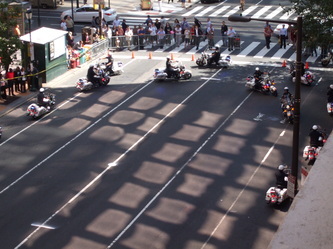 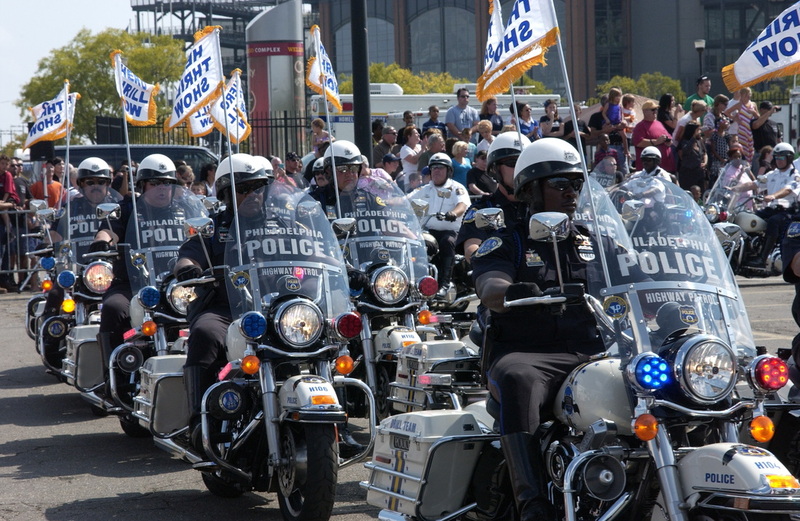 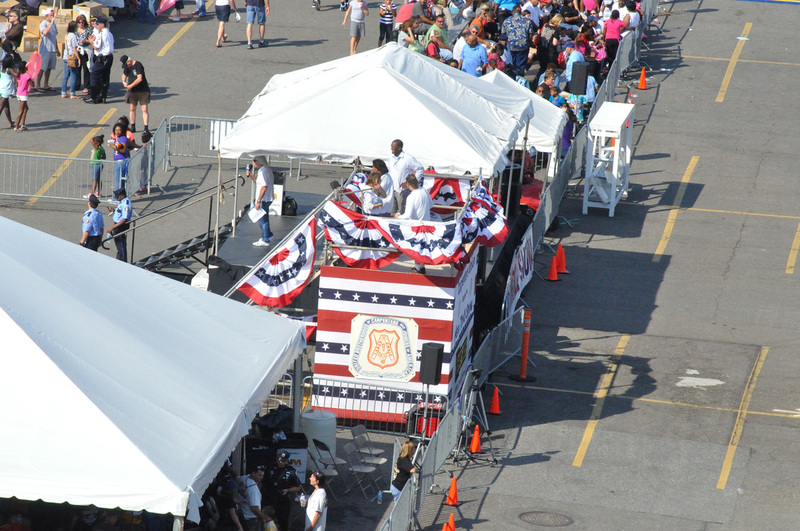 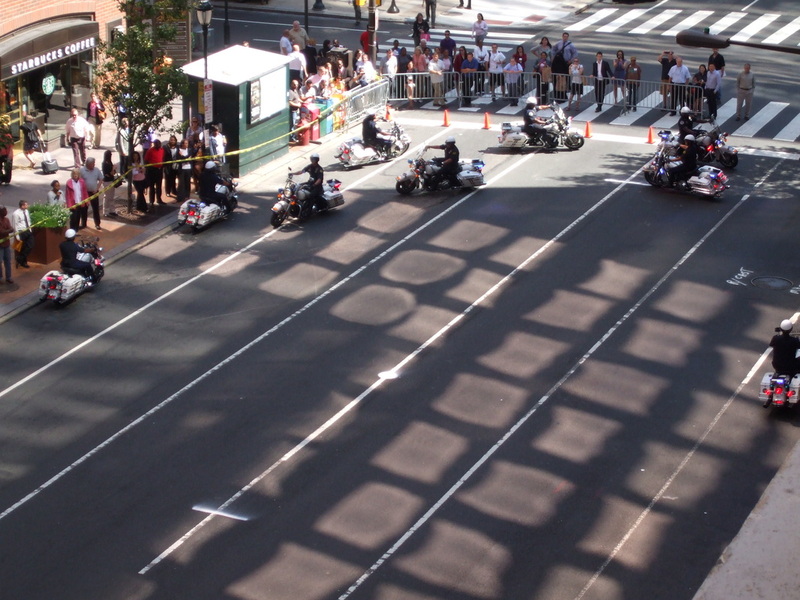 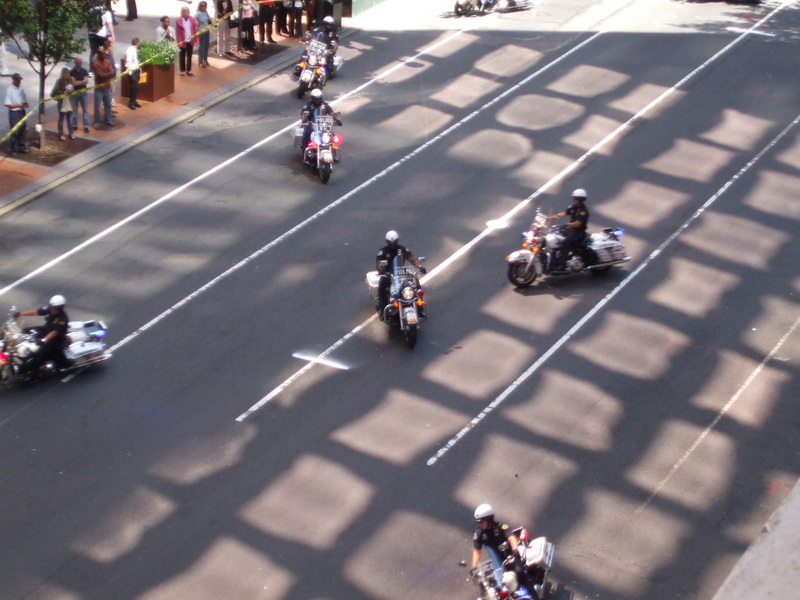 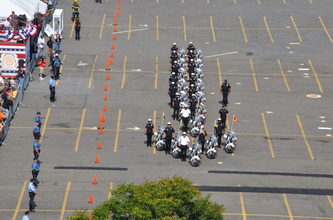 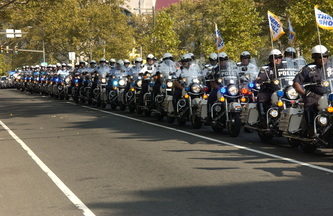 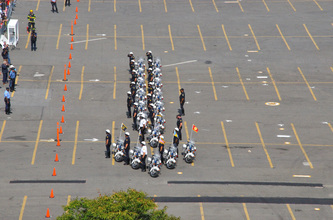 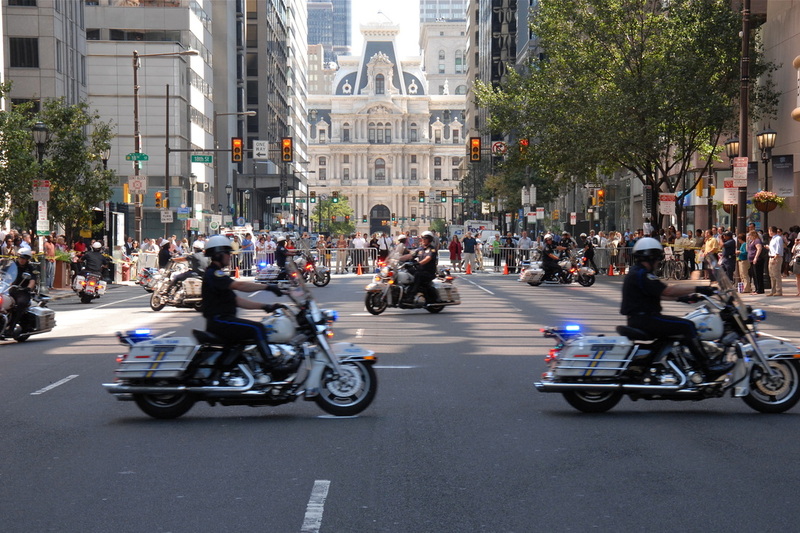 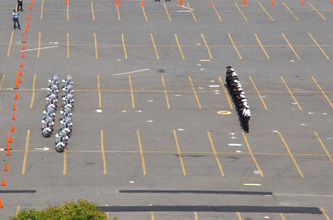 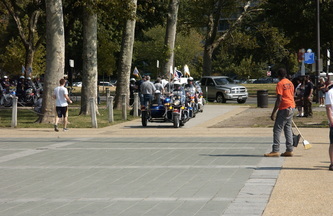 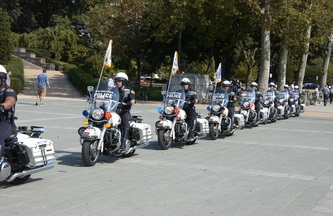 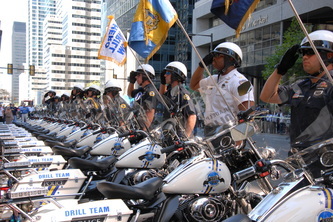 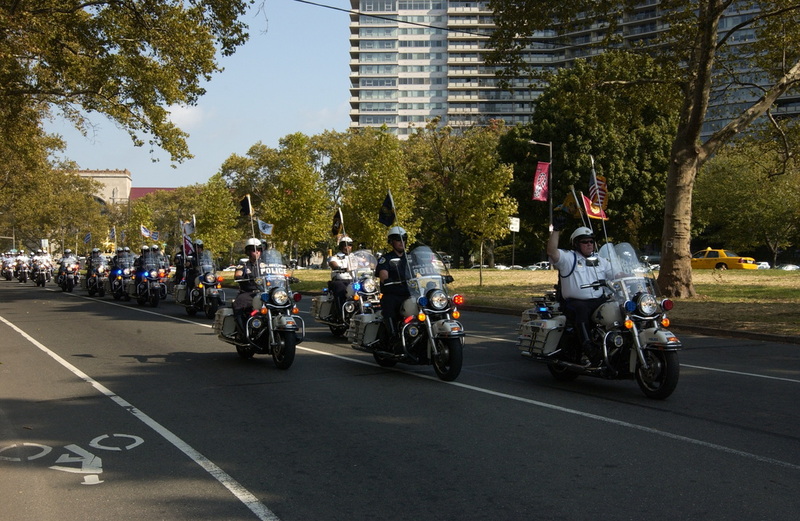 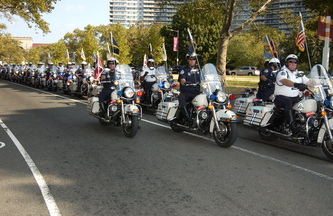 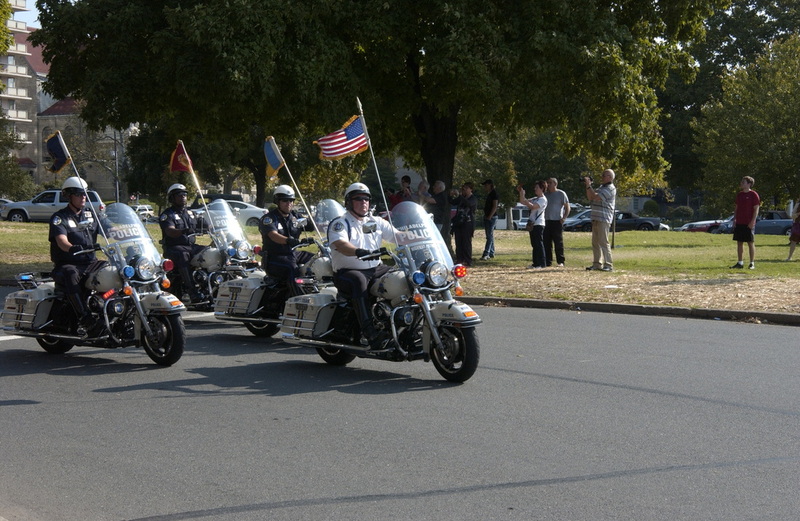 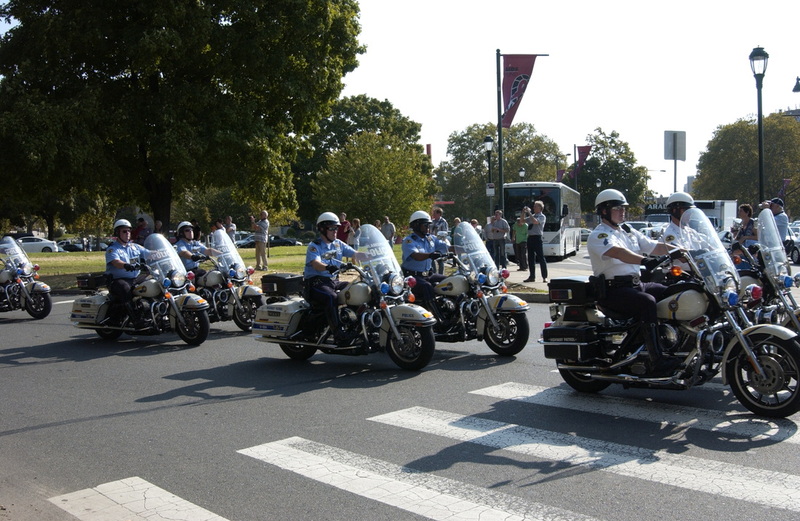 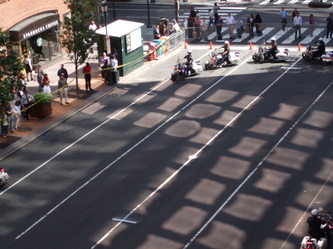 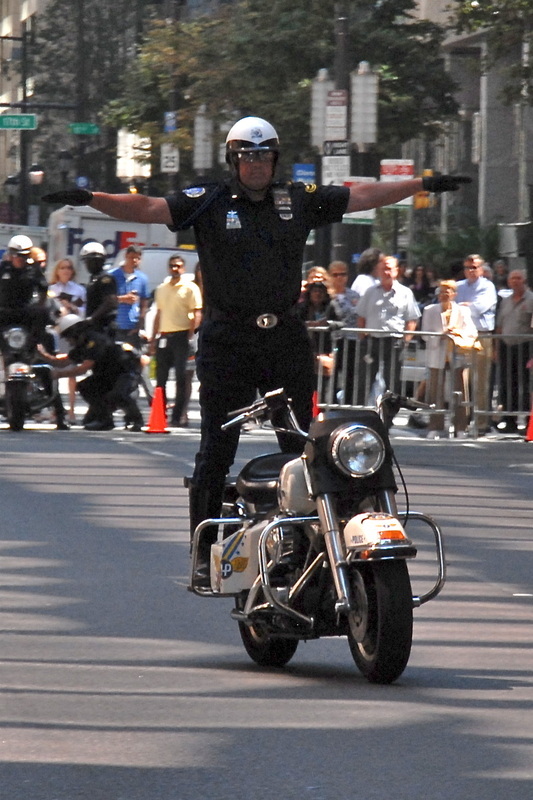 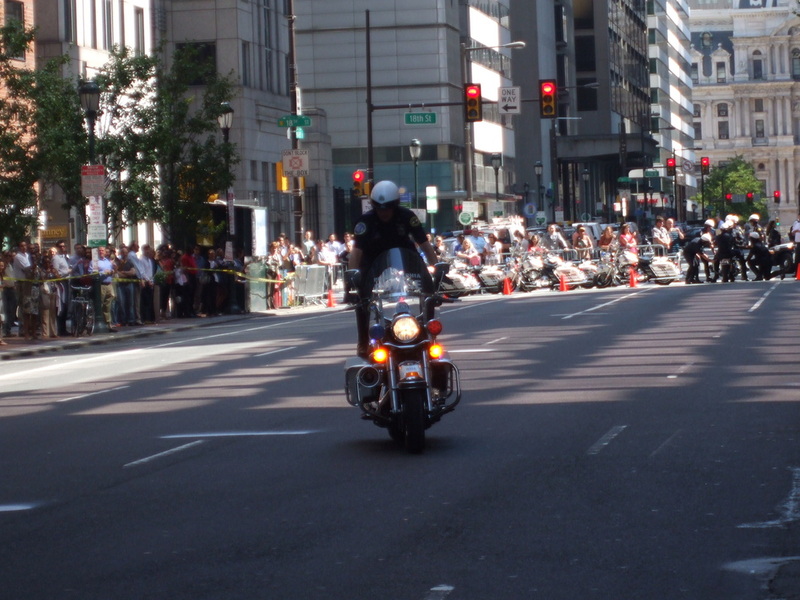 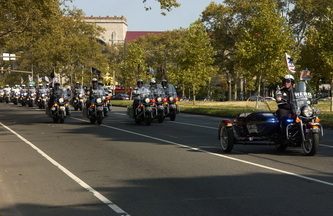 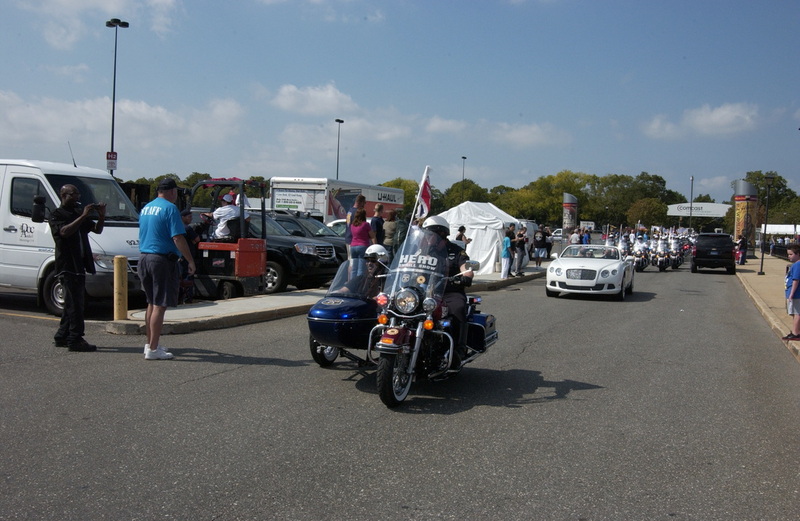 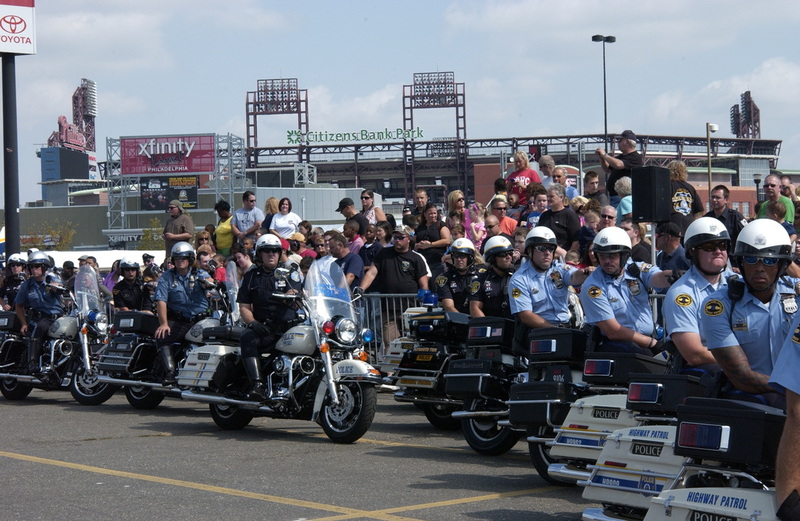 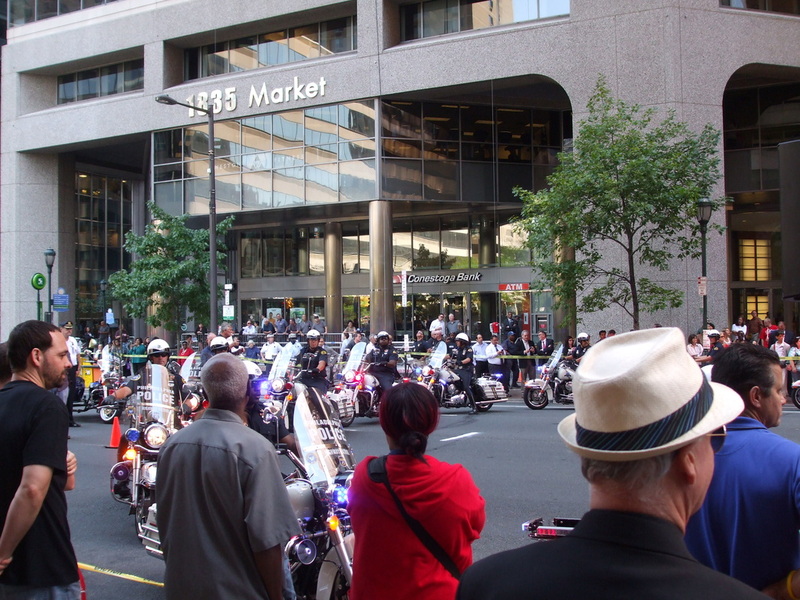 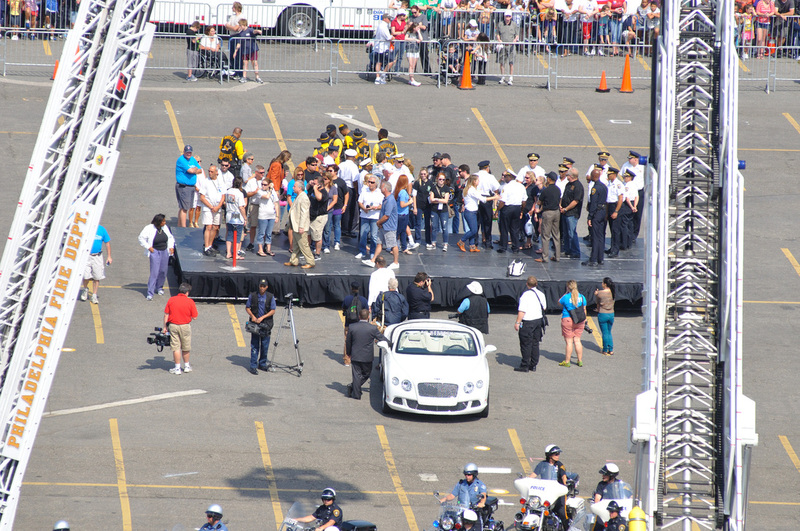 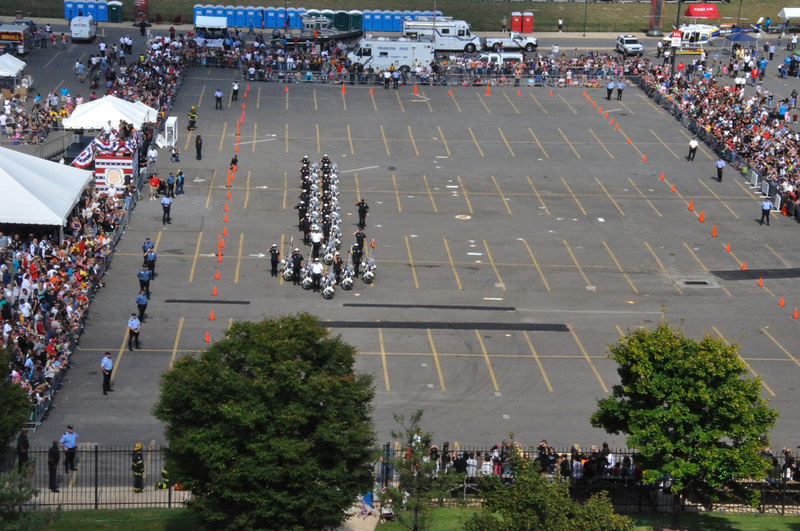 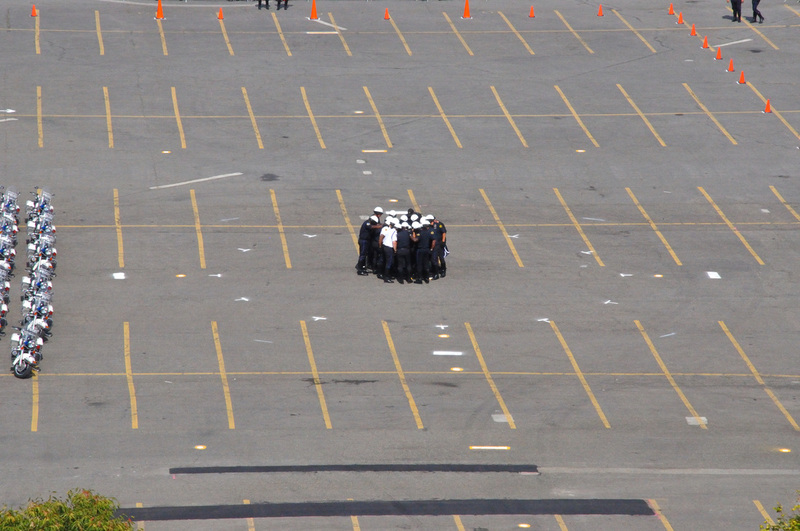 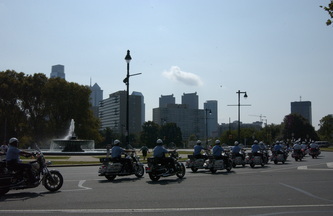 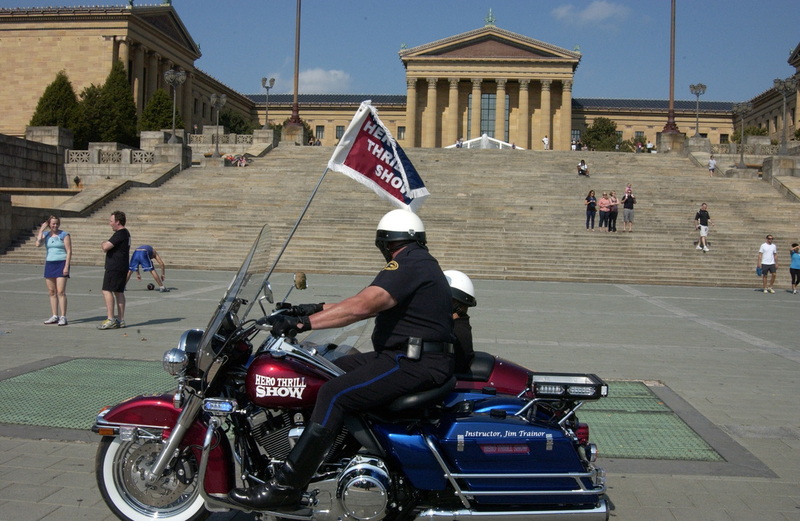 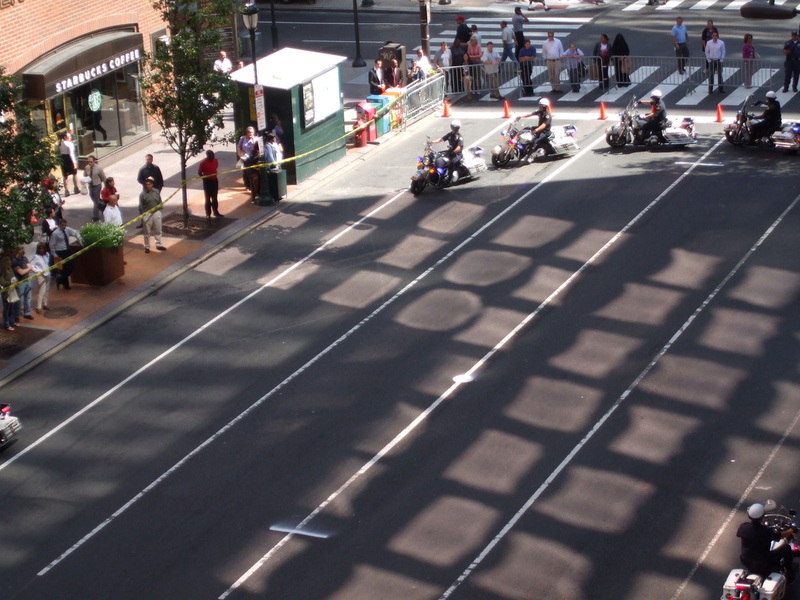 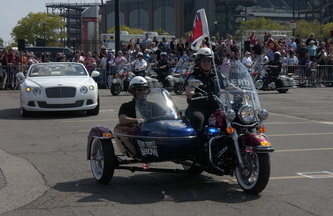 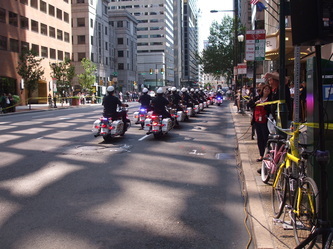 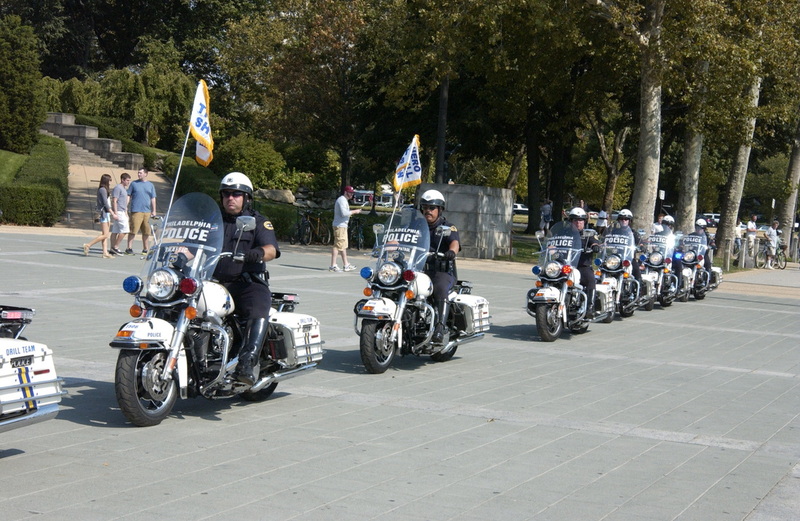 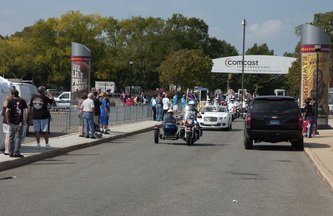 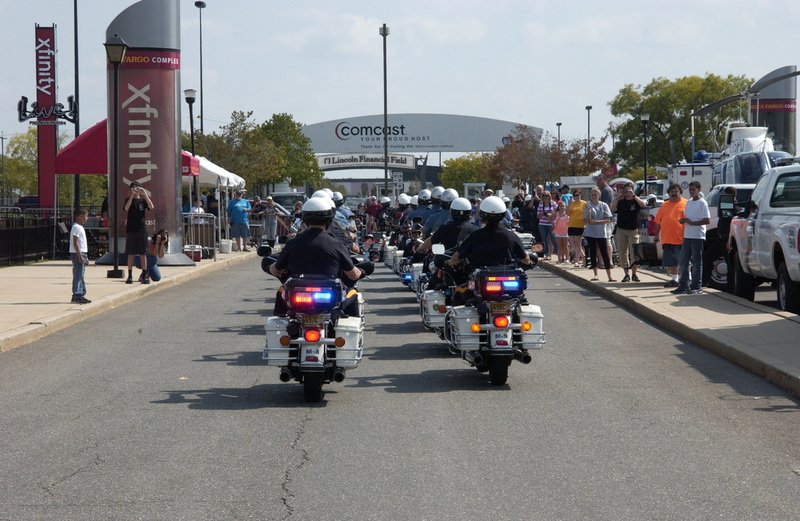 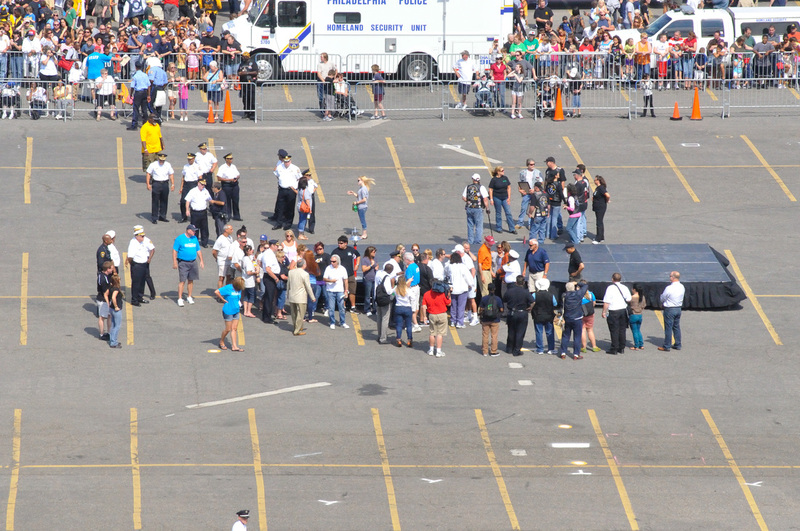 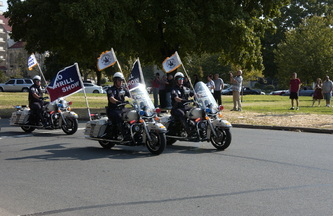 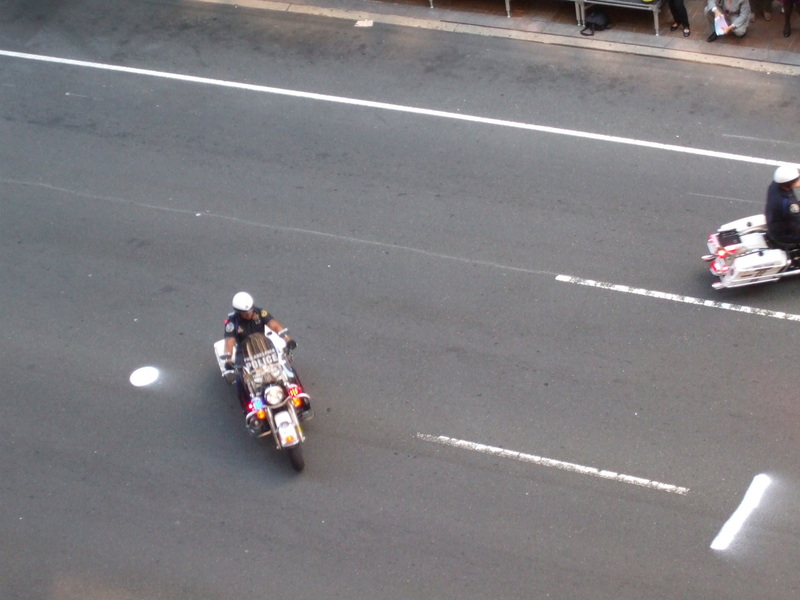 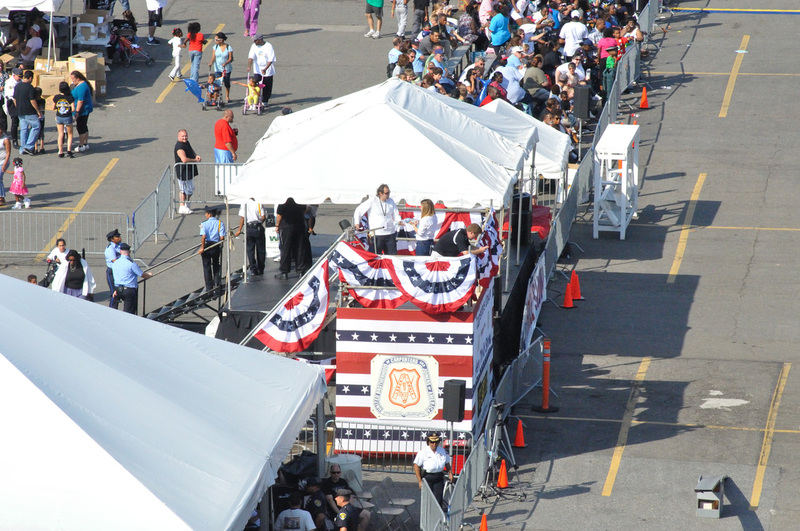 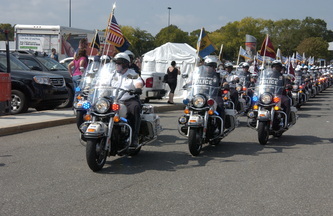 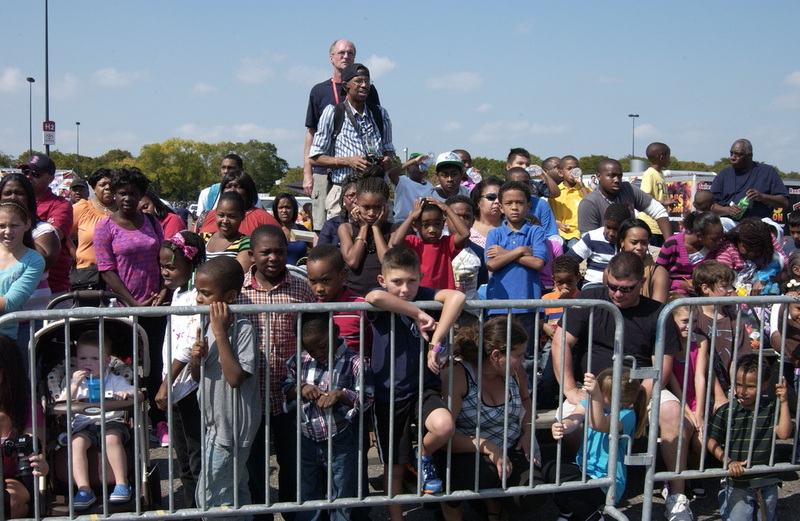 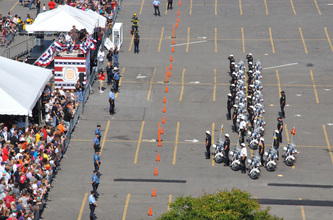 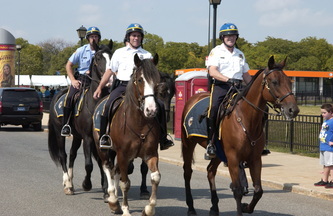 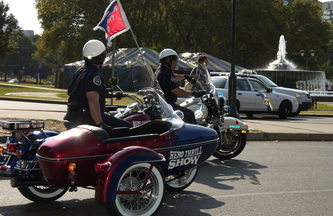 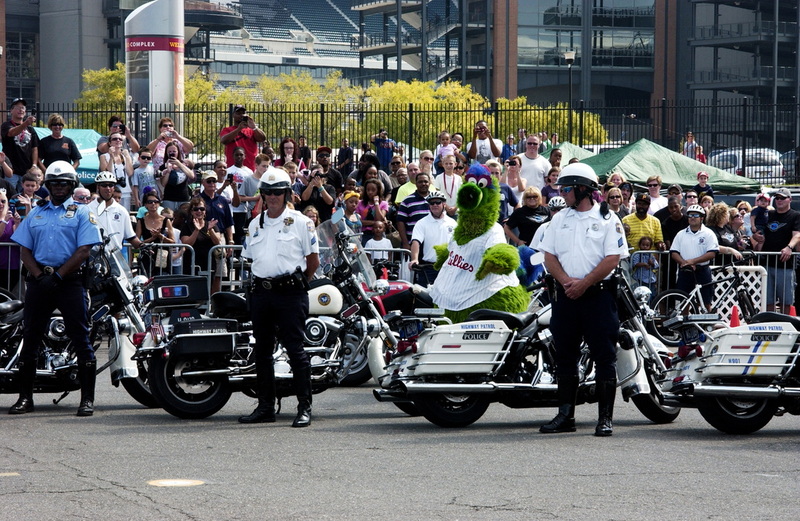 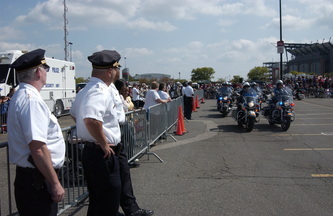 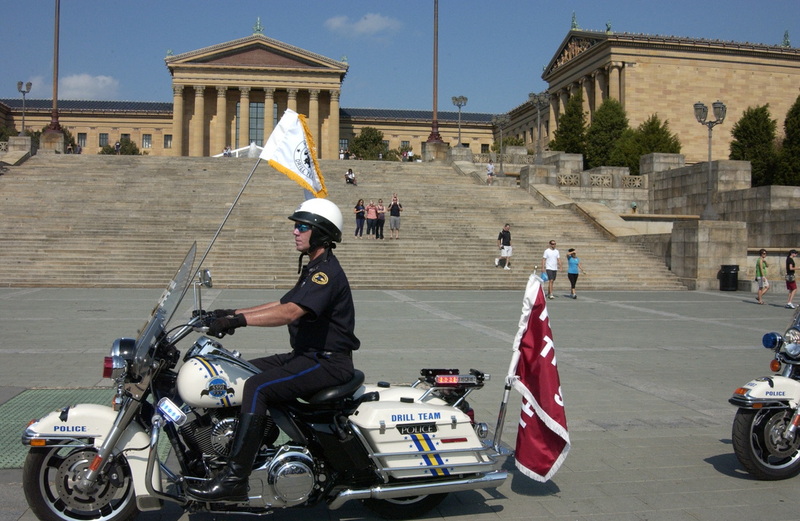 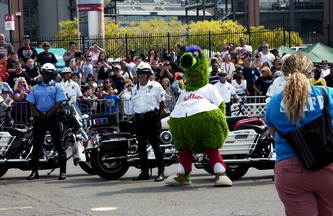 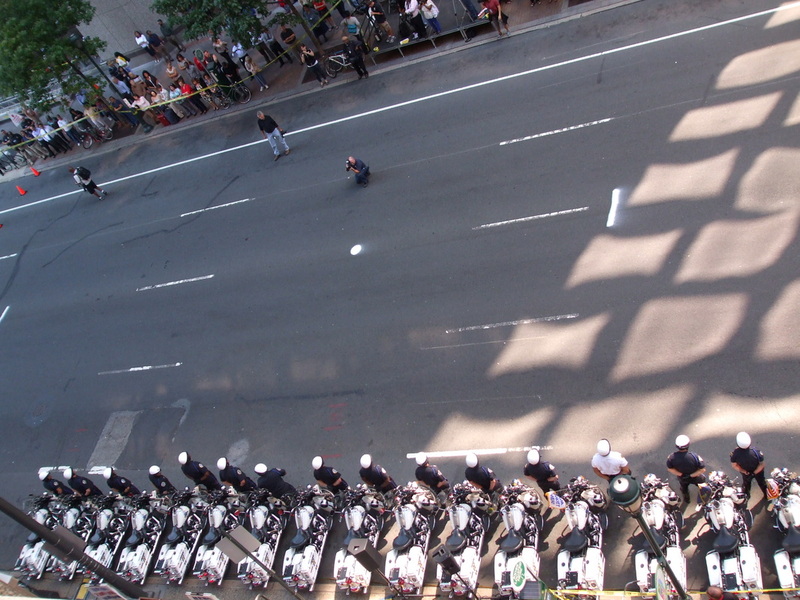 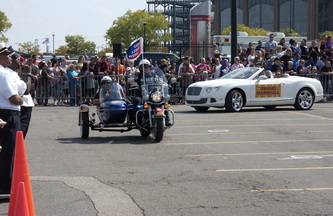 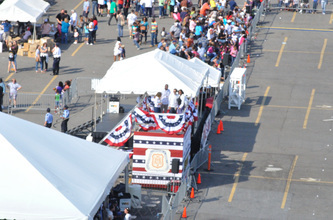 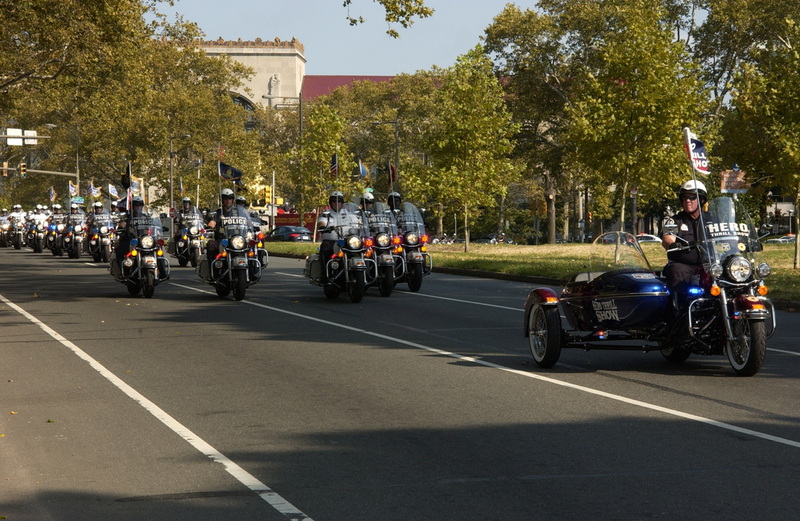 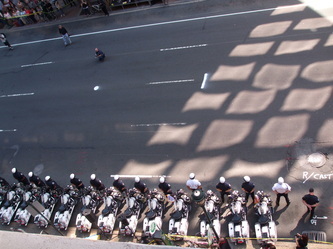 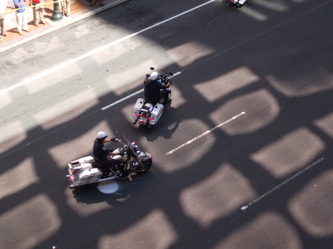 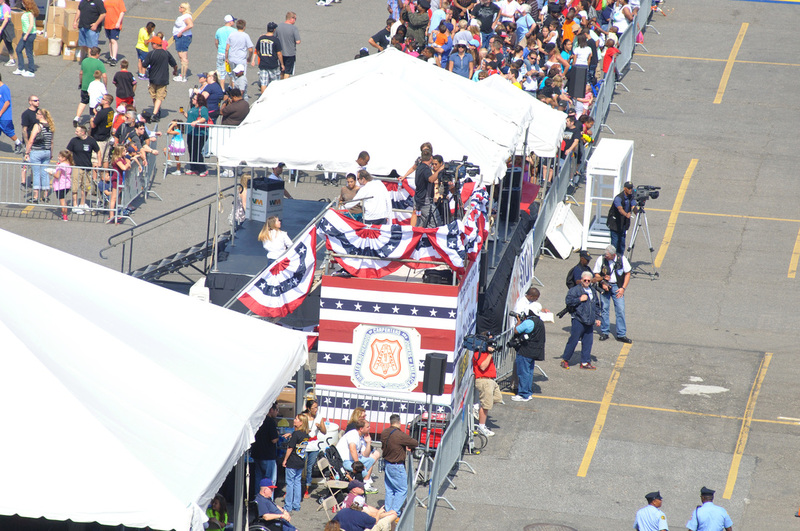 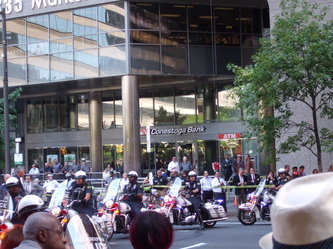 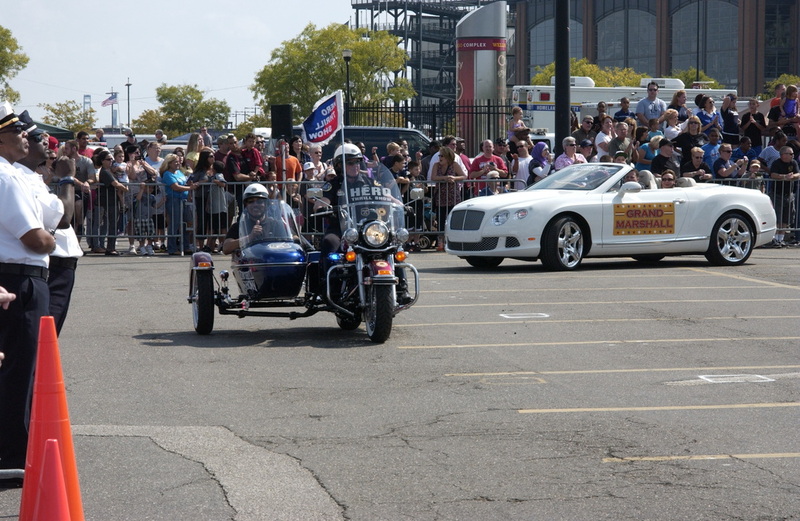 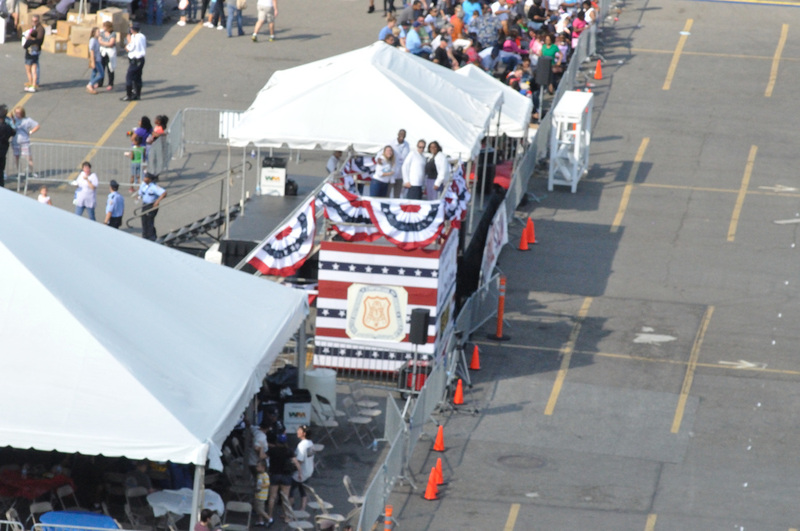 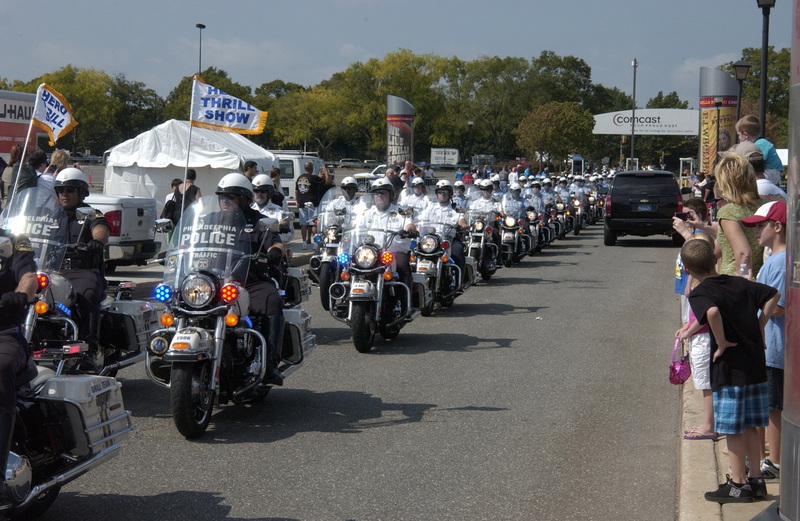 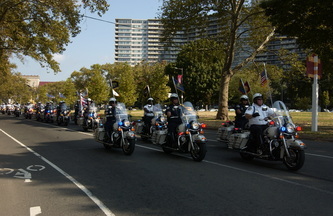 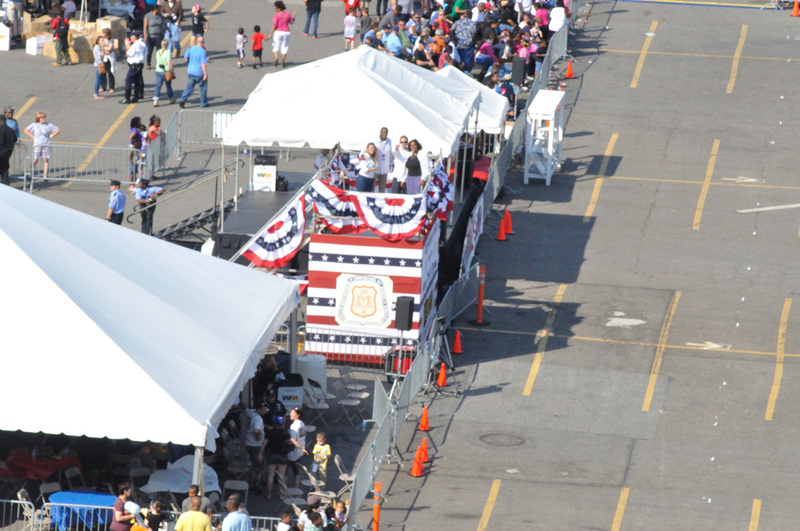 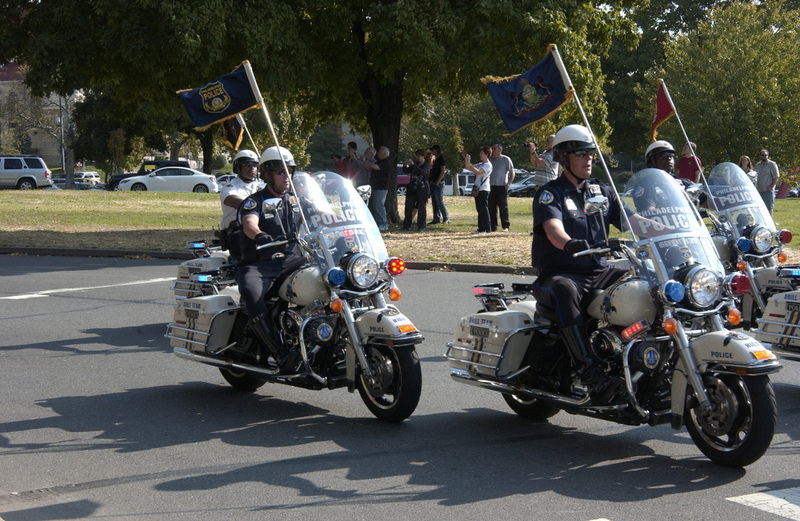 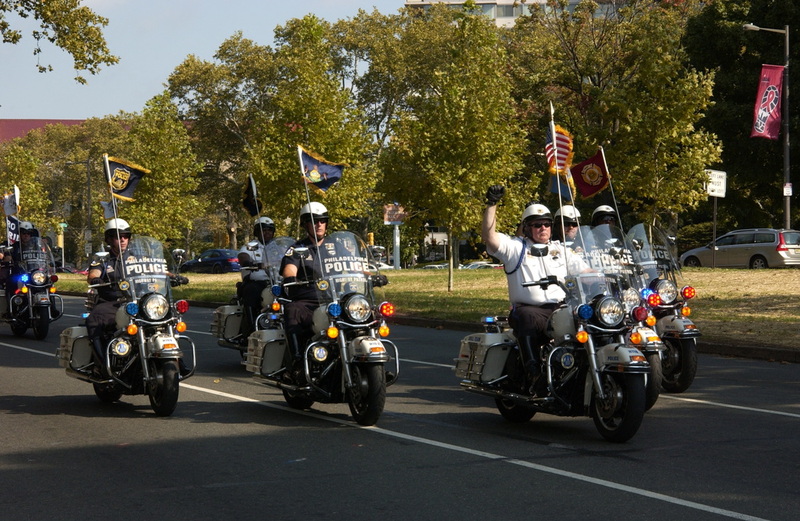 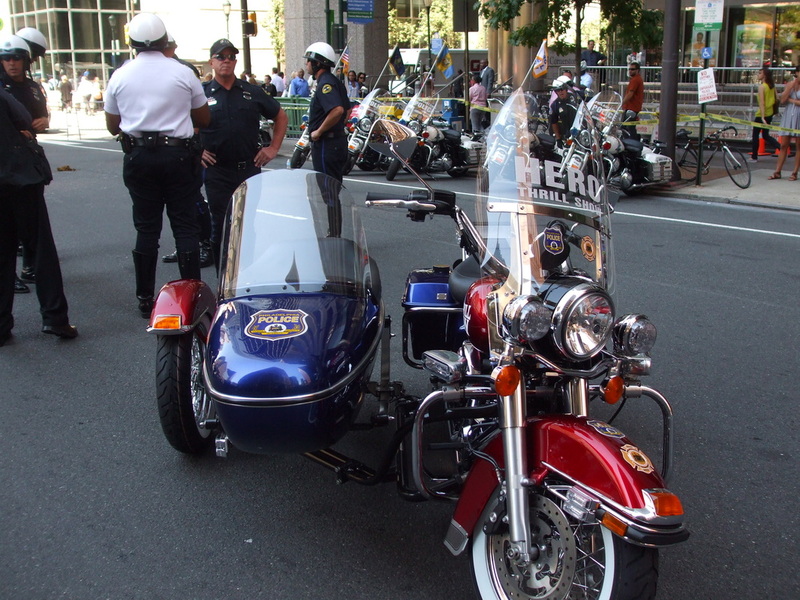 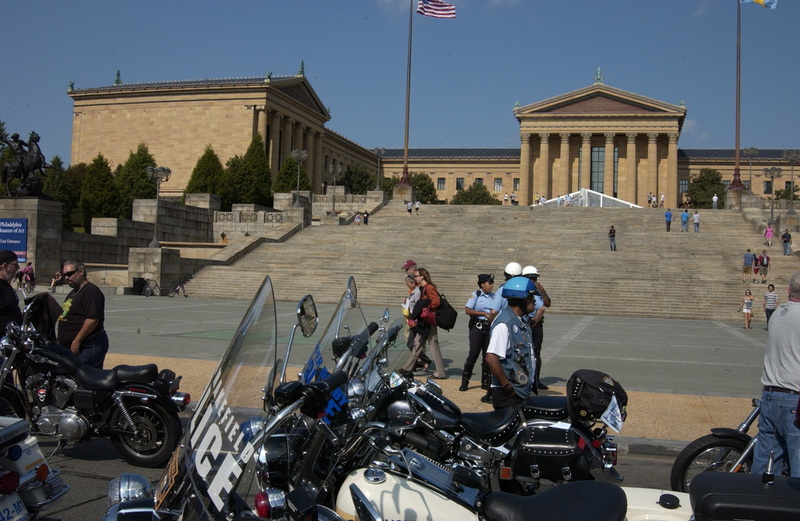 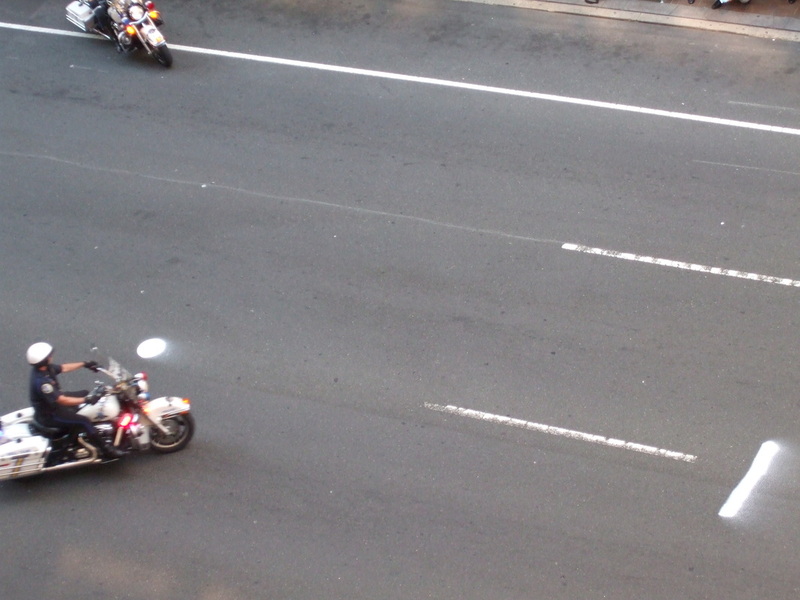 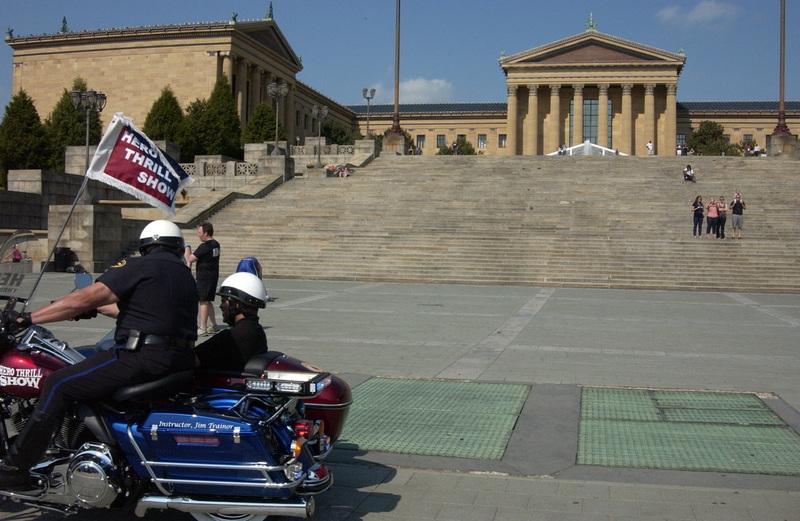 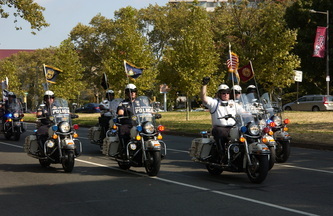 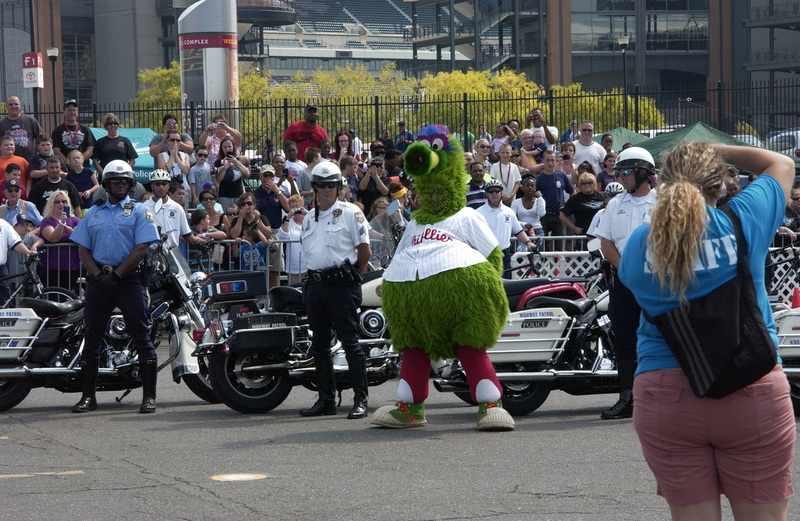 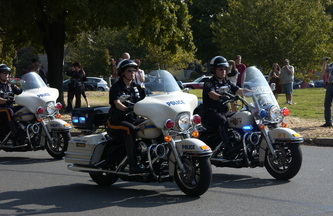 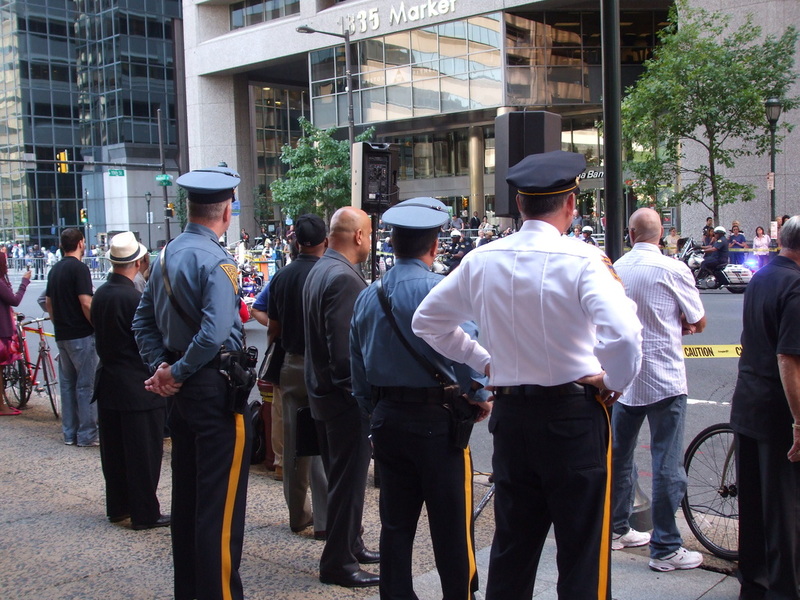 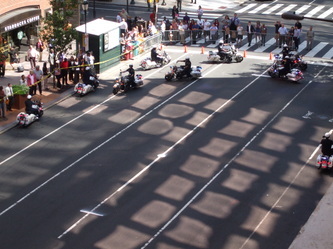 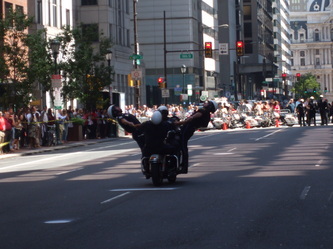 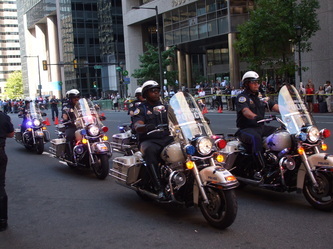 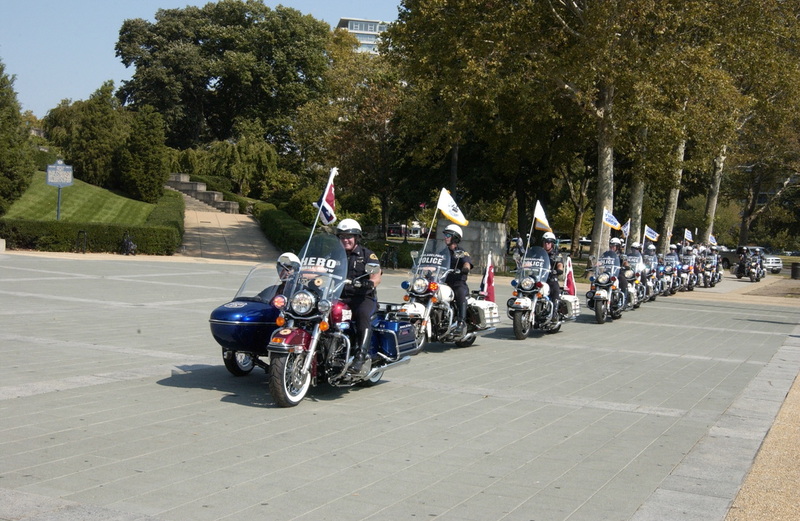 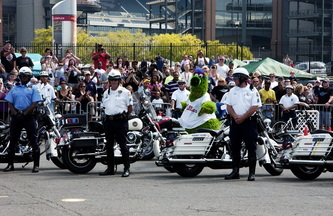 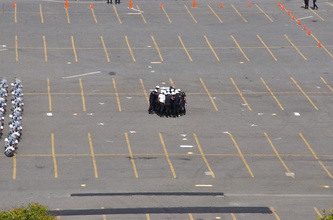 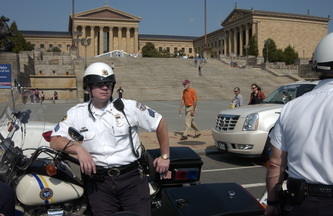 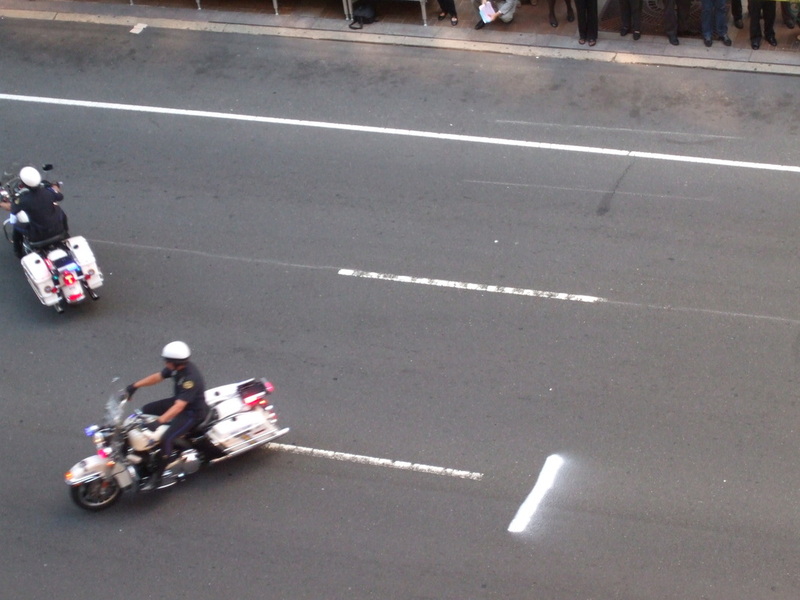 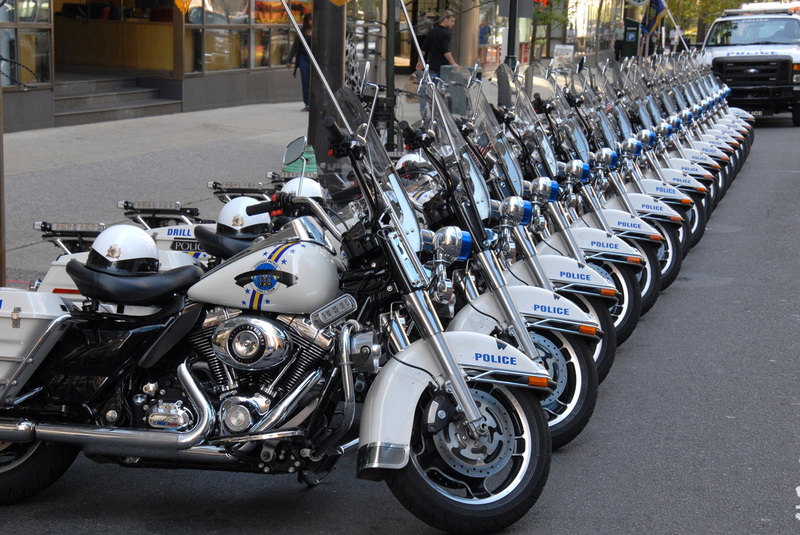 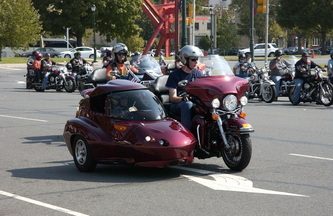 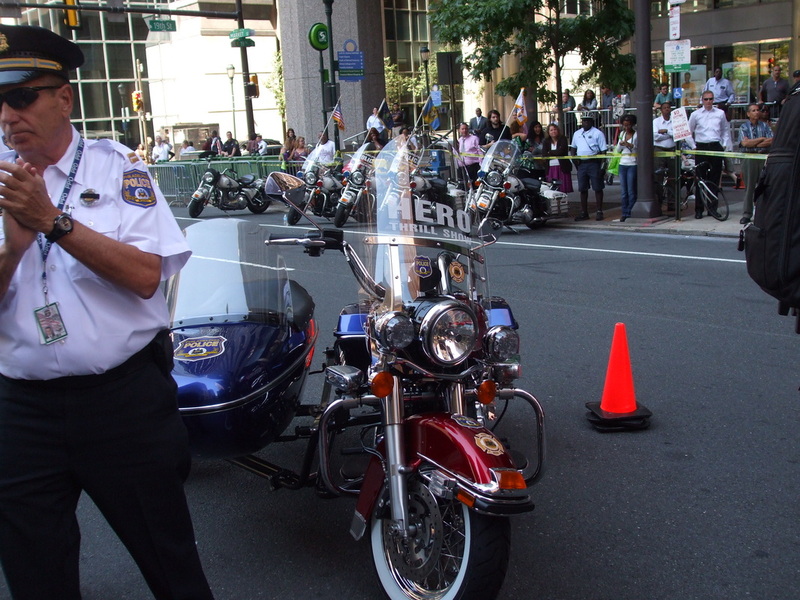 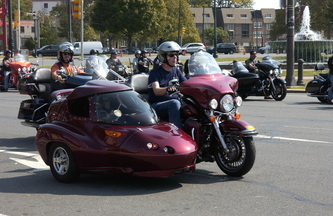 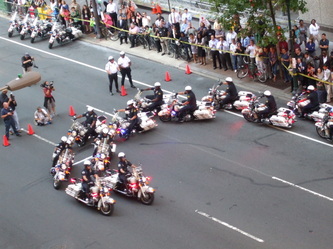 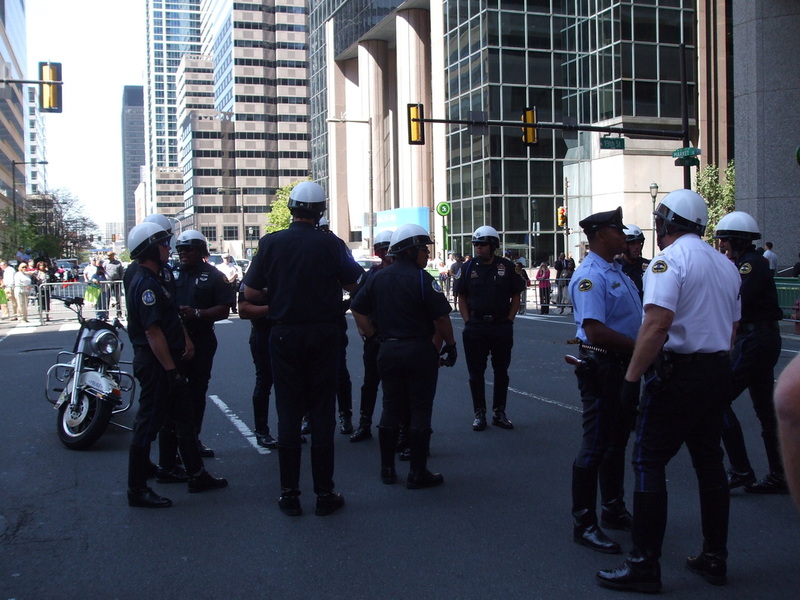 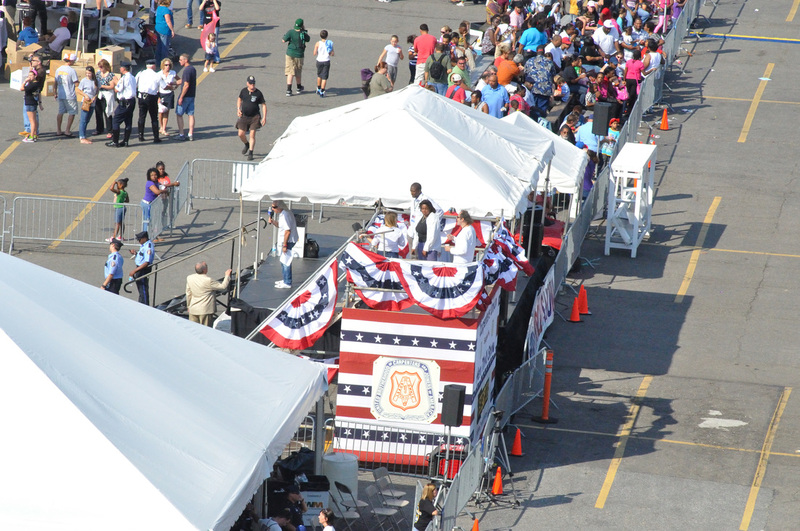 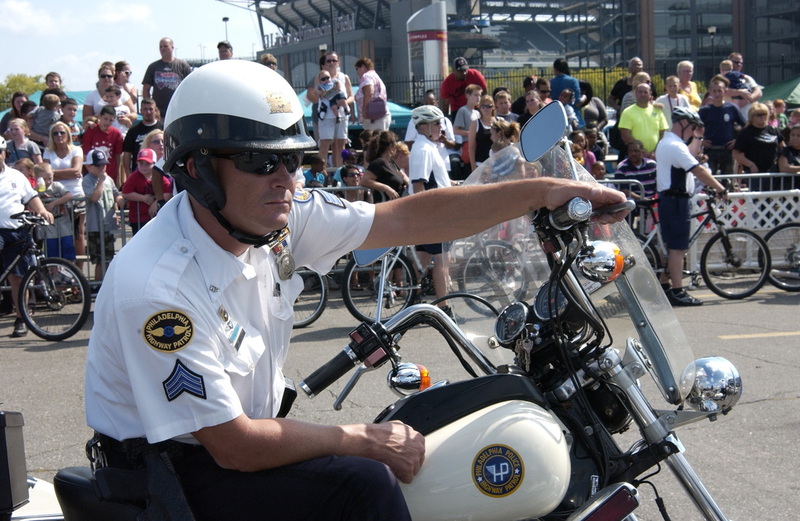 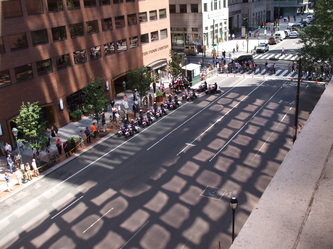 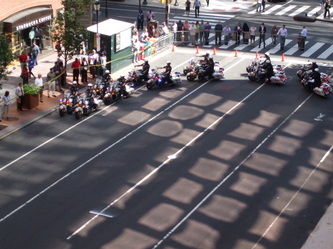 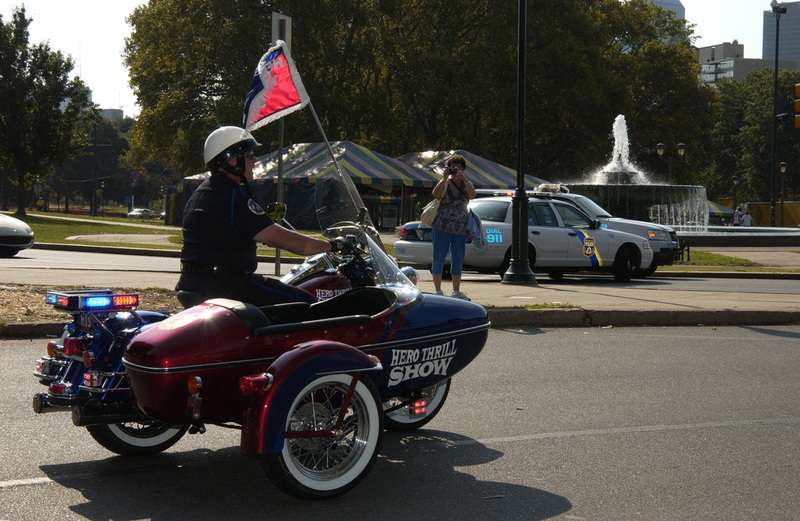 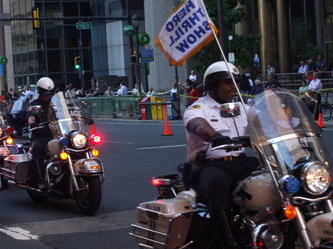 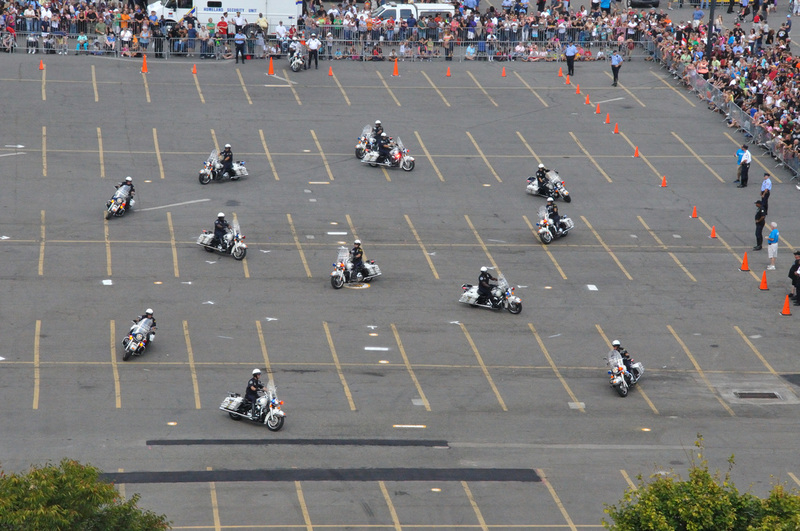 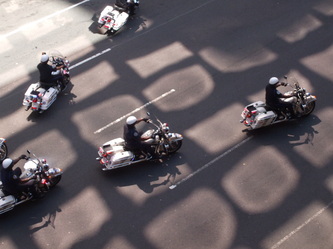 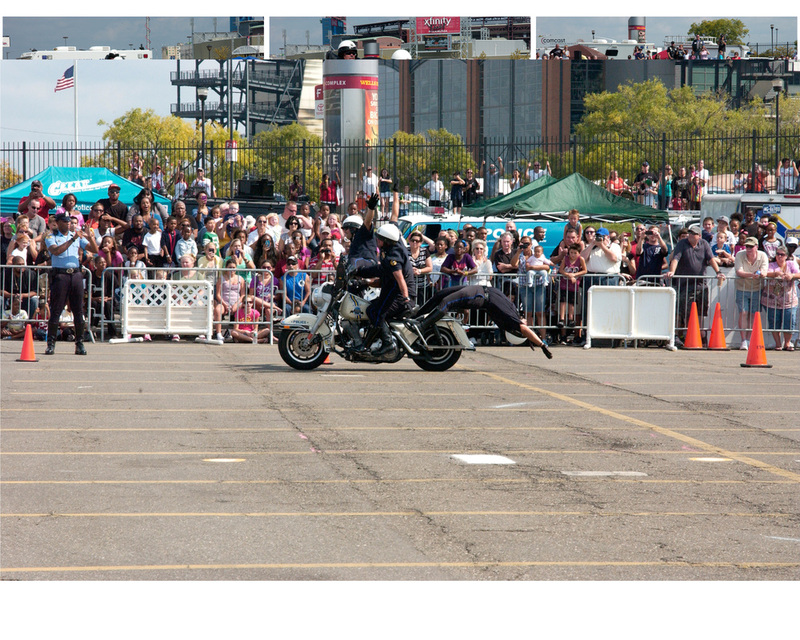 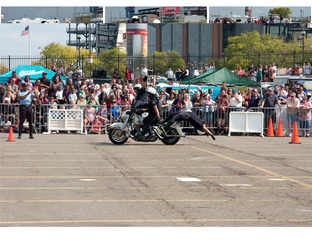 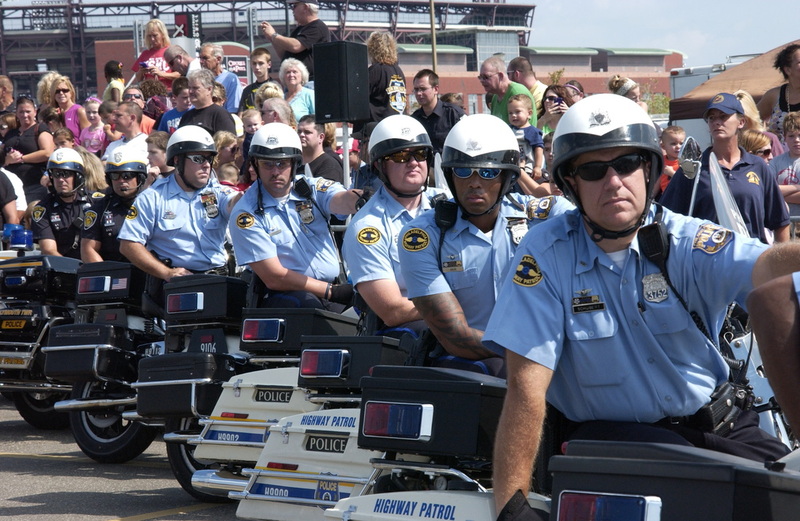 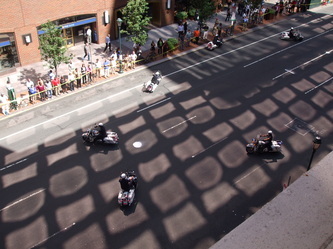 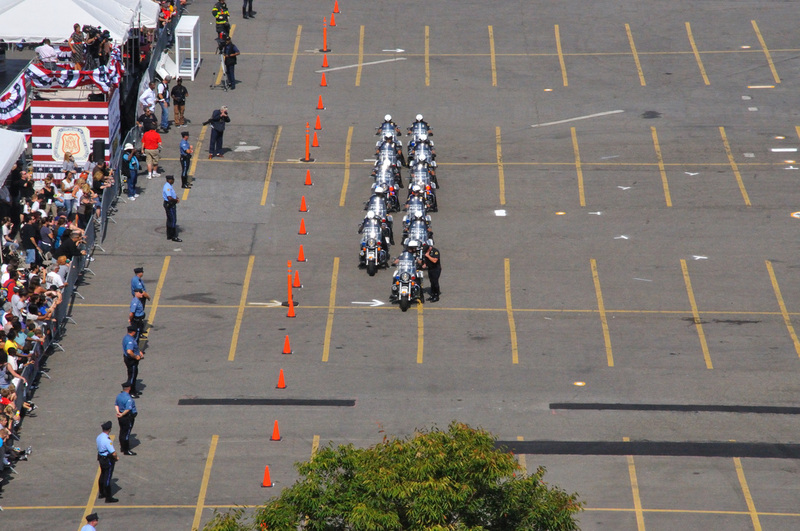 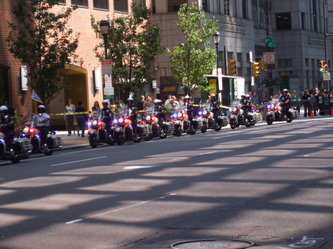 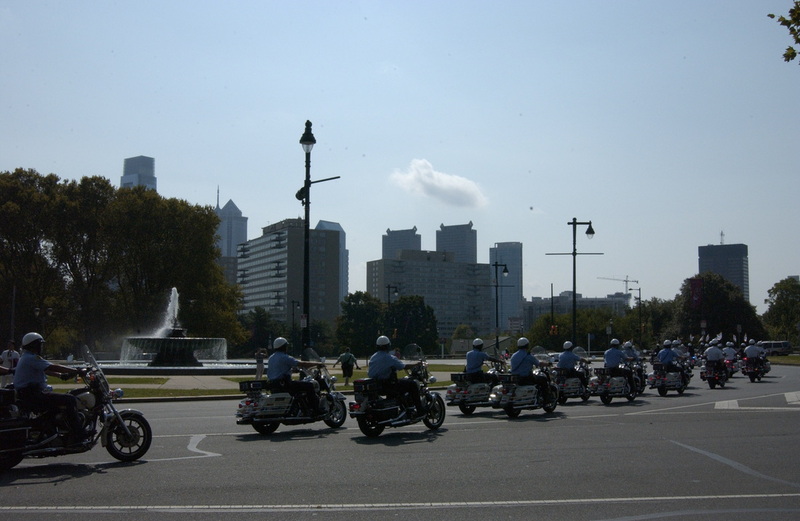 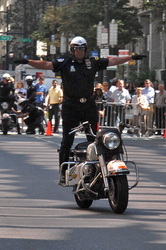 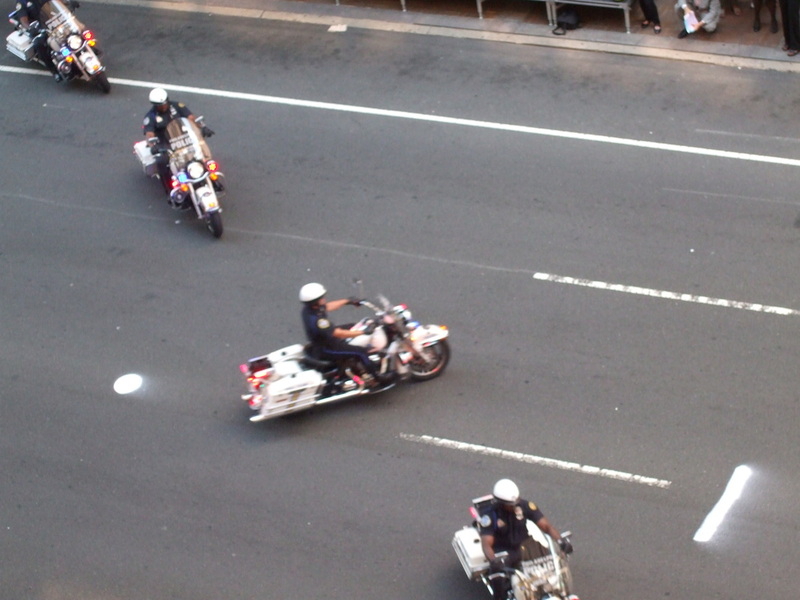 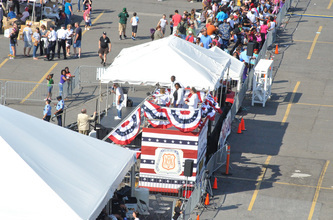 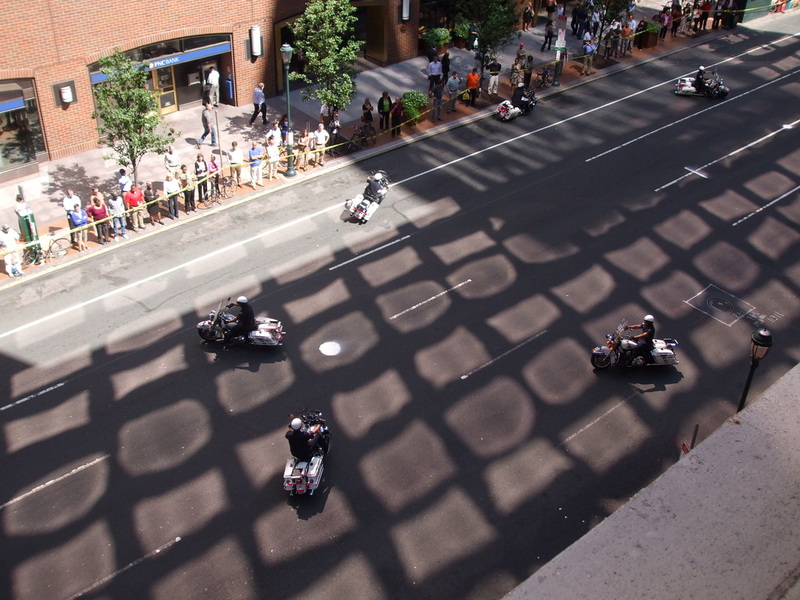 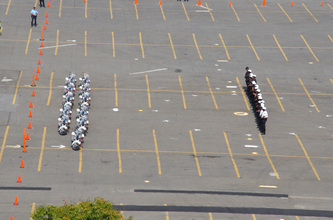 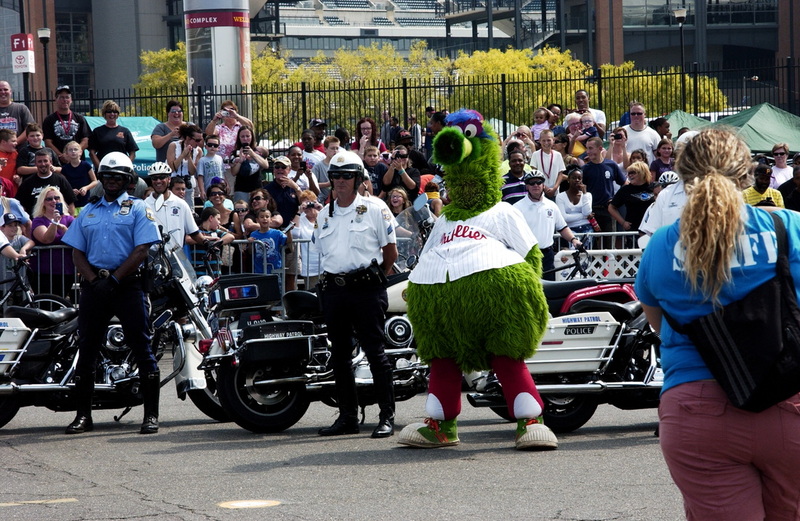 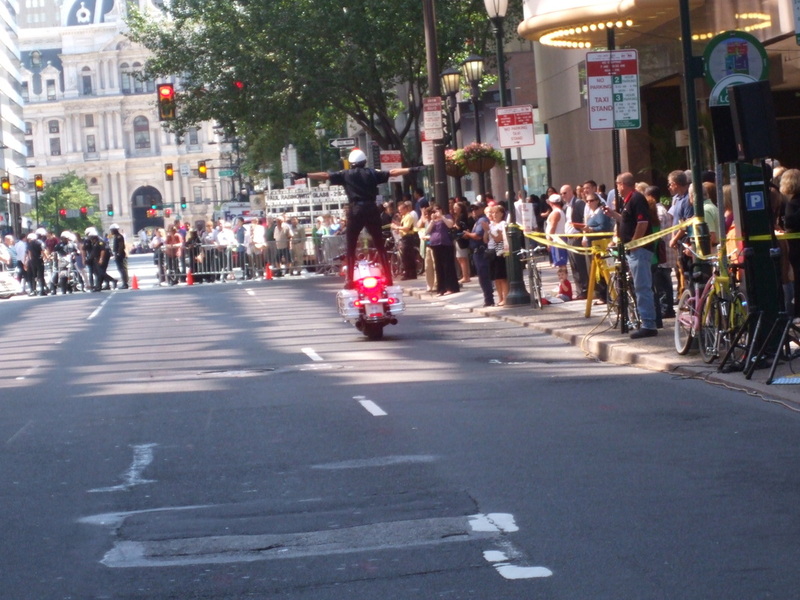 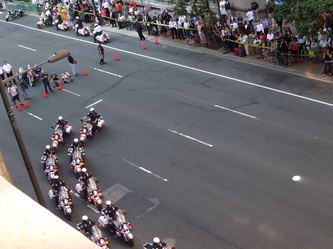 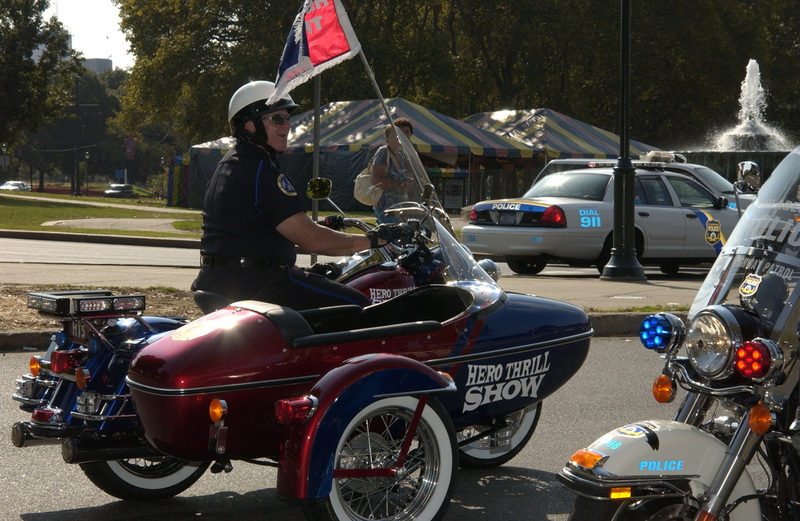 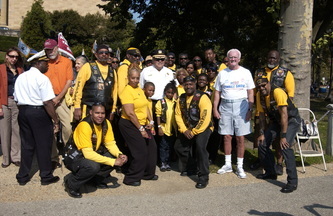 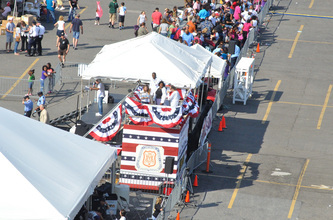 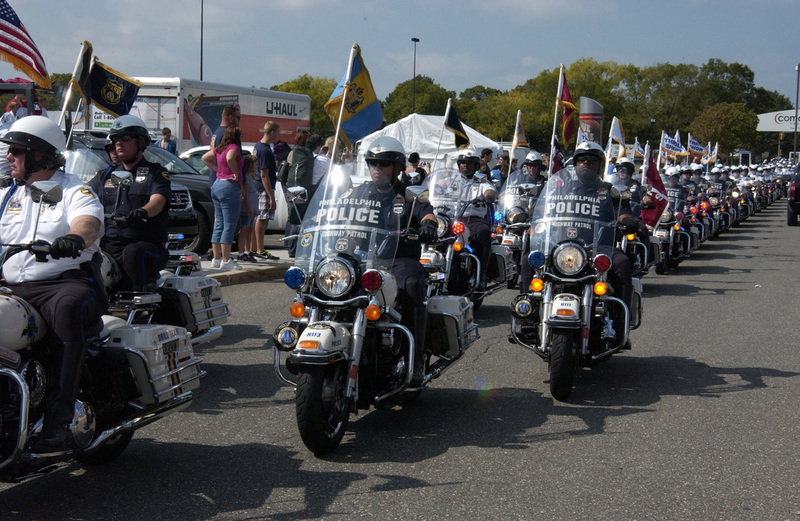 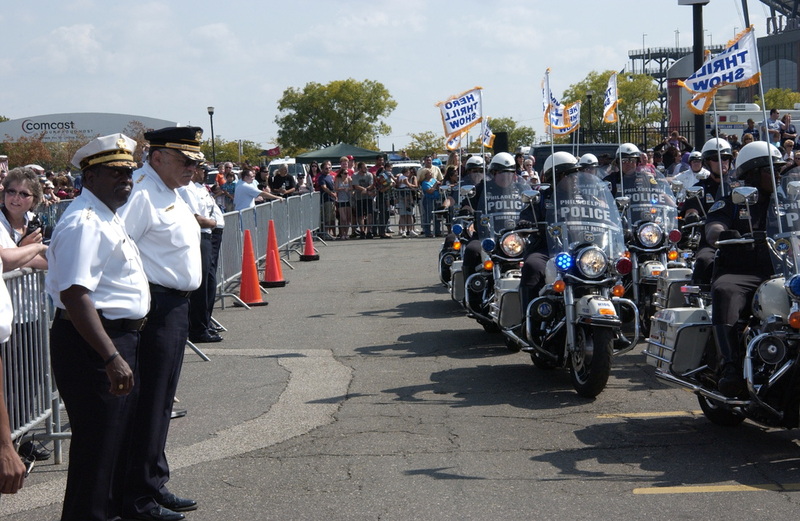 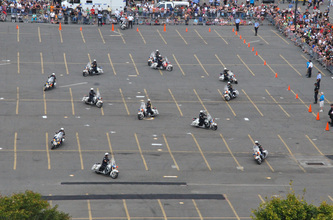 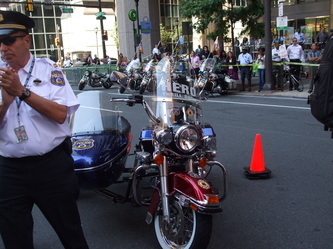 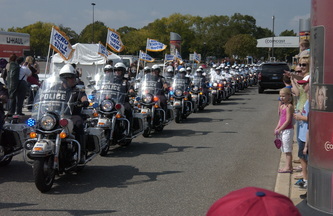 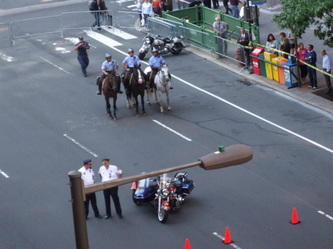 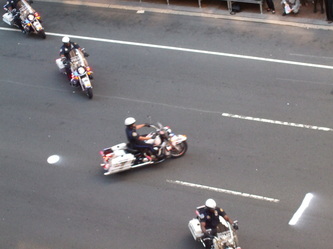 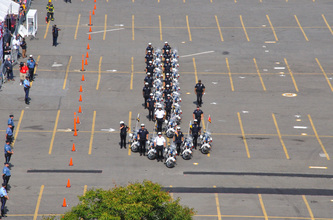 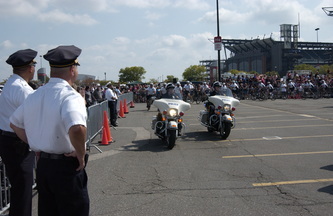 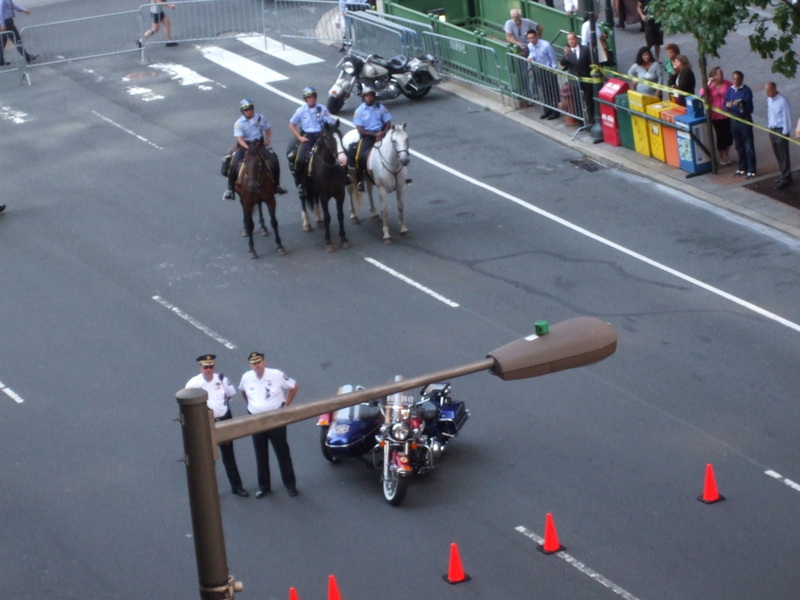 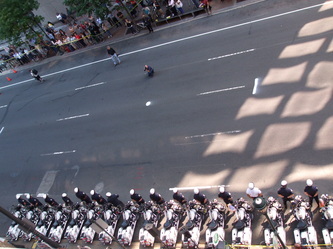 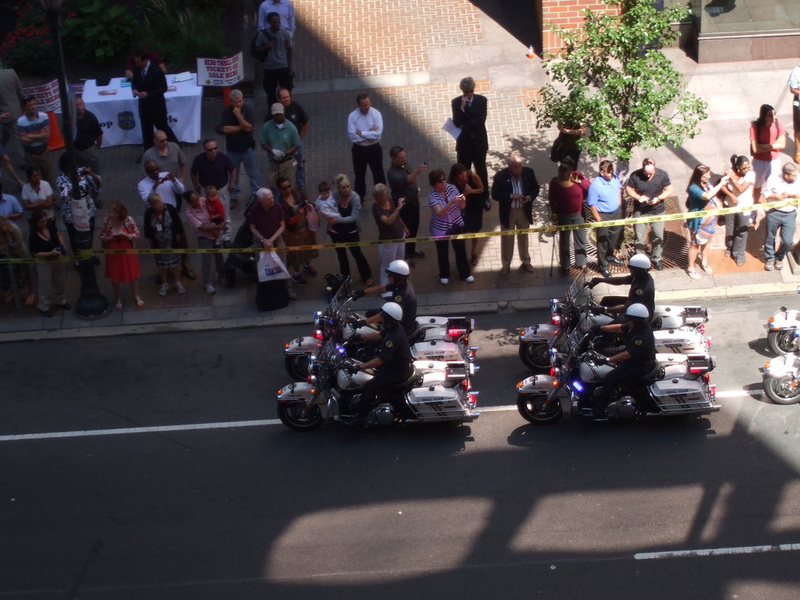 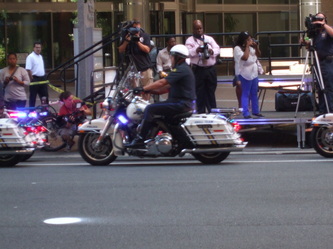 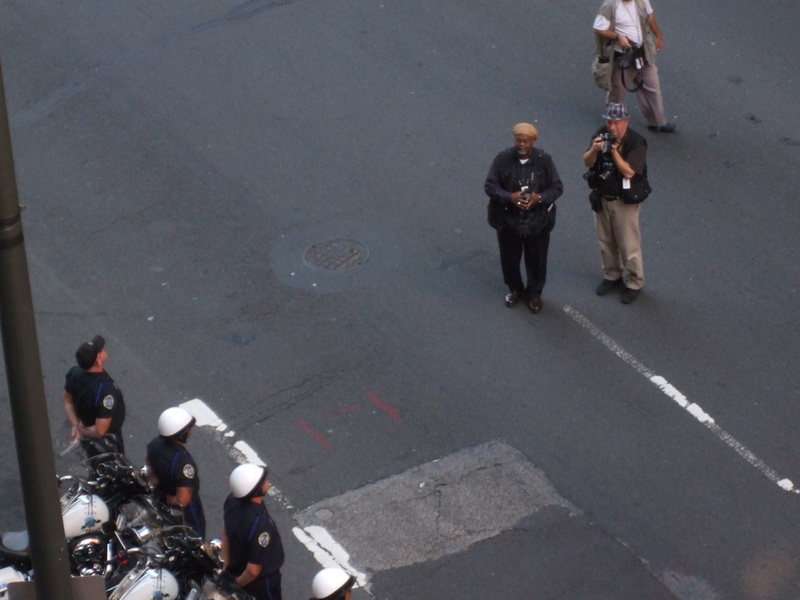 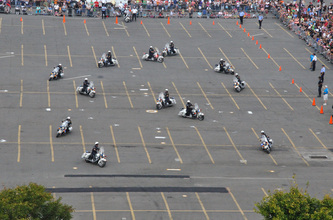 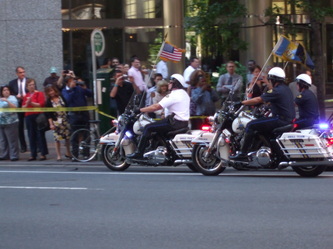 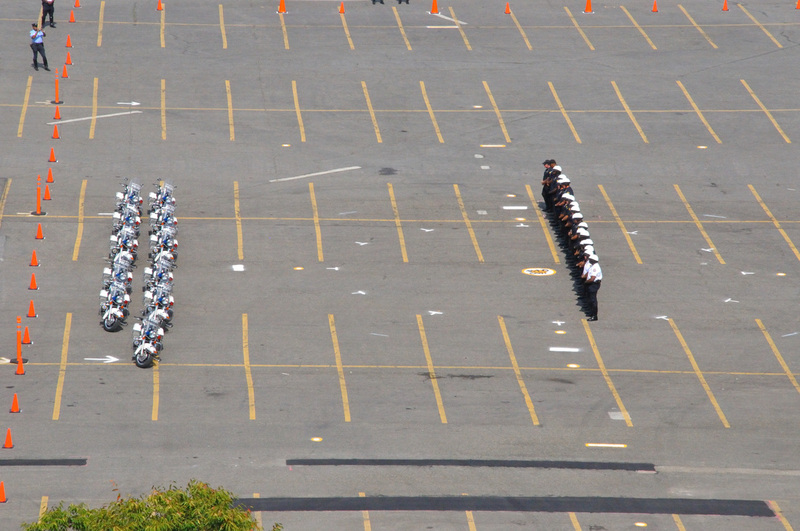 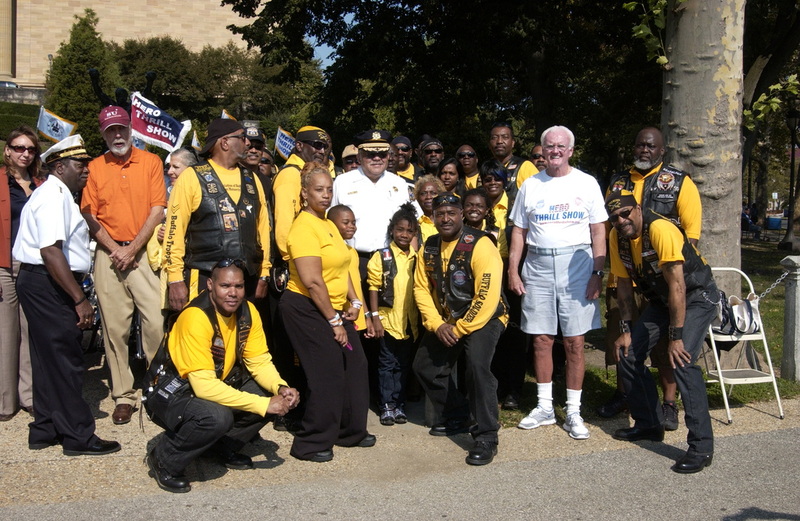 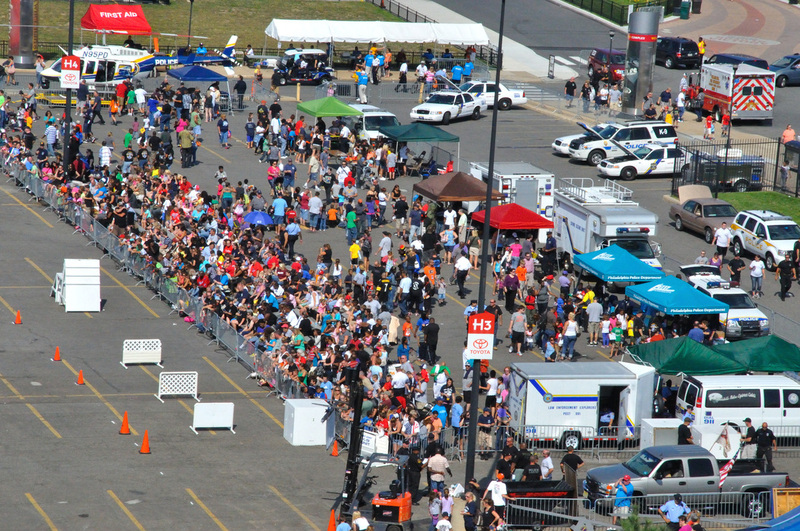 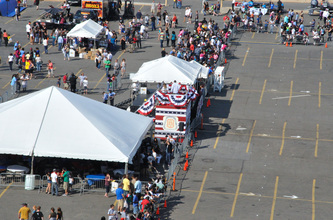 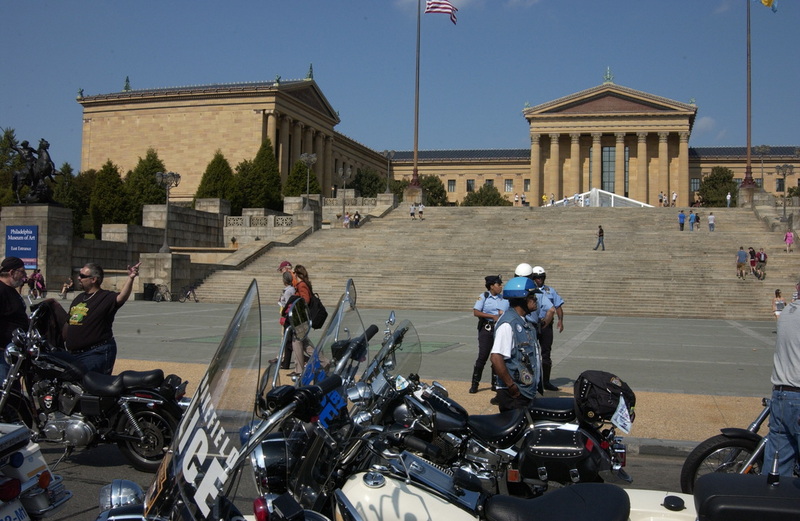 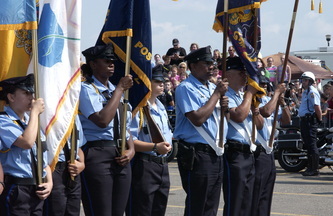 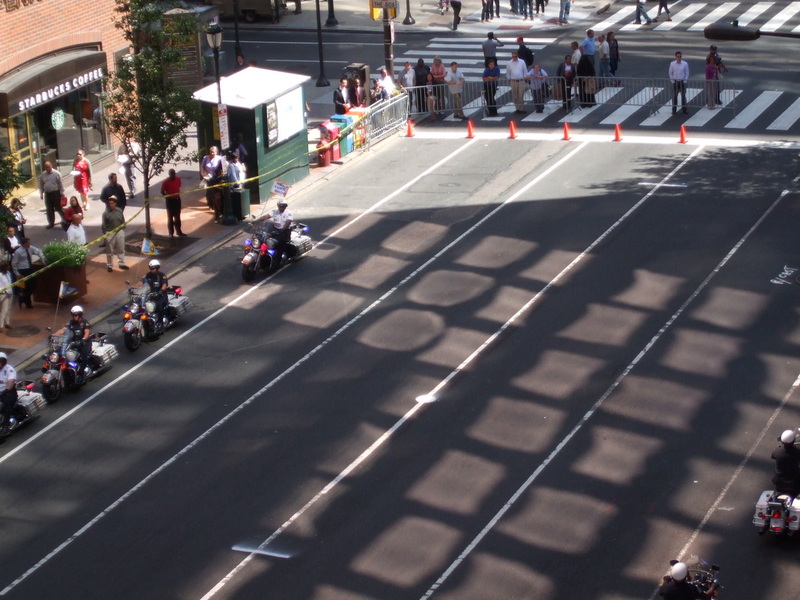 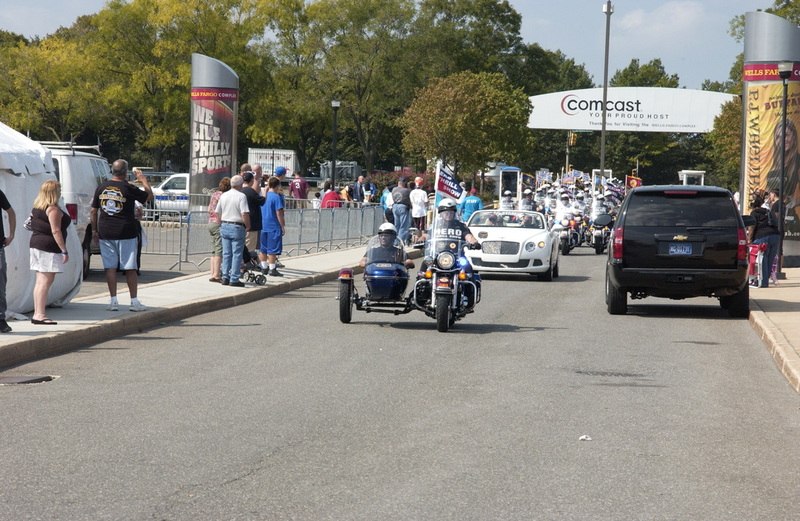 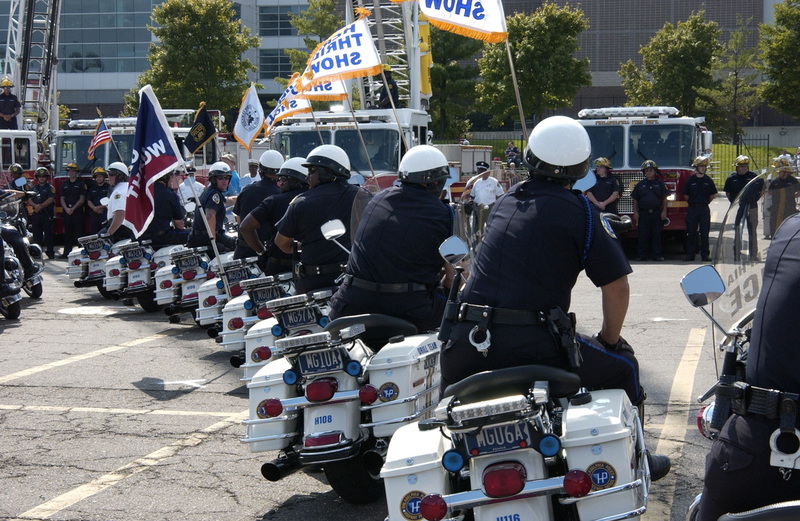 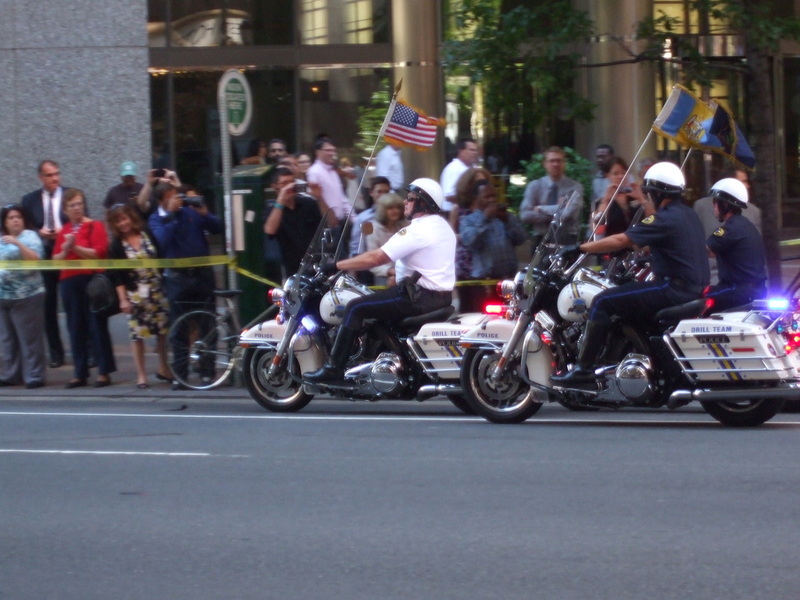 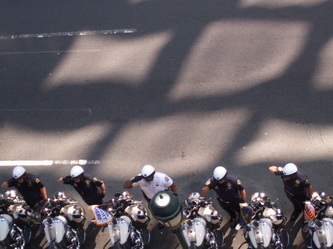 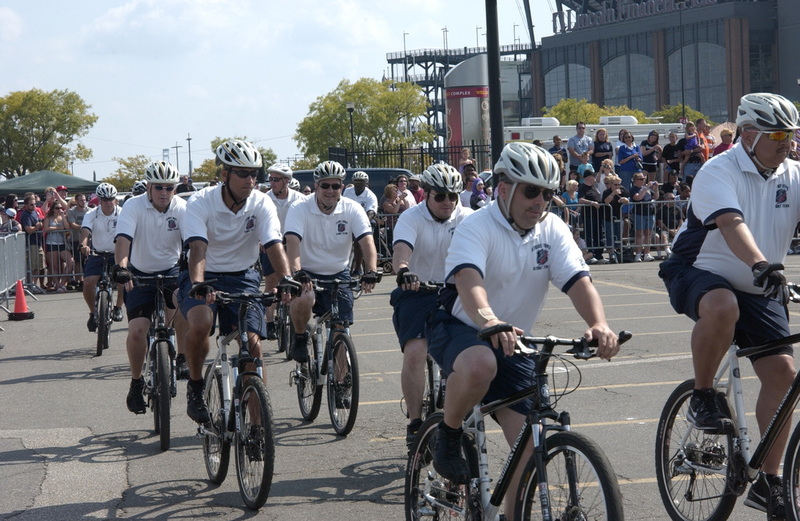 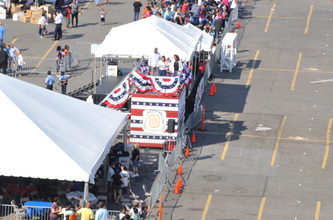 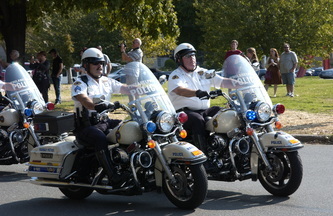 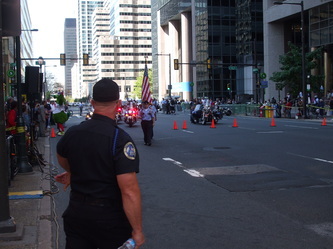 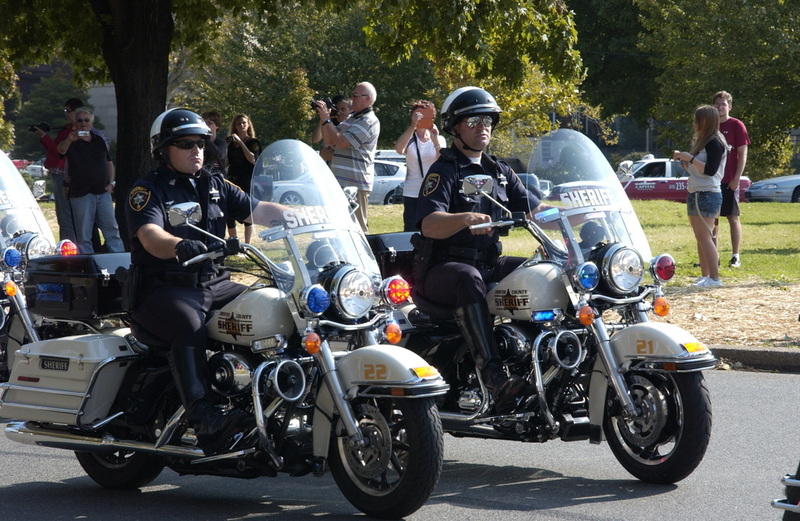 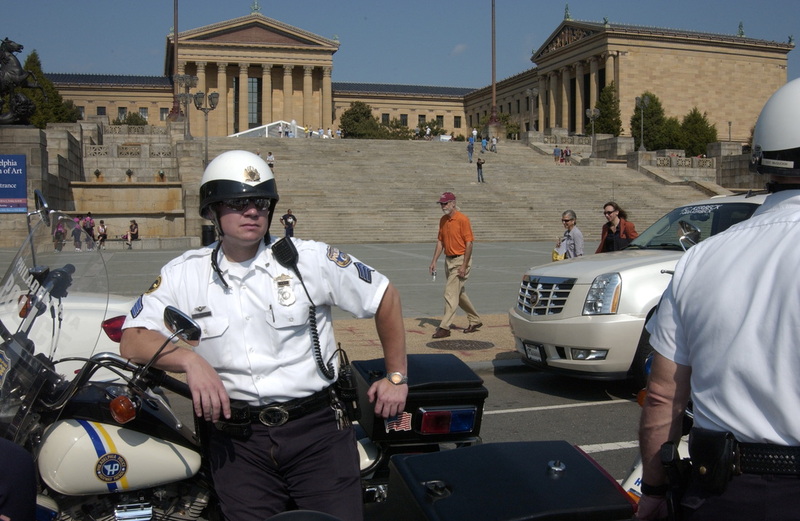 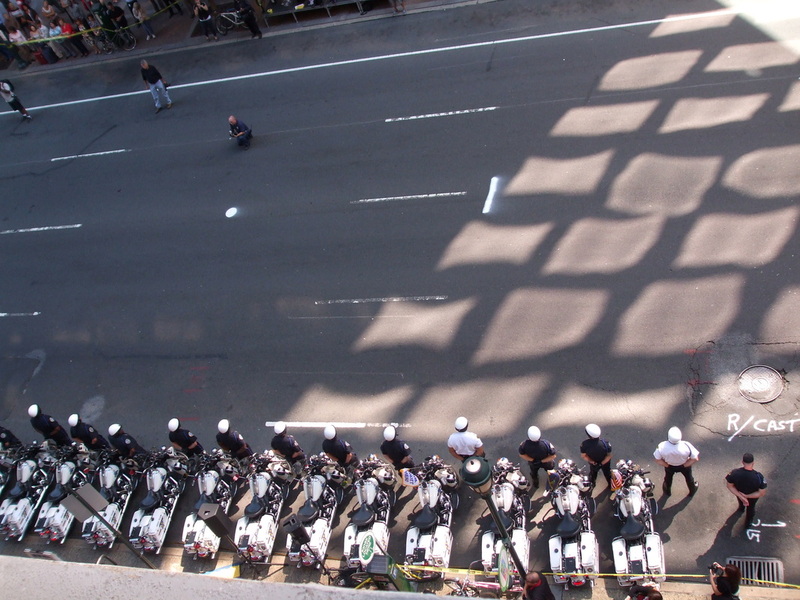 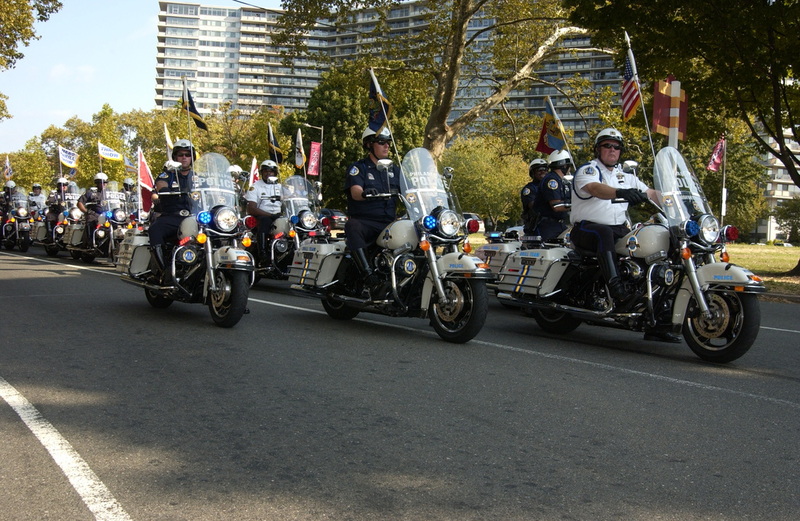 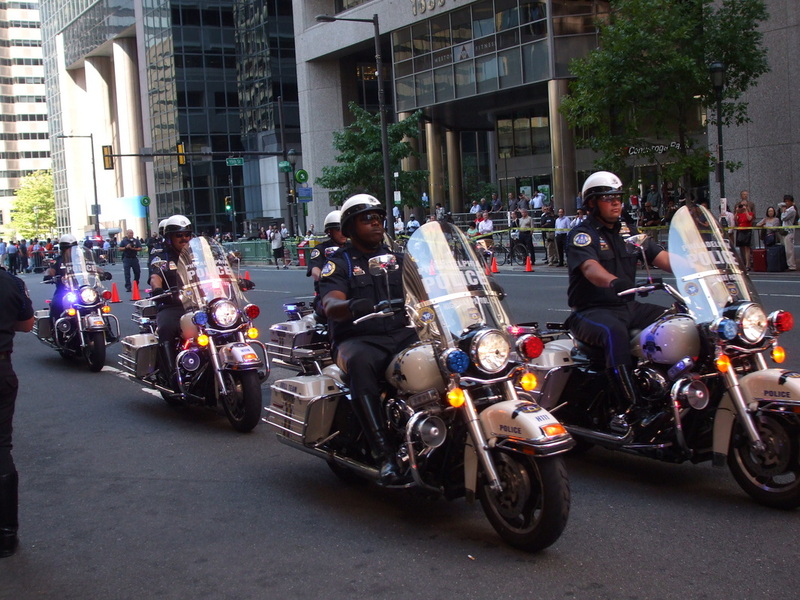 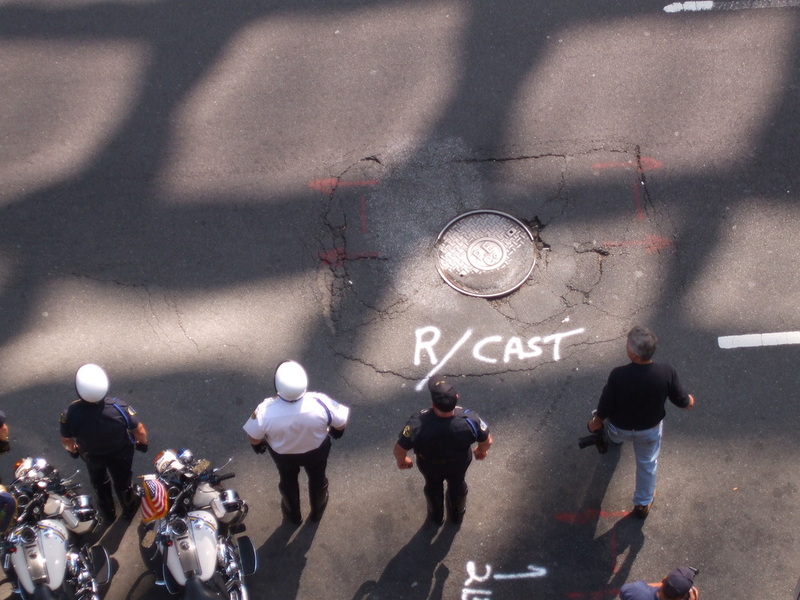 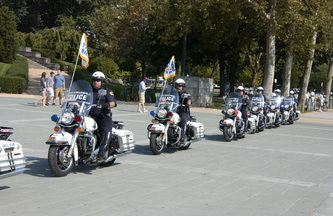 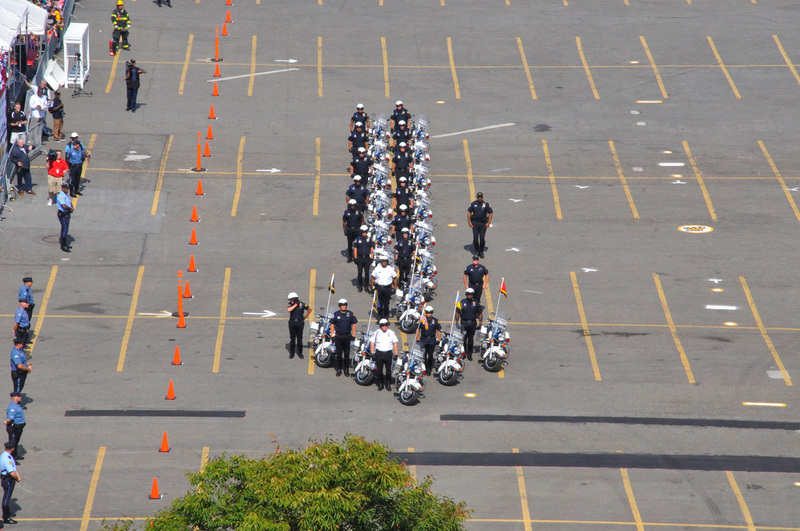 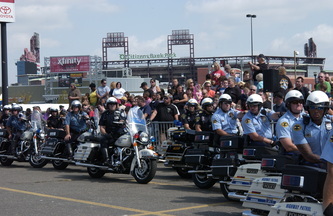 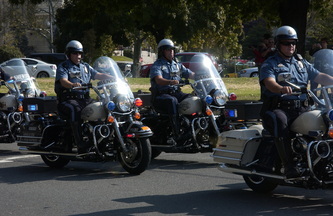 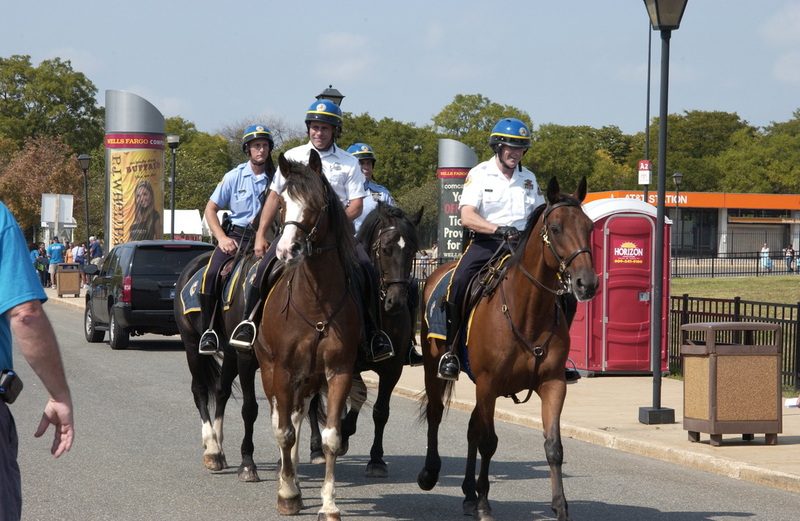 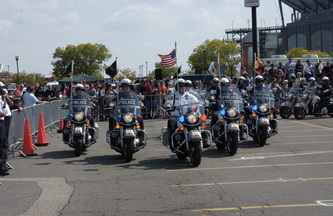 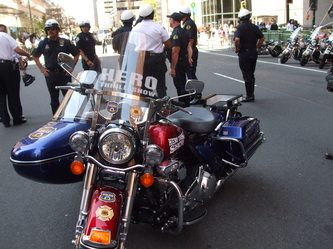 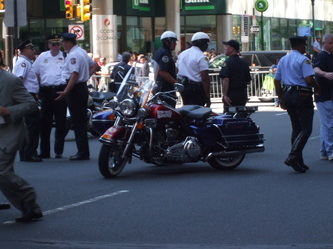 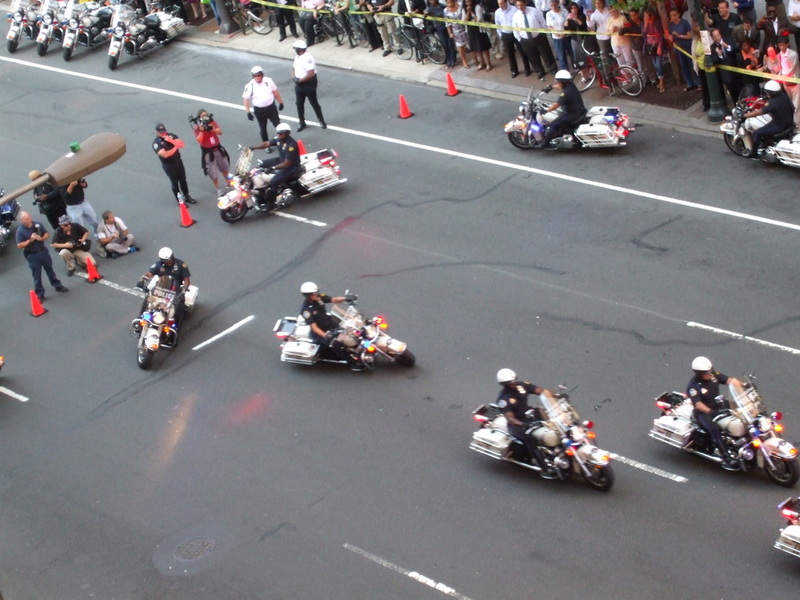 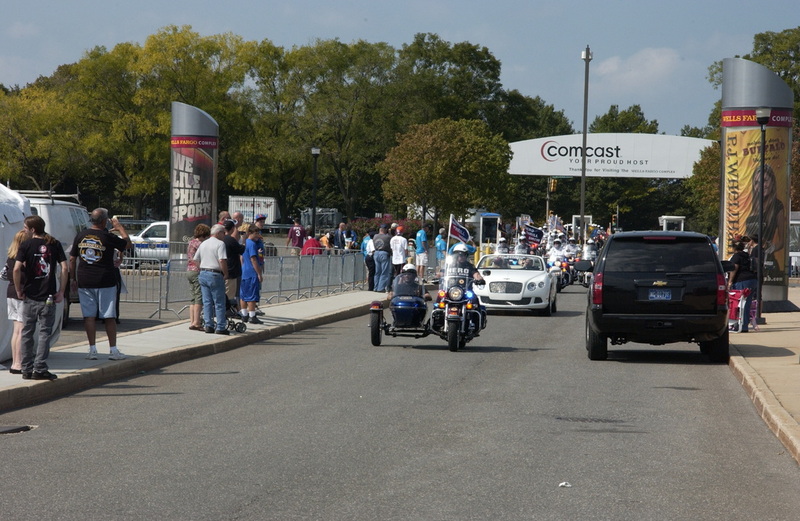 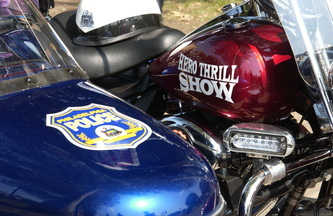 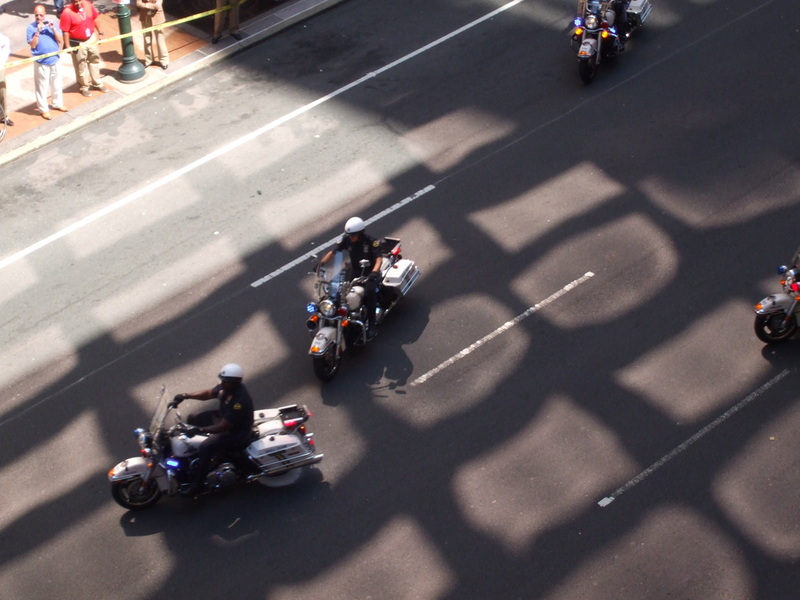 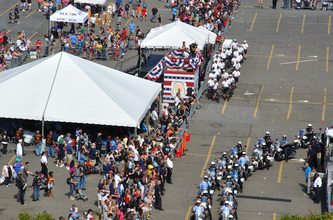 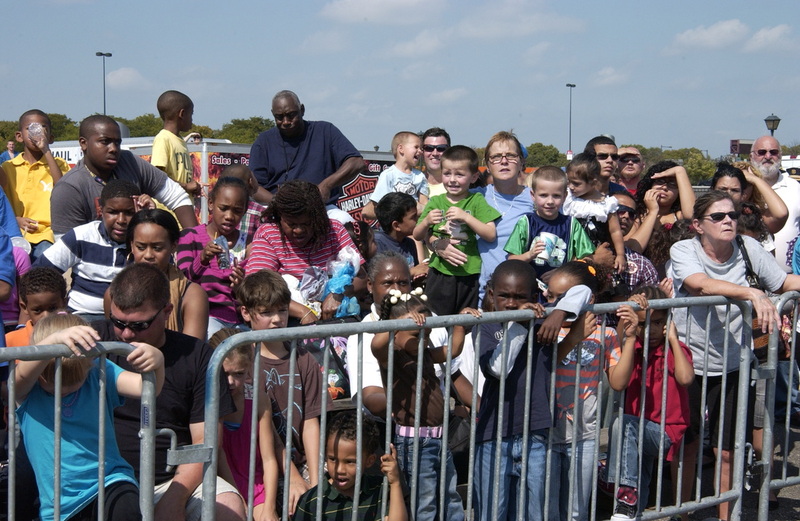 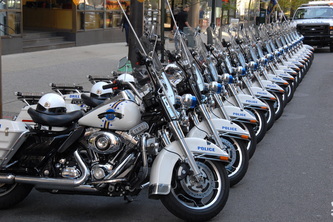 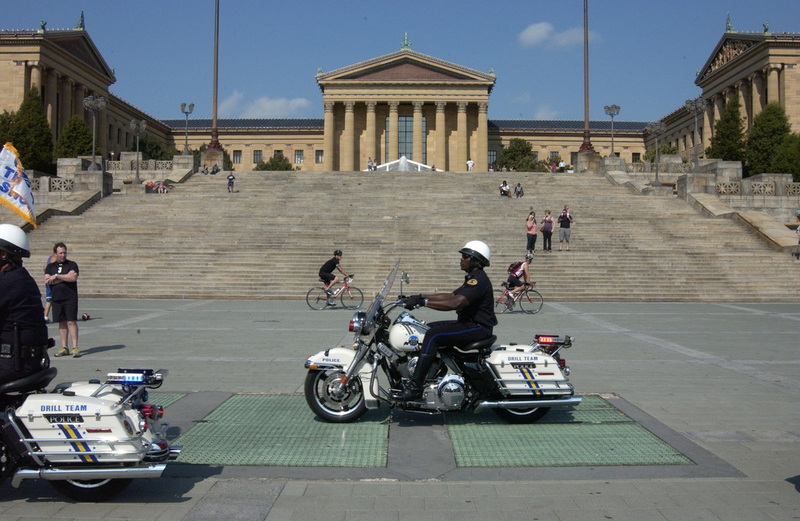 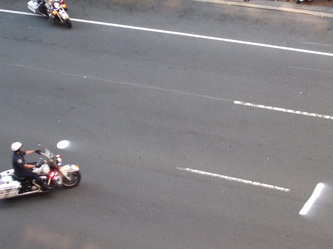 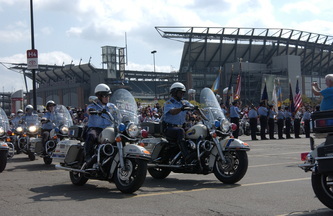 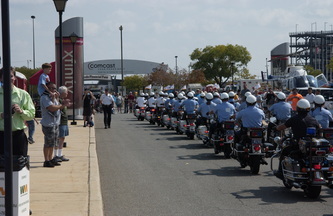 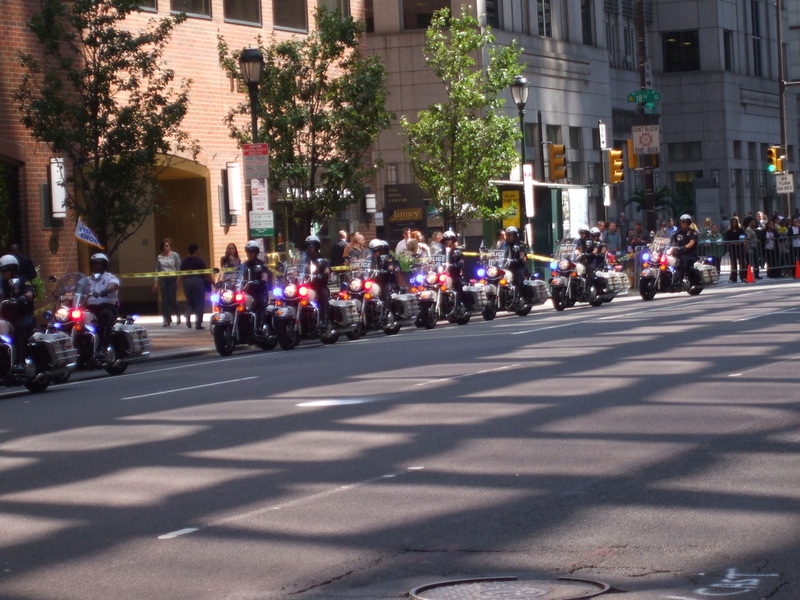 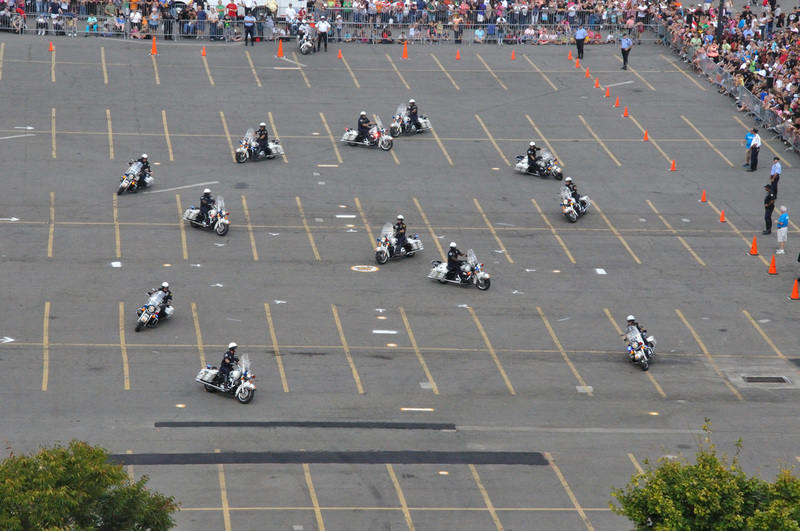 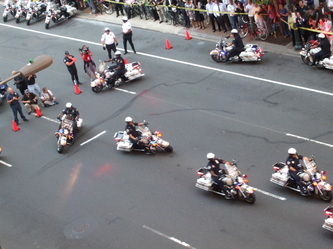 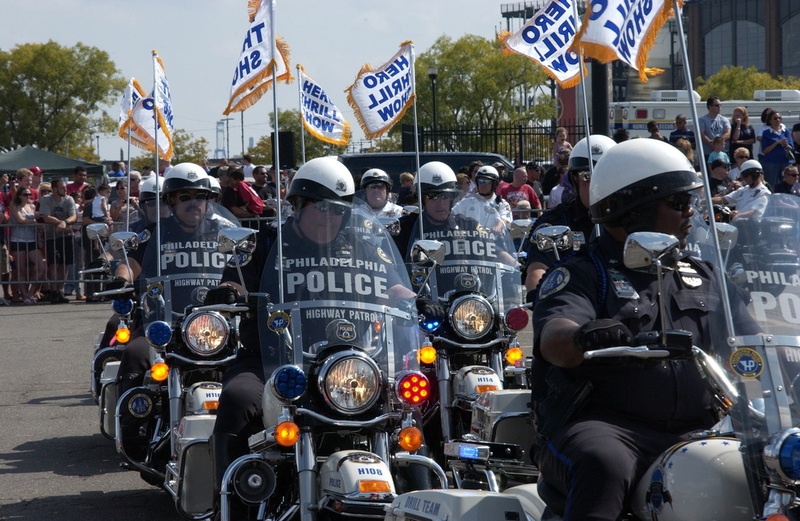 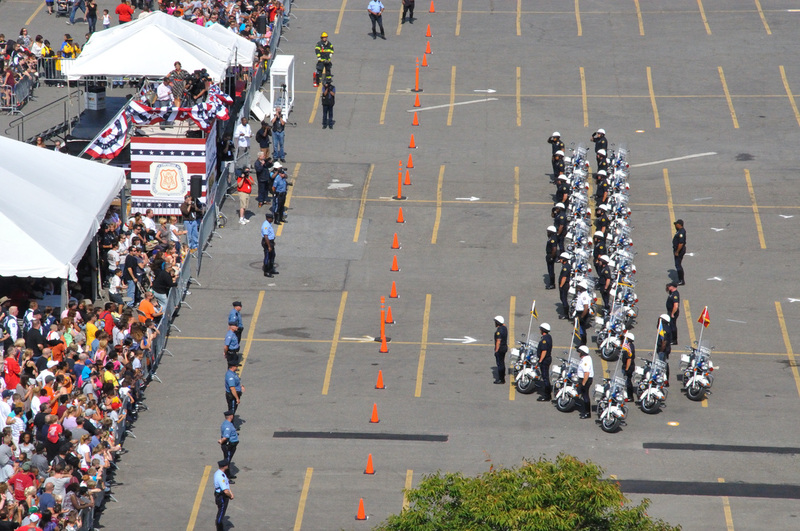 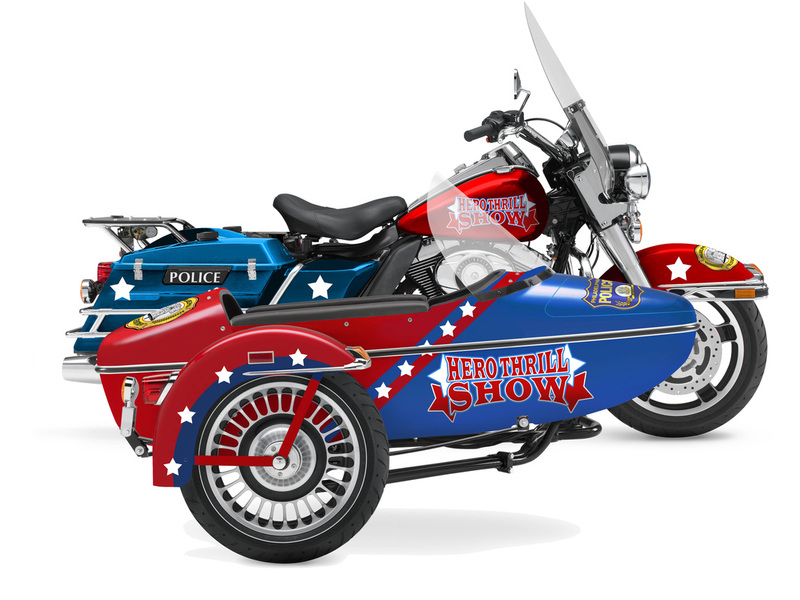 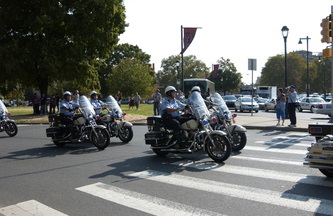 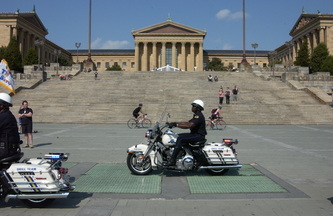 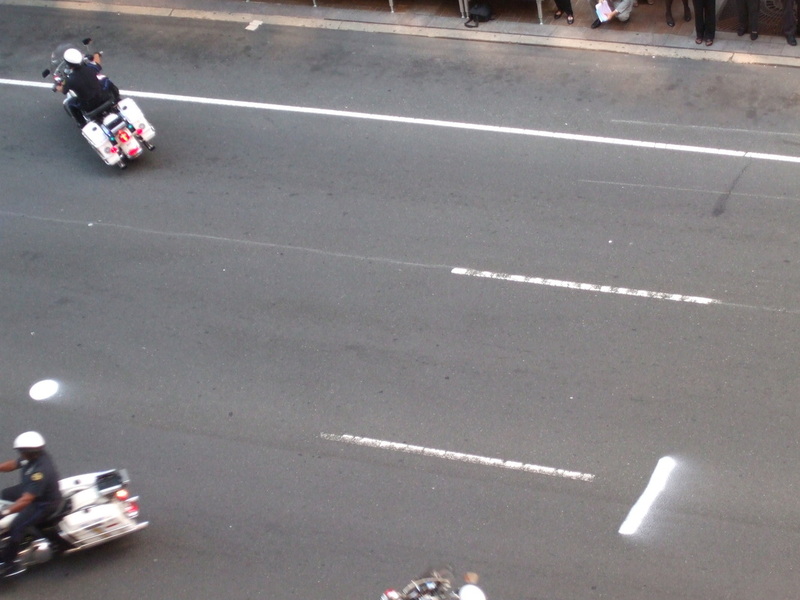 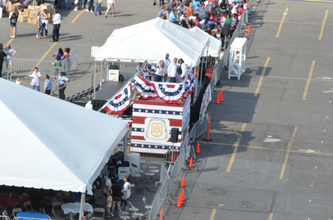 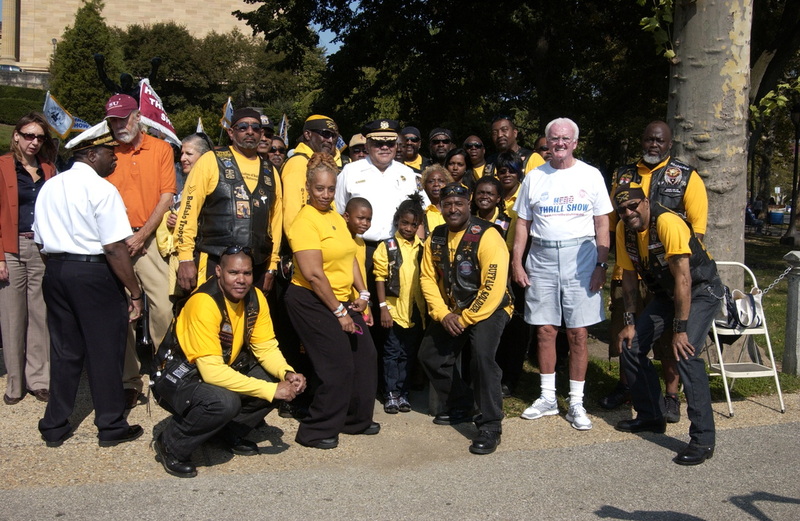 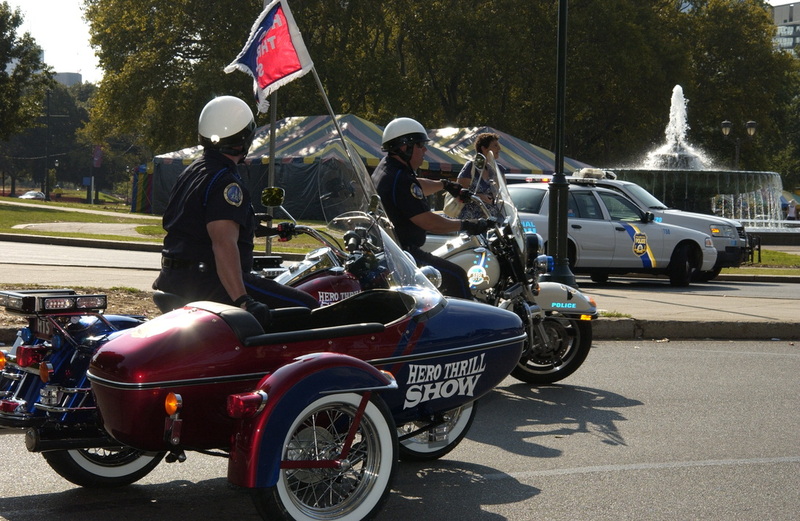 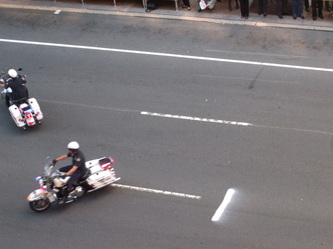 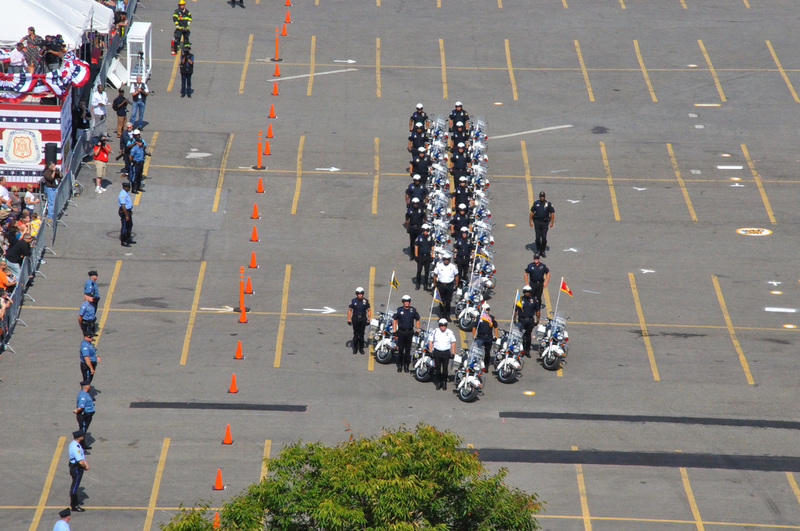 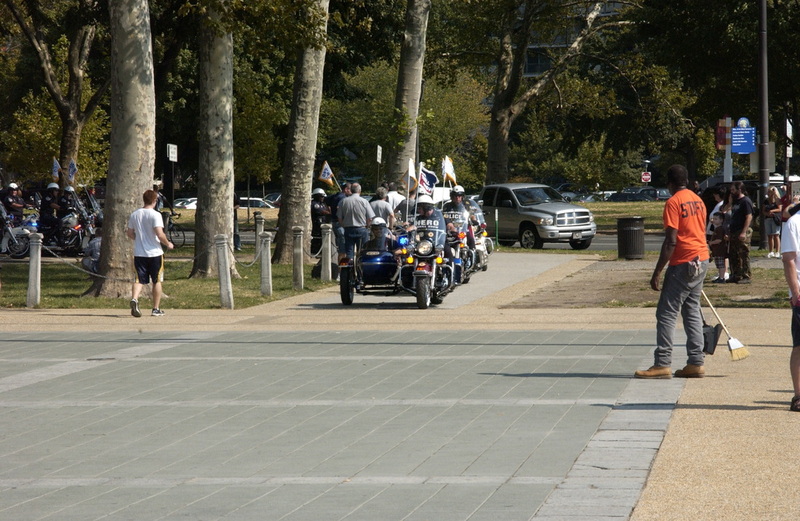 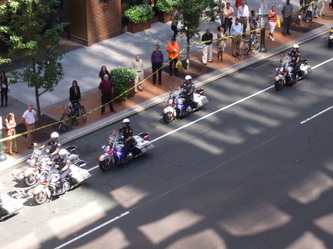 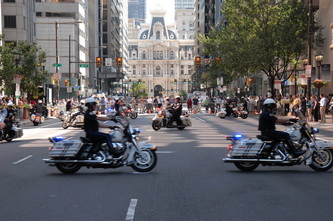 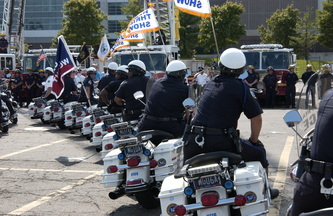 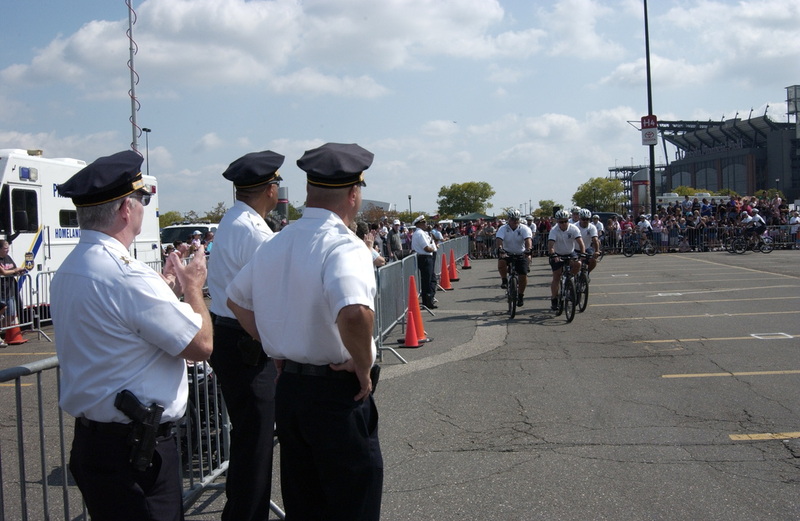 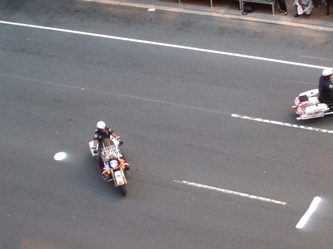 Enjoy performances (in the middle of Market Street) by the Highway Patrol Motorcycle Drill Team and the Bicycle Stunt Team as they gear up for the 2012 Hero Thrill Show! 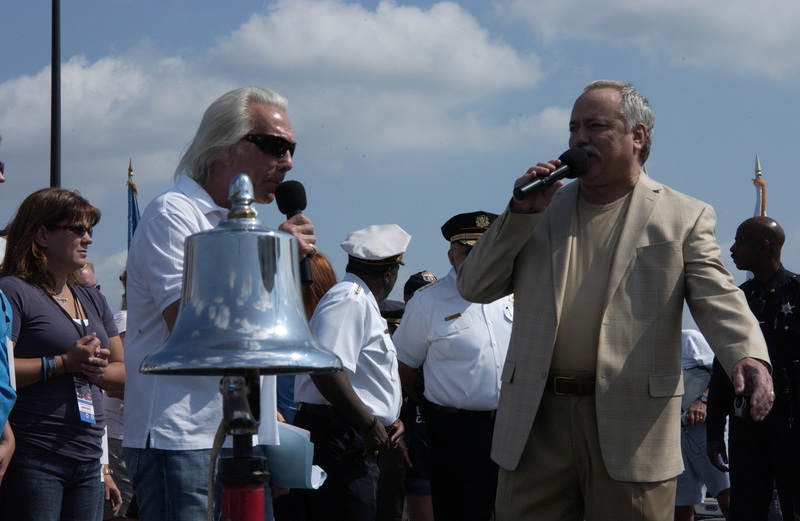 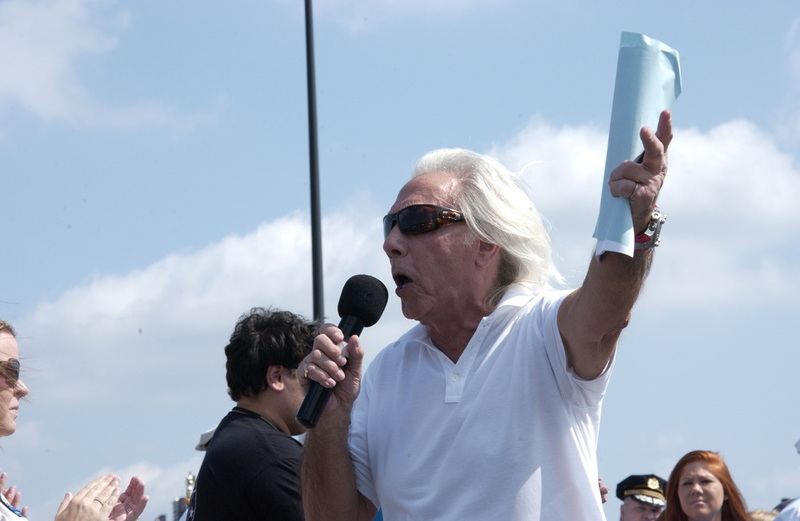 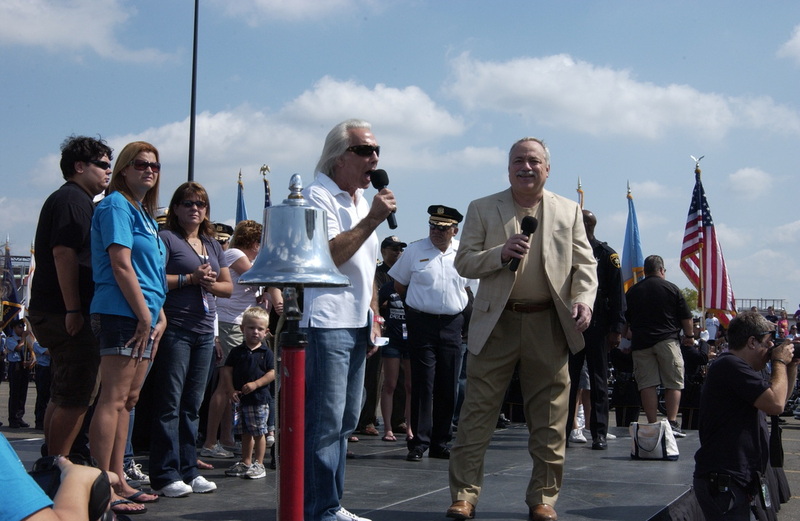 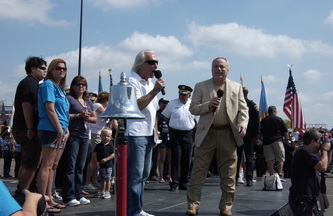 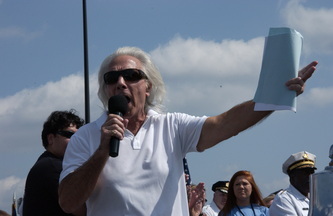 Bob Pantano (WOGL 98.1) and Nino Del Buono (Ring Announcer/Actor/Philanthropist) will MC the Press Conference. 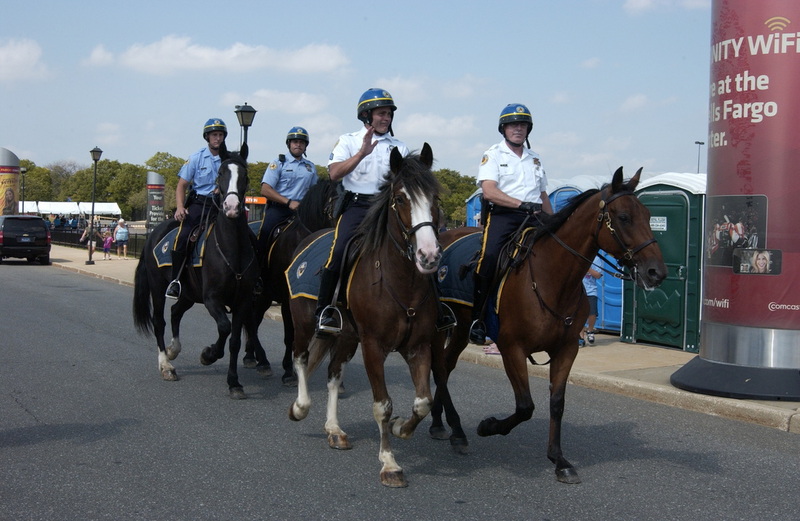 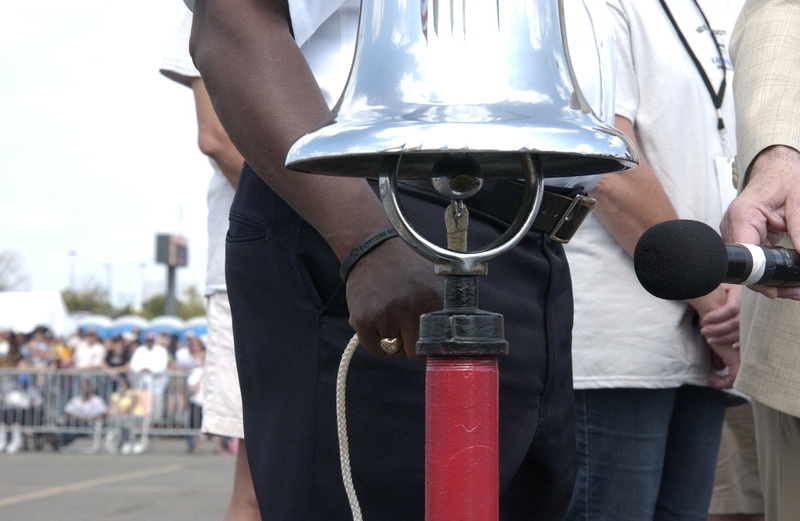 There will be special appearances by the Mounted Police, K9 Unit, SWAT Unit, Bomb Squad, Home Land Security and loads of Fire Department Apparatus. 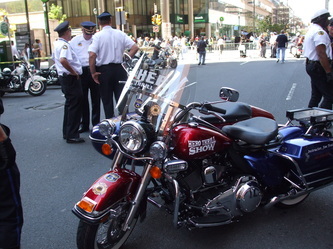 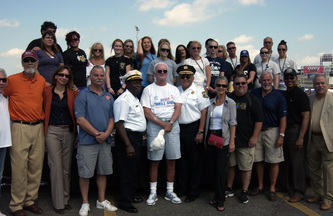 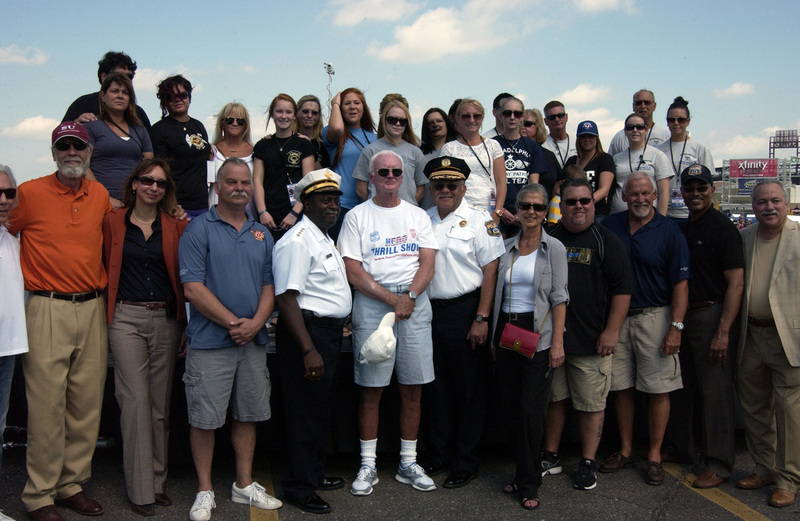 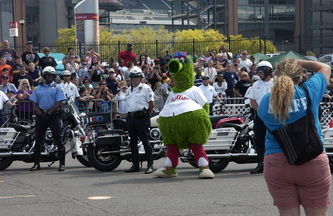 Philadelphia’s Coolest Celebrities will also be stopping by, including: Mayor Michael Nutter, Police Commissioner Chuck Ramsay, Fire Commissioner Lloyd Ayers, Television News Anchors with special guest appearances by Monica Malpass, Matt O'Donnell, Alicia Vitarelli, Karen Rogers, Bob Kelly, Pat Ciarrocchi, Dave Schratwieser and Walt Hunter. 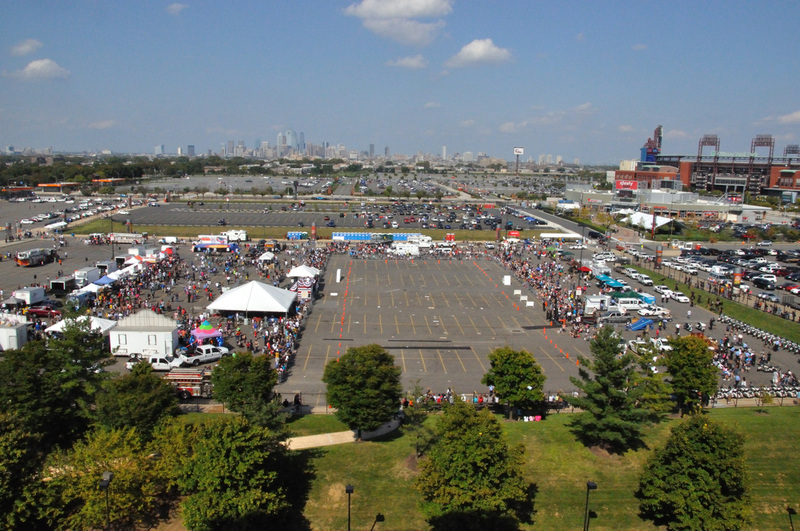 Also appearing will be the Philly Phanatic, Swoop, Hip-Hop, Soul Man, Eagles Cheerleaders, Sixers Dancers and Philadelphia Soul Mates. 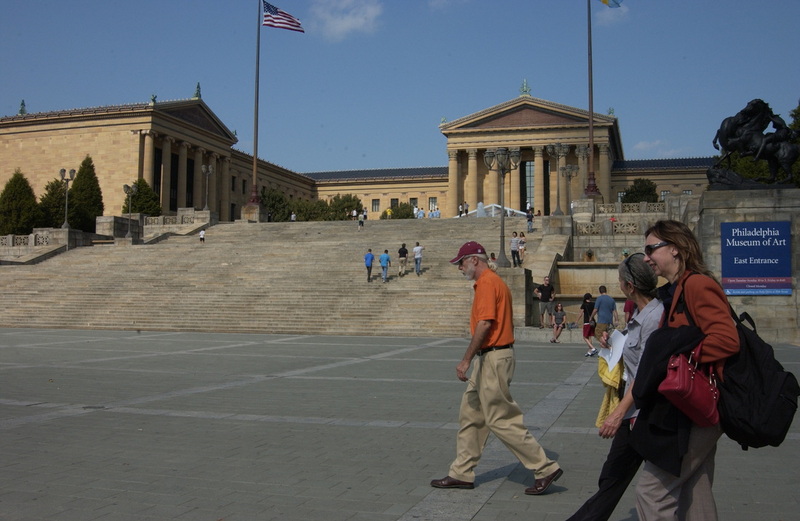 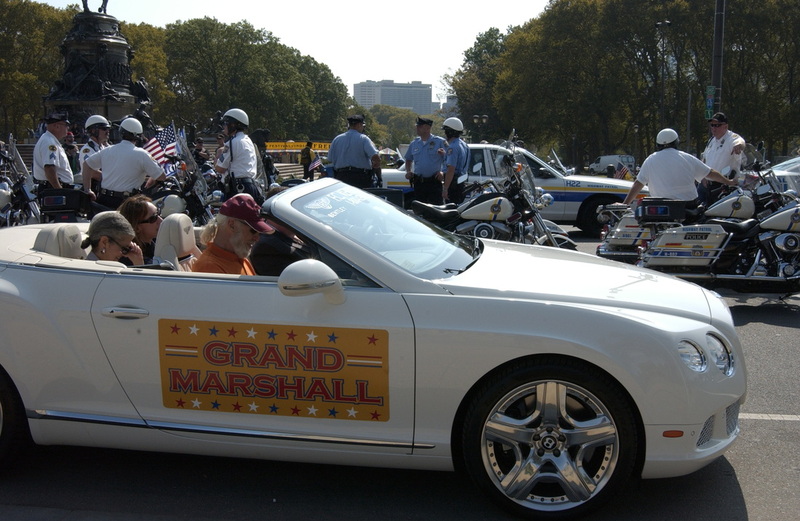 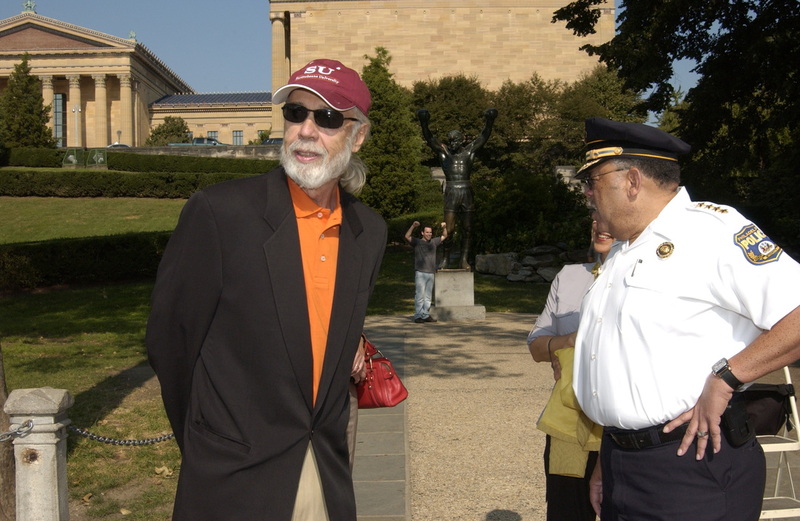 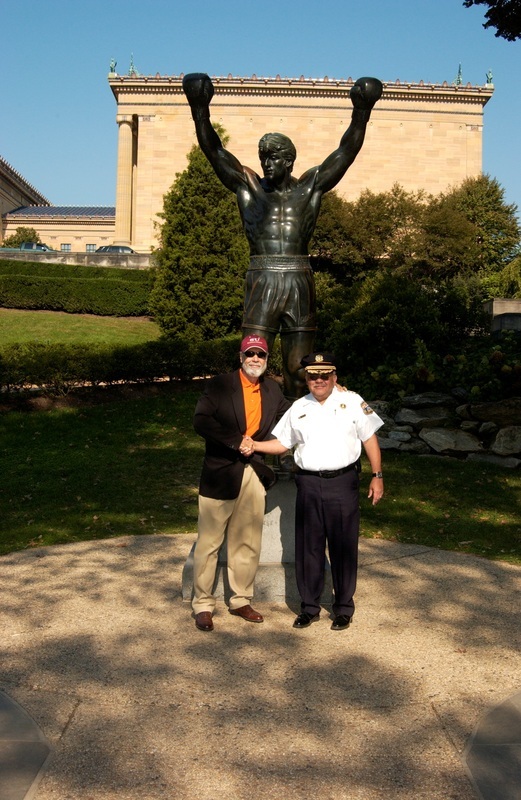 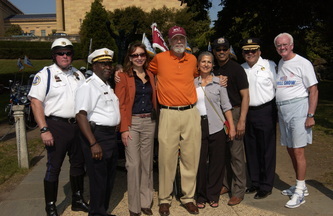 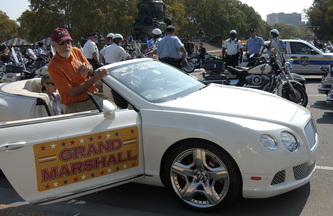 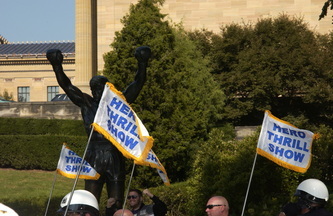 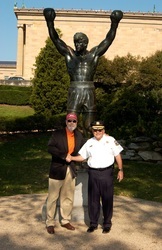 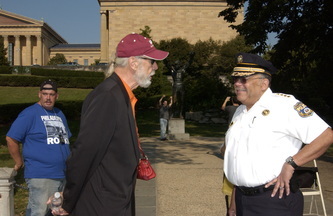 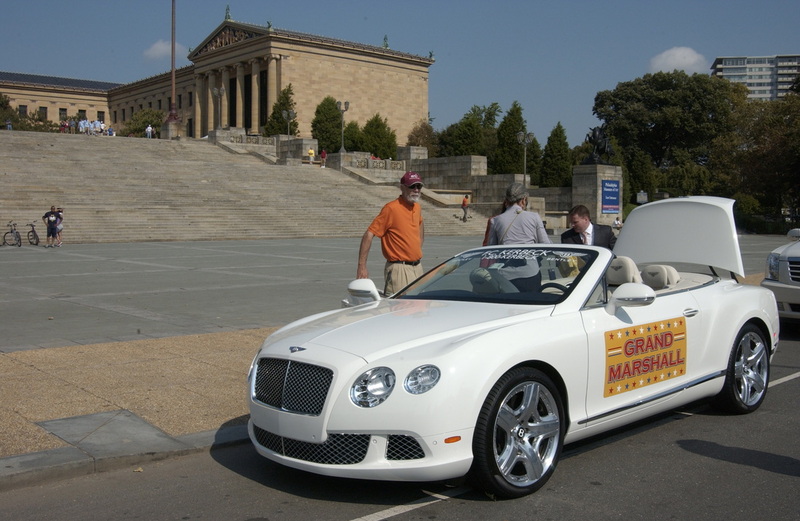 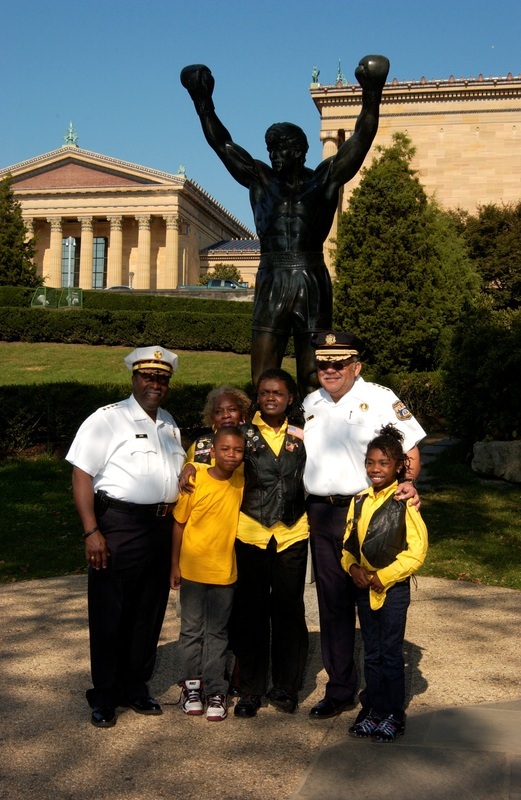 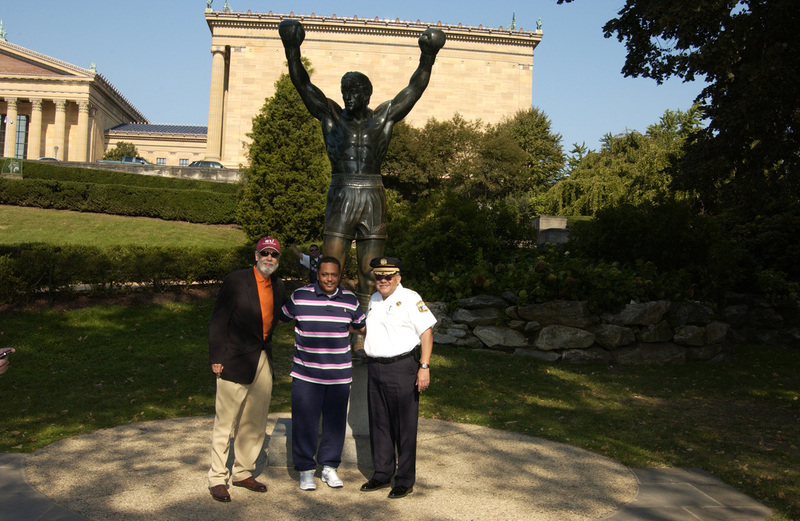 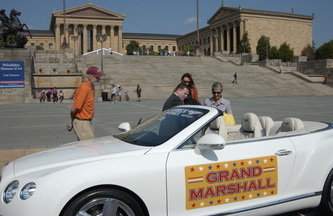 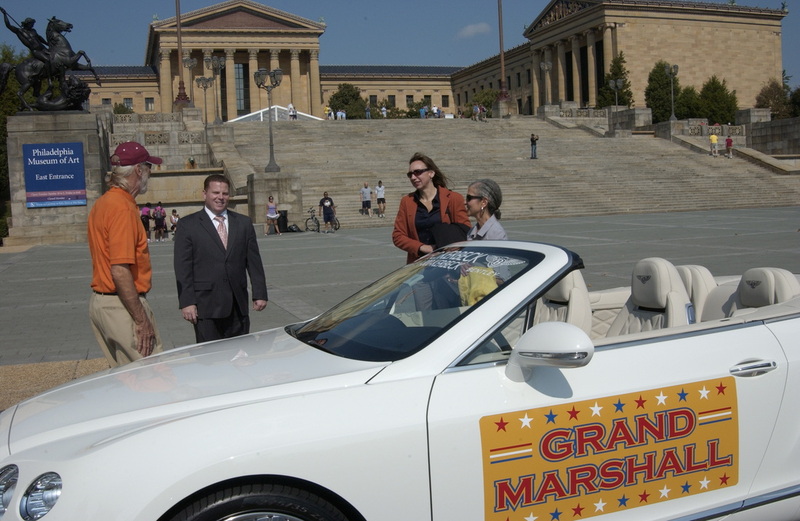 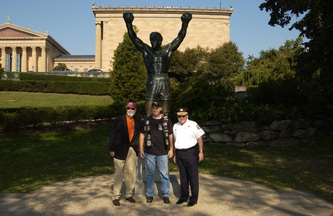 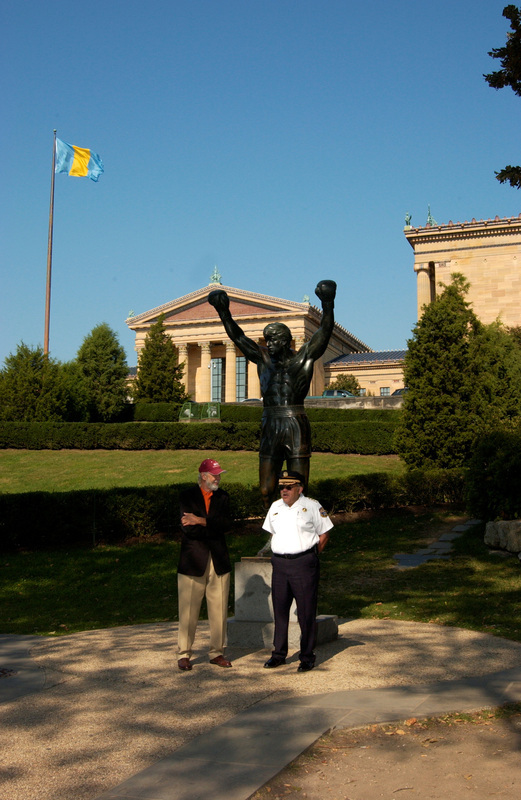 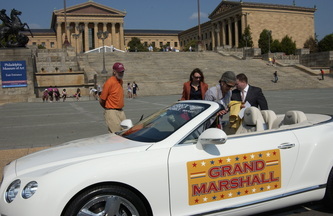 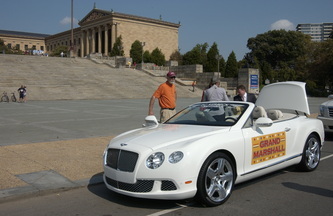 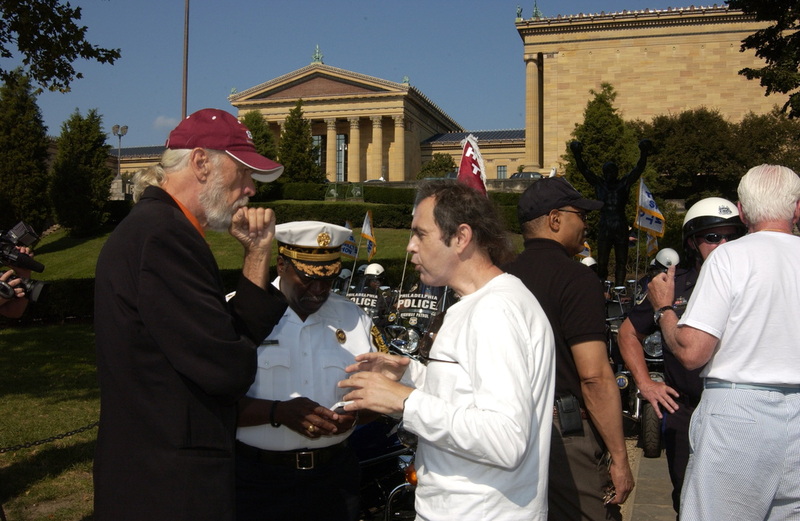 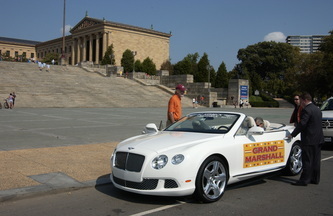 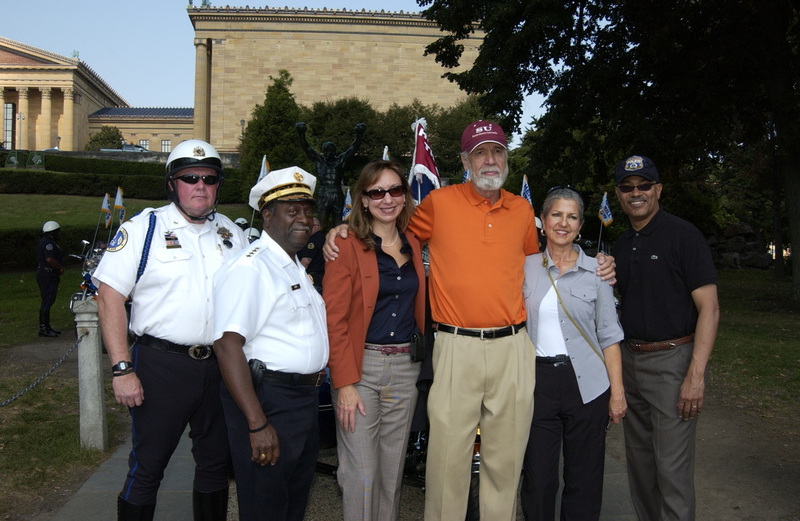 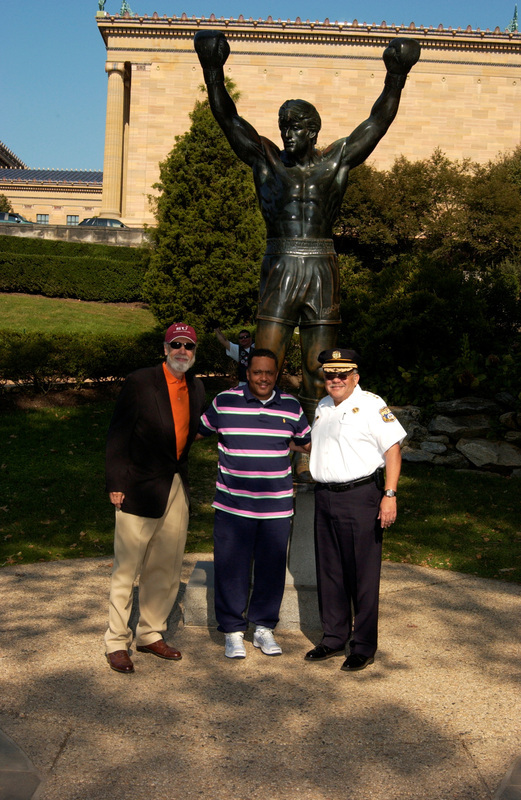 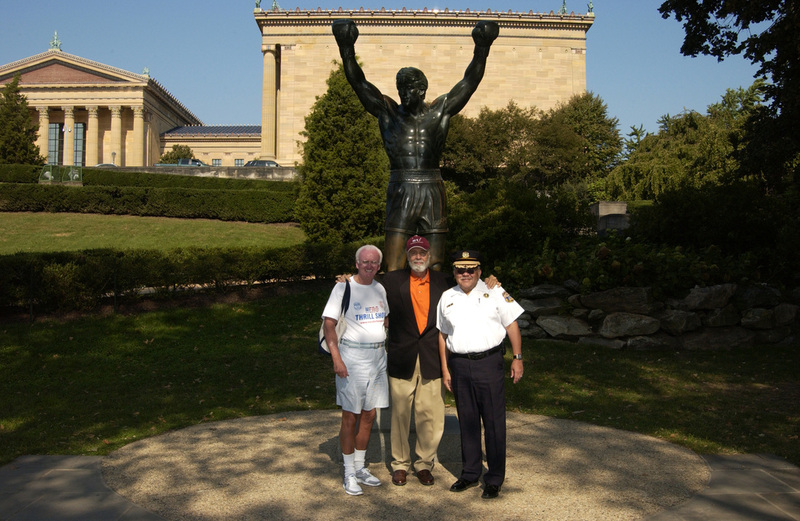 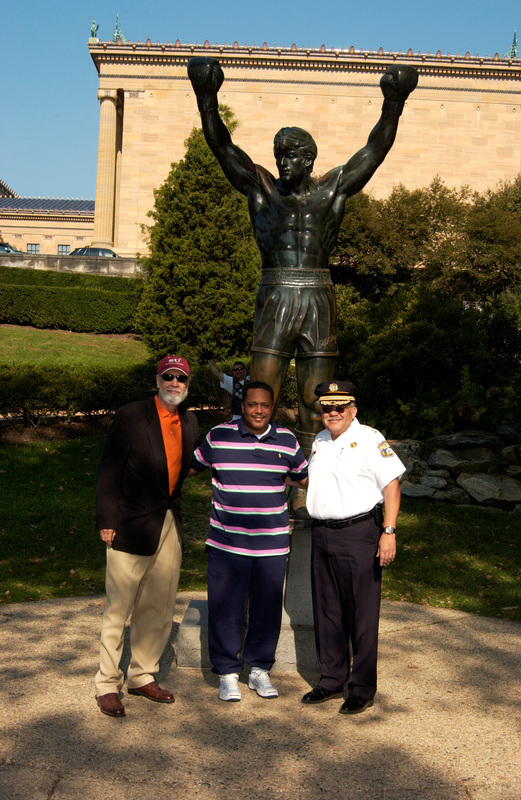 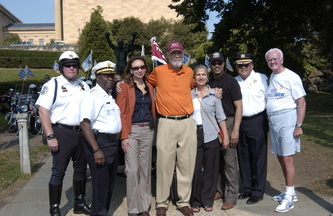 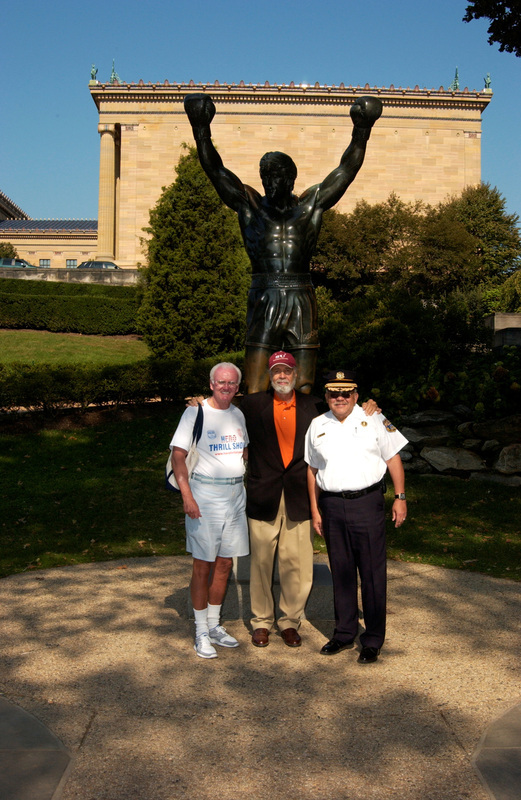 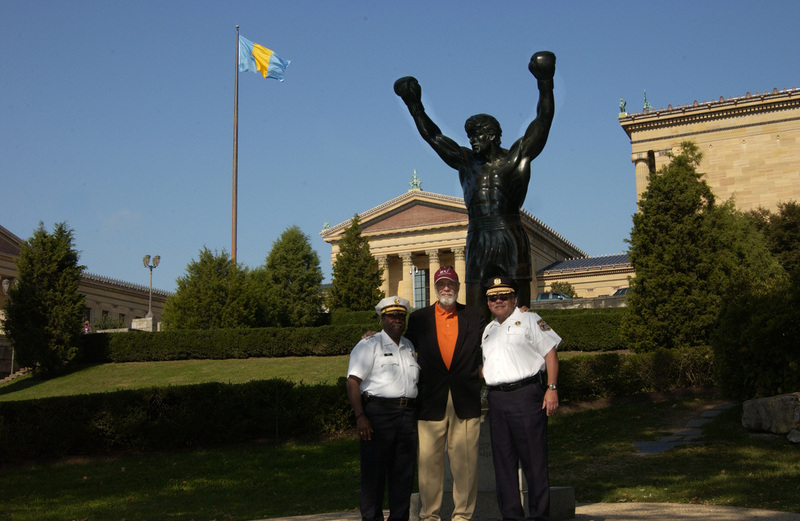 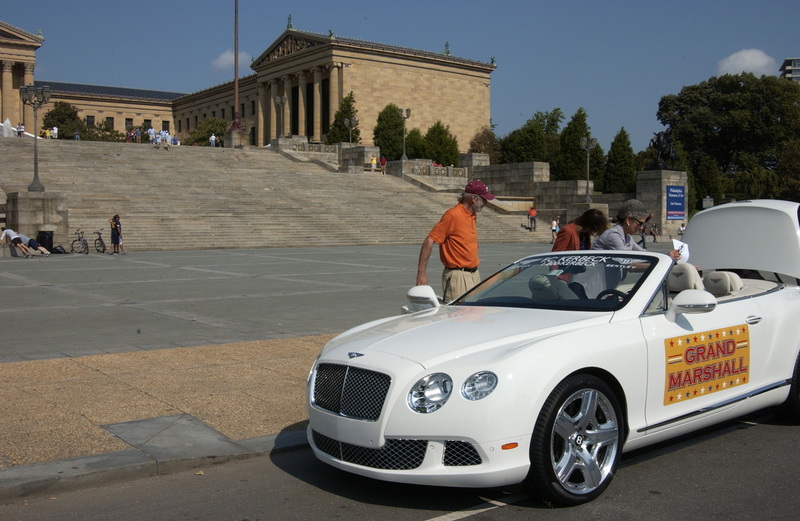 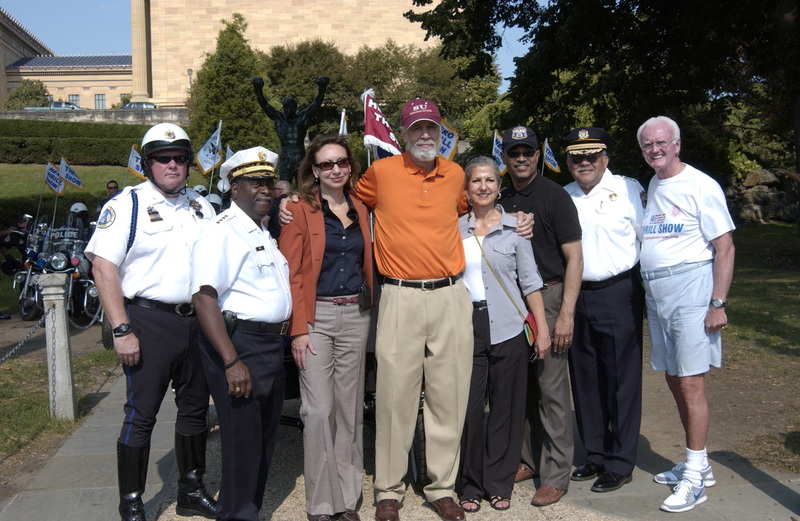 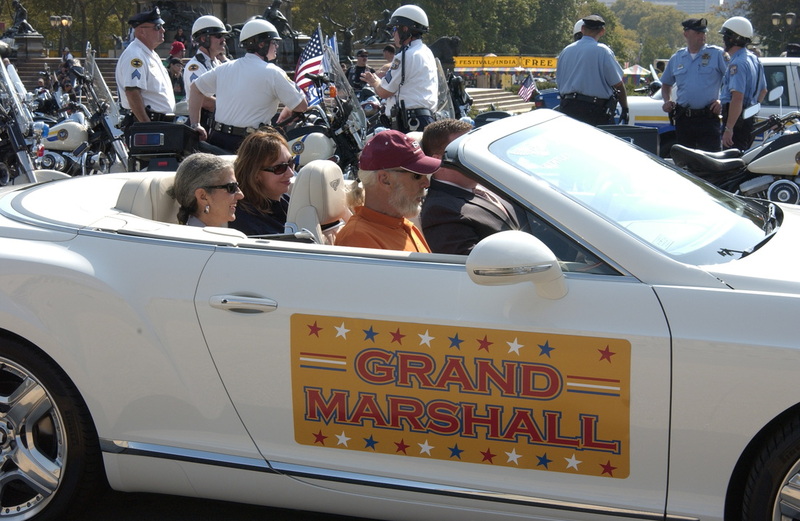 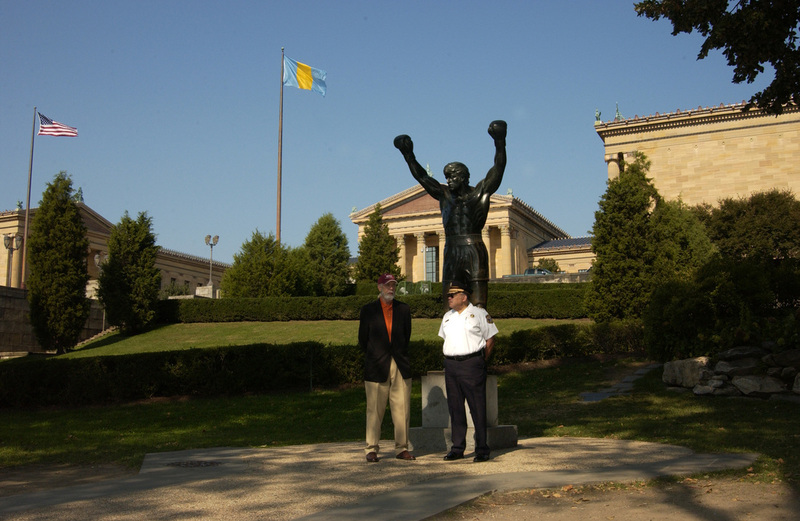 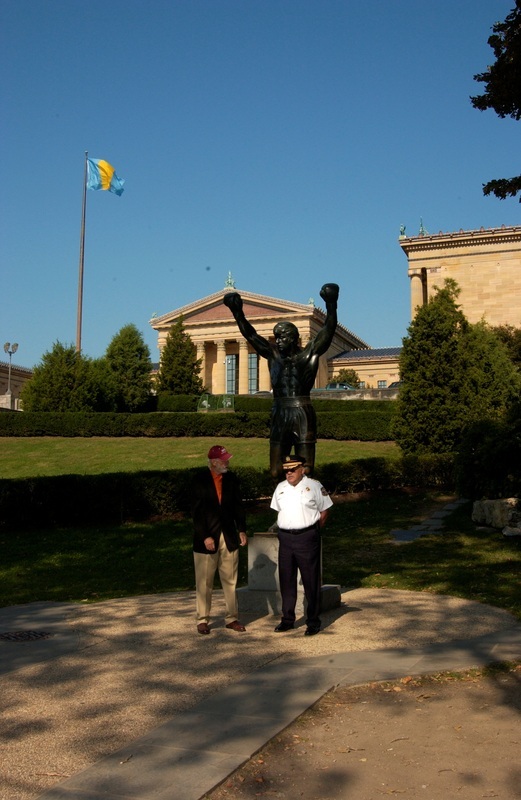 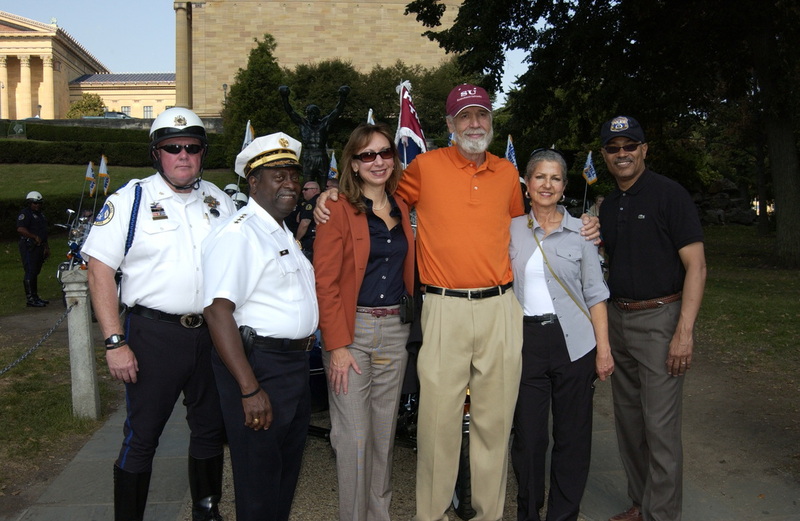 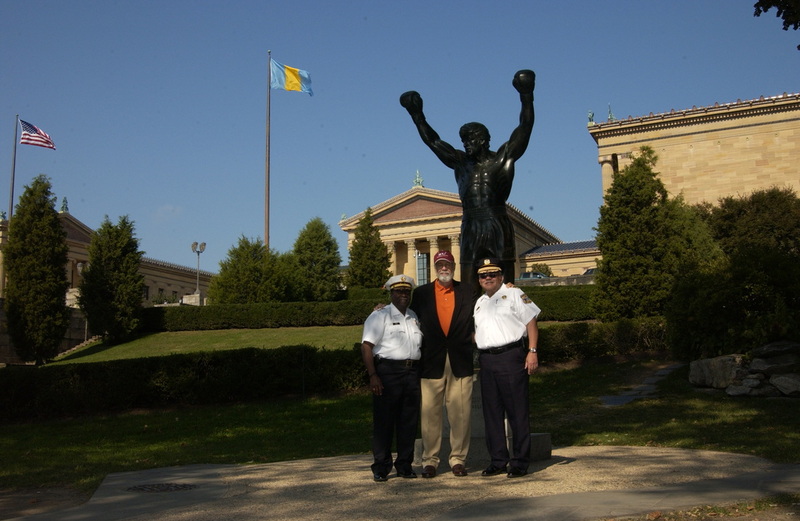 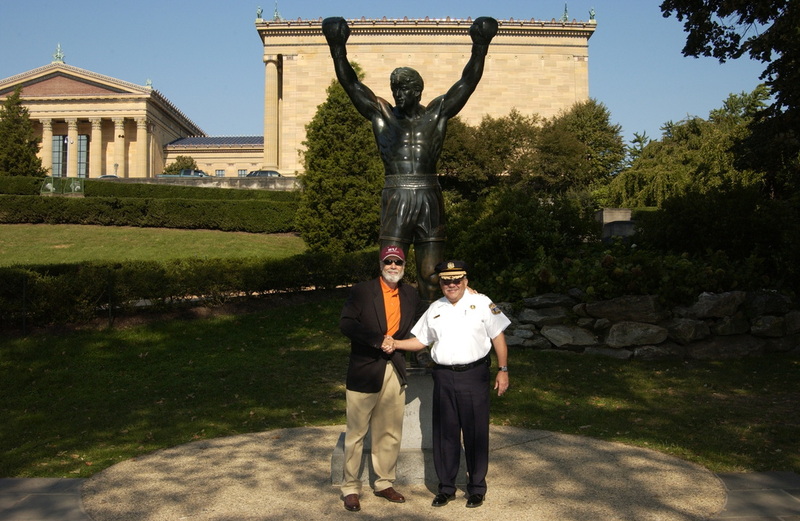 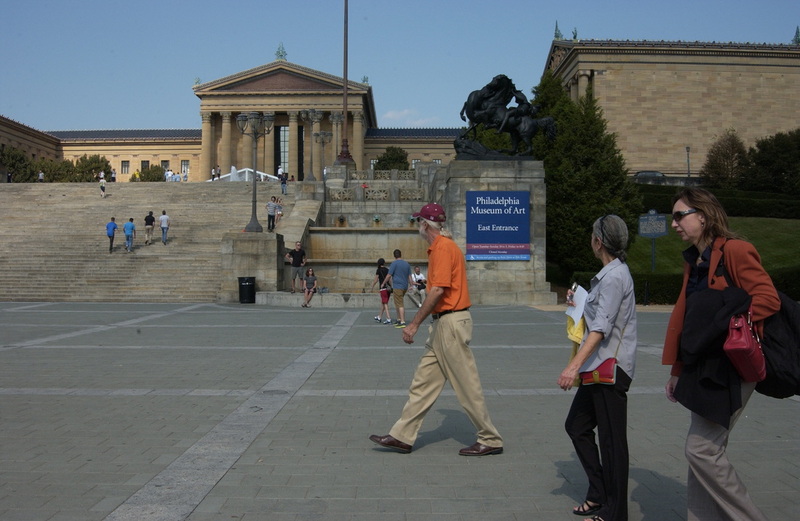 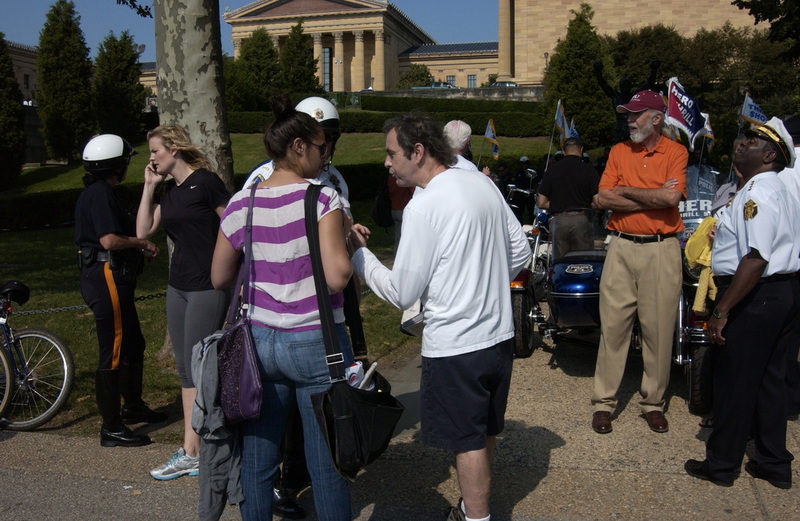 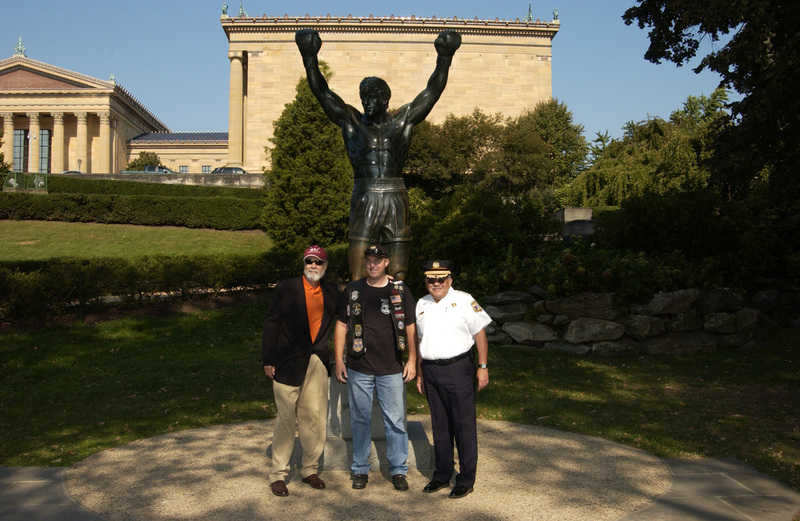 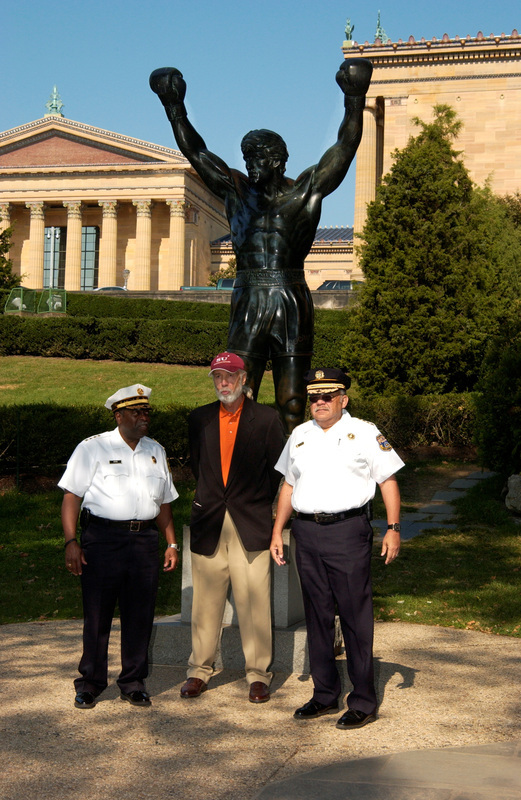 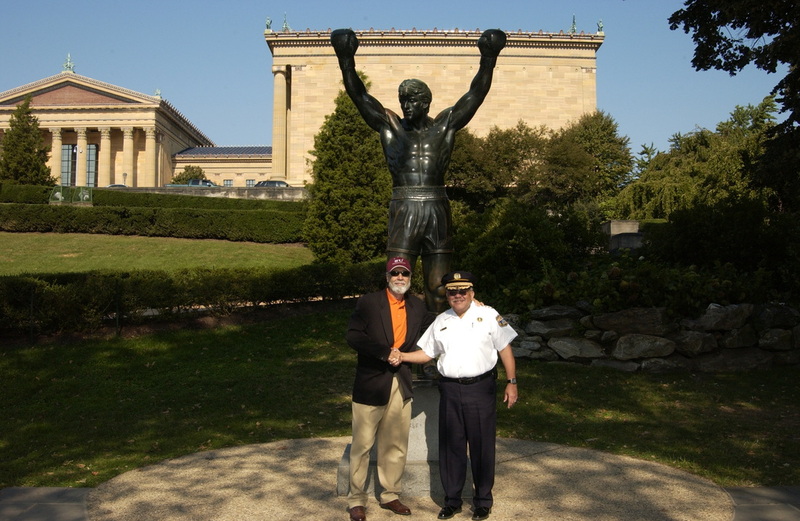 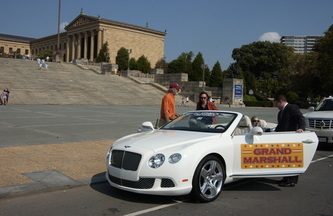 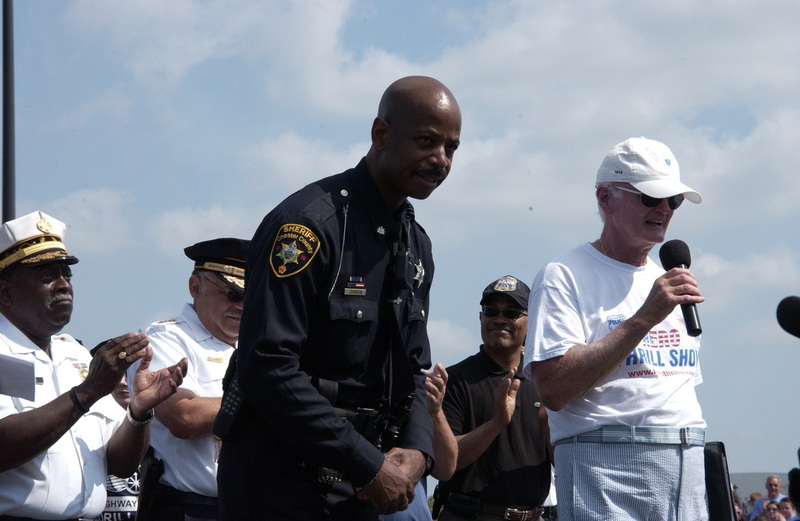 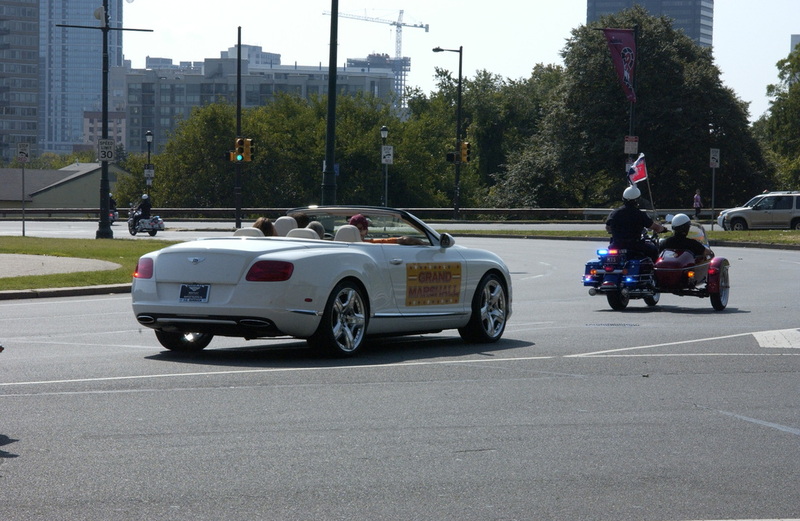 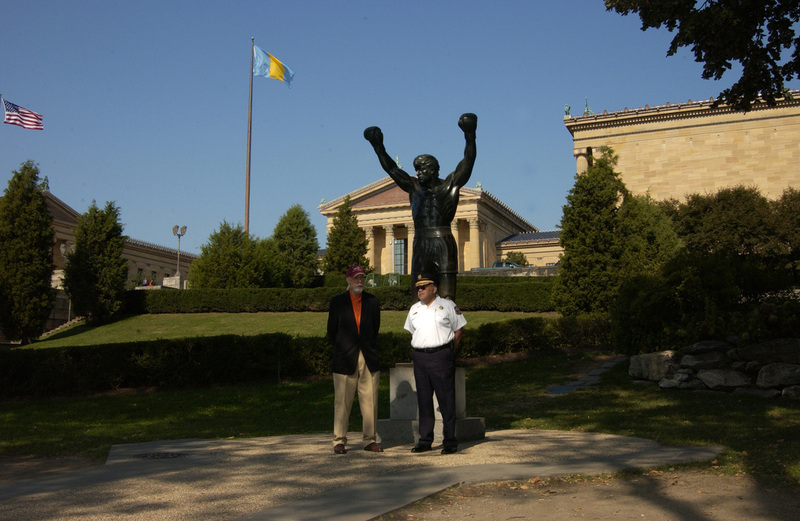 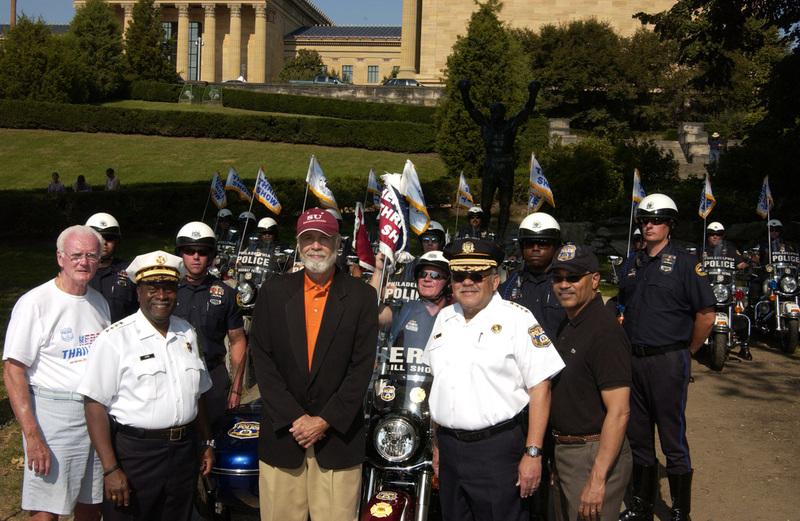 The 2012 Grand Marshall will be Thomas Schomberg, the world renowned sculptor of the "ROCKY" statue that is situated at the steps of the Philadelphia Museum of Art (http://www.philamuseum.org). 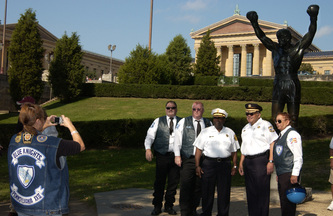 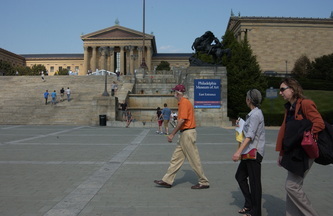 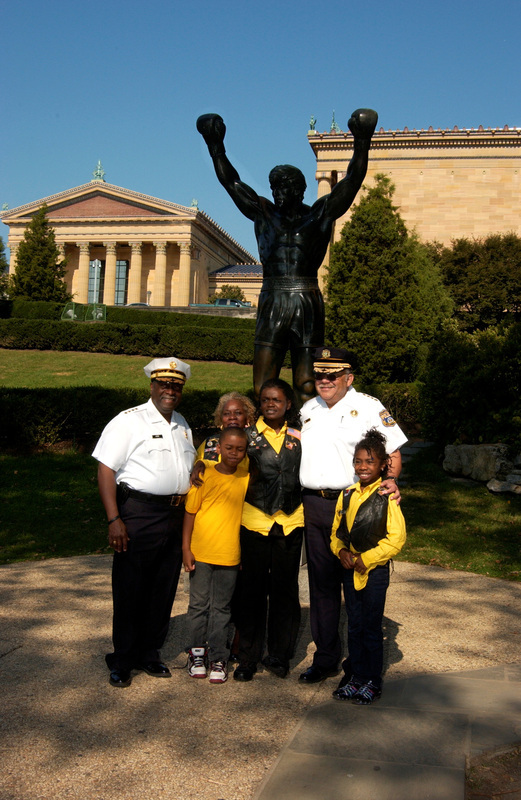 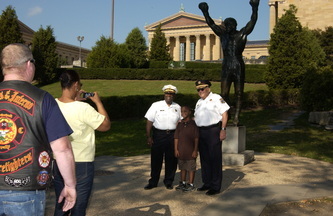 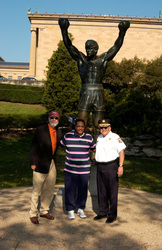 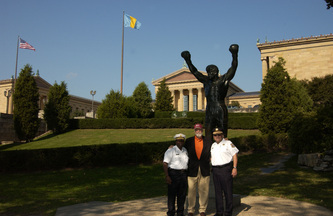 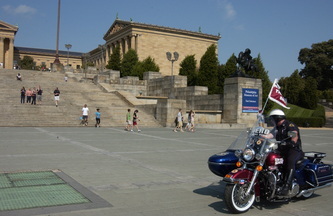 You may visit the website www.rockystatue.org, you may also visit www.museumwithoutwallsaudio.org and/or call 215-399-9000 and enter 18 on the keypad to hear the history of the statue as narrated by Thomas Schomberg (http://www.schombergstudios.com) and Jimmy Binns (http://www.jamesbinns.net). 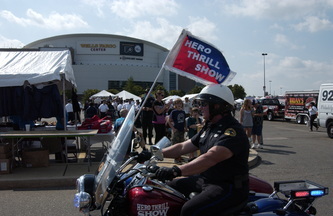 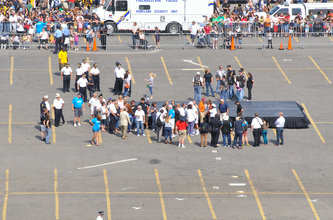 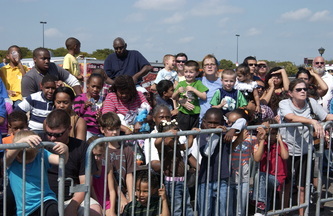 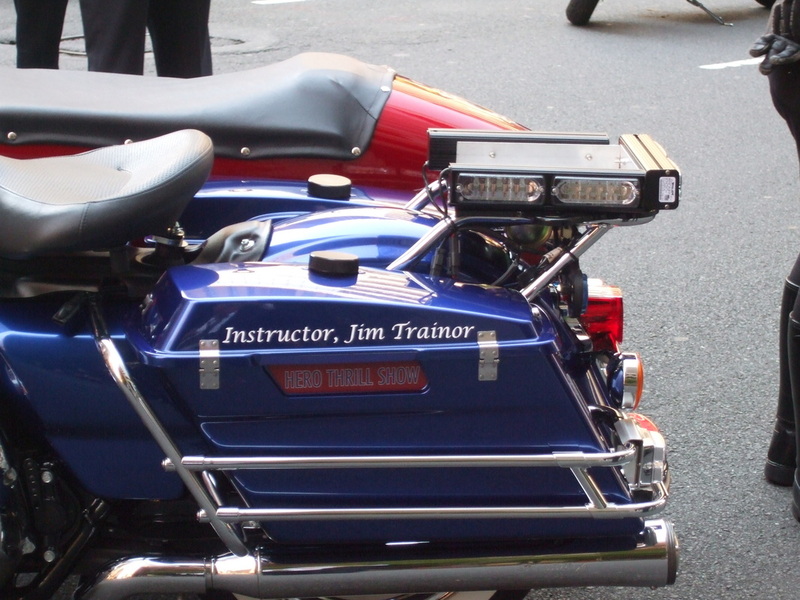 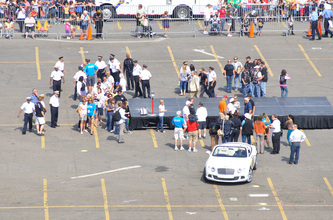 For more information concerning the Hero Thrill Show visit www.jamesbinns.net. 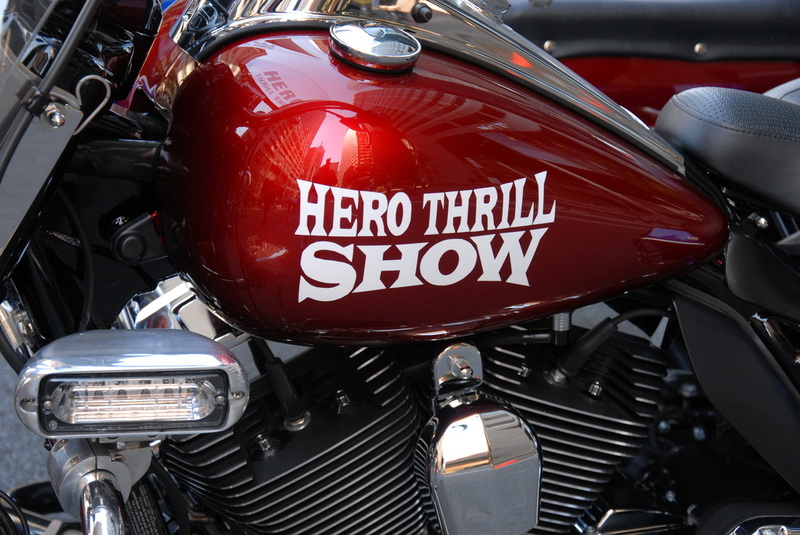 The Hero Thrill Show is NOT affiliated with the Hero Scholarship Fund.